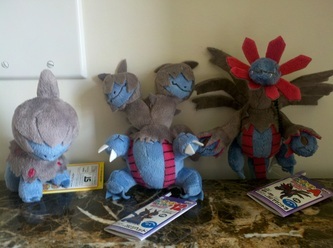 These are photos of all of the species I currently own. 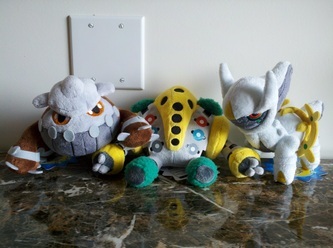 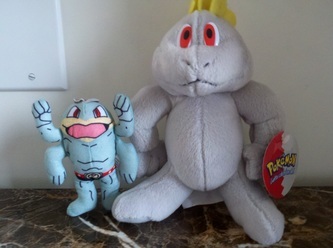 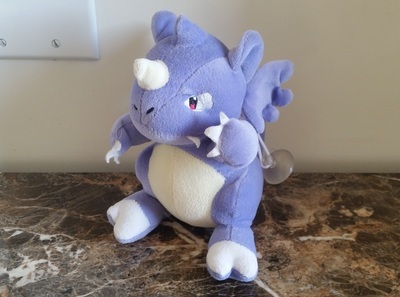 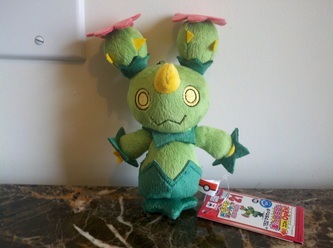 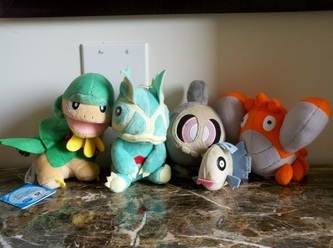 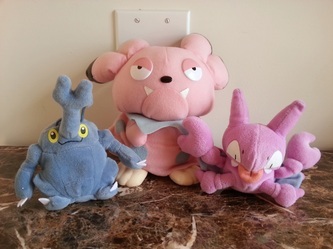 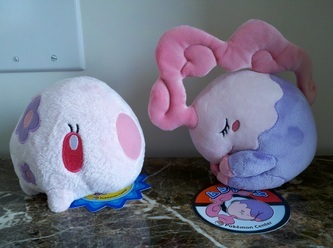 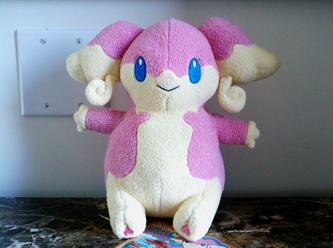 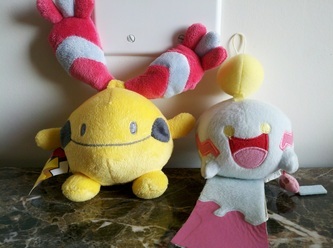 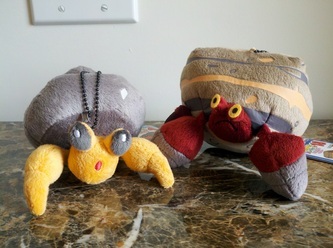 I do have multiple plush of certain Pokemon, but to keep things simple we have chosen one of each to photograph for the collection page. 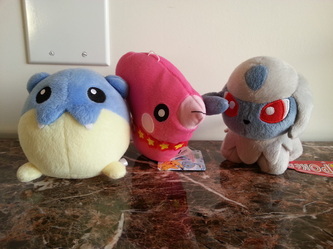 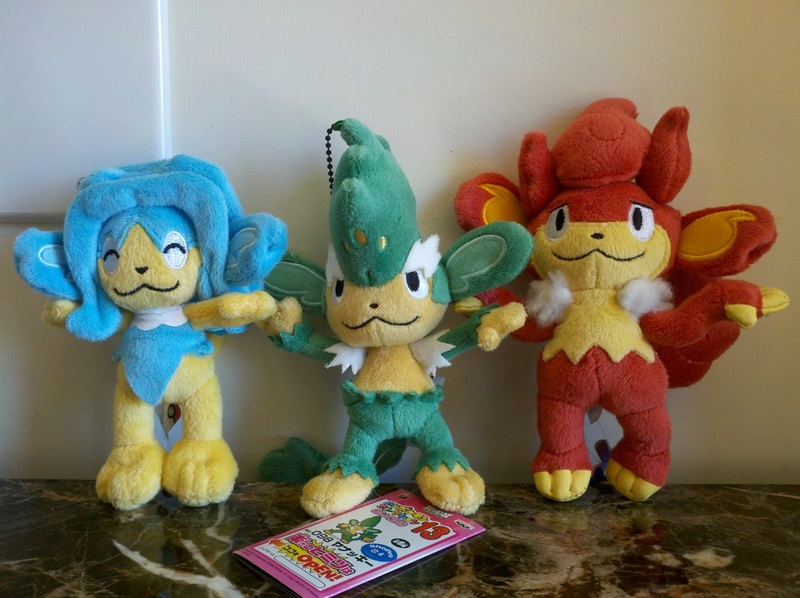 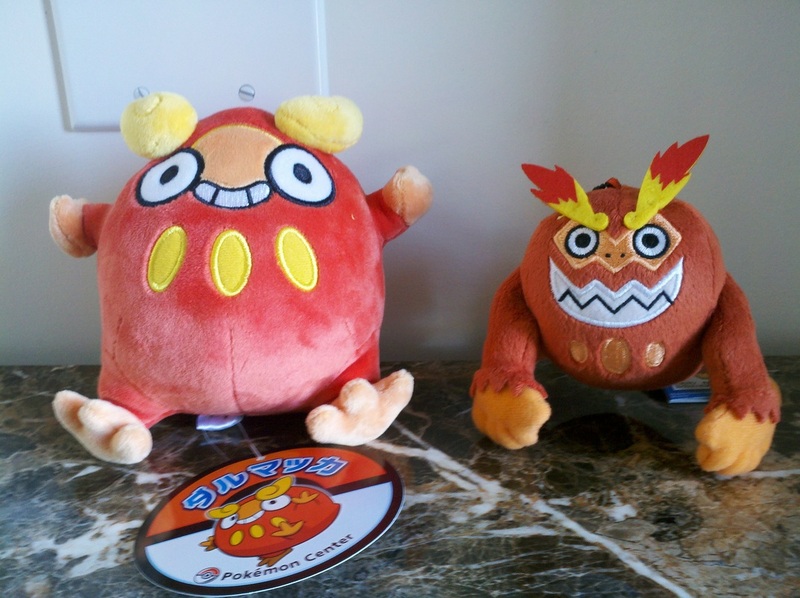 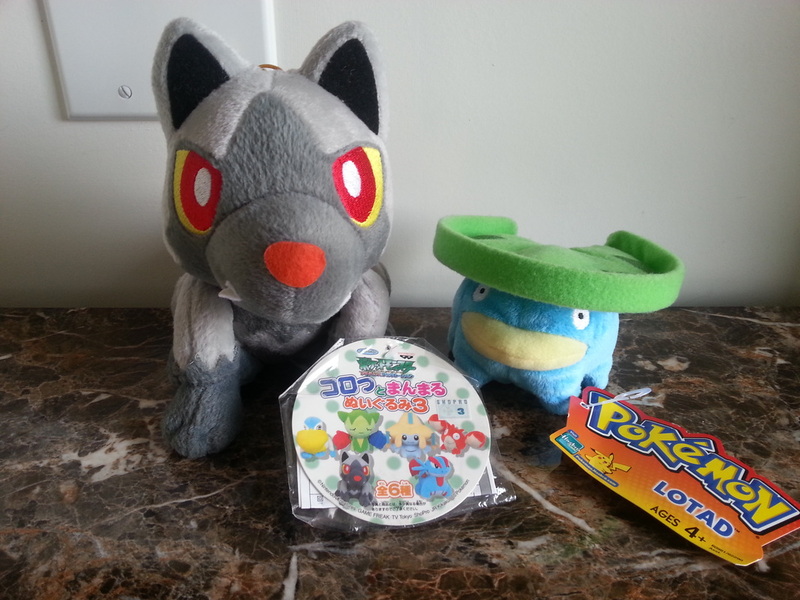 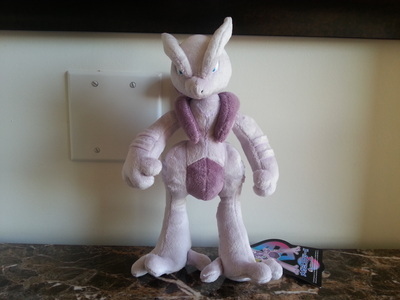 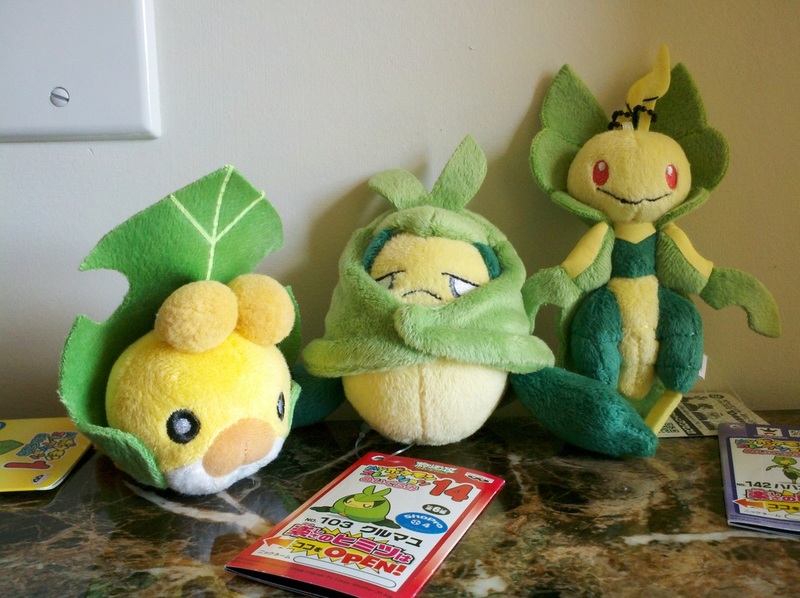 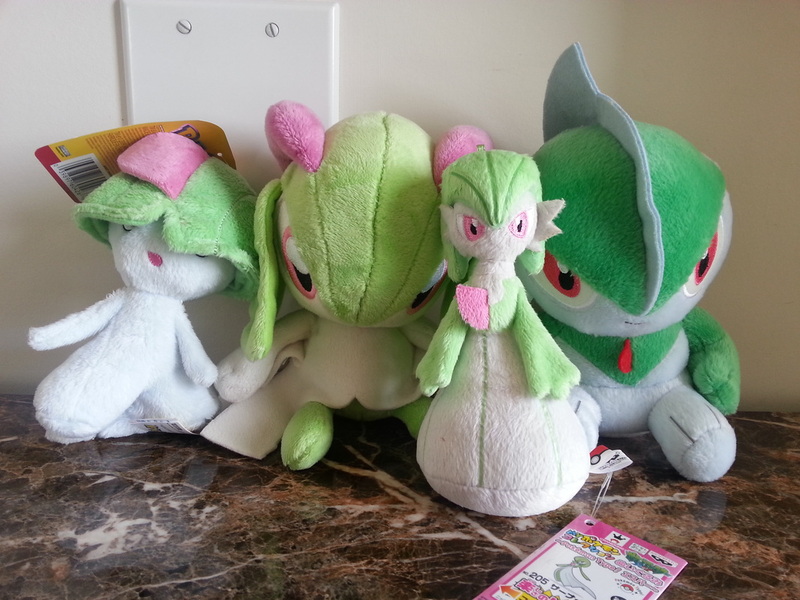 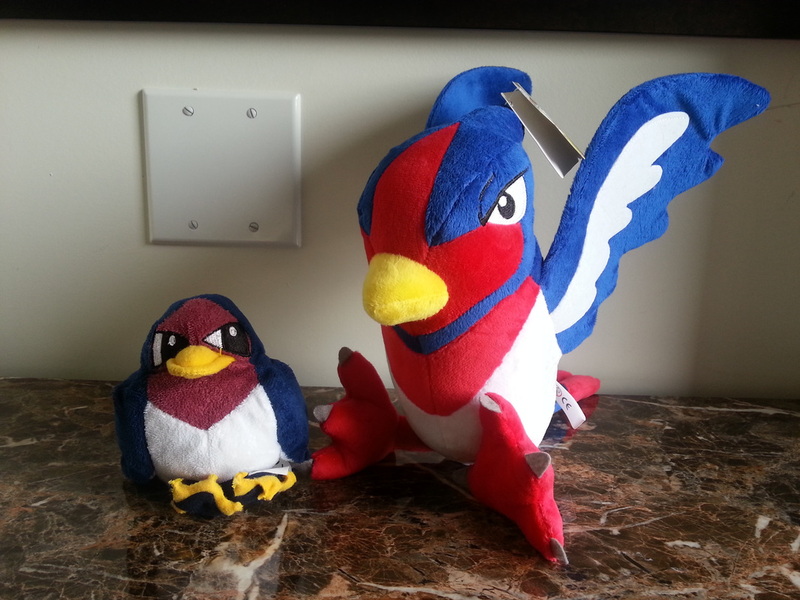 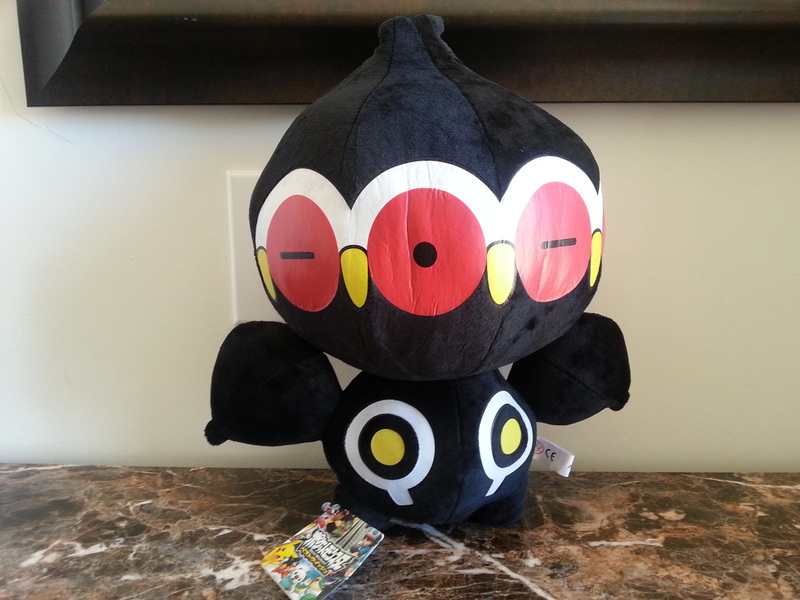 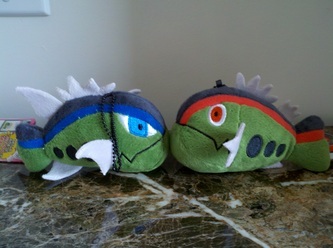 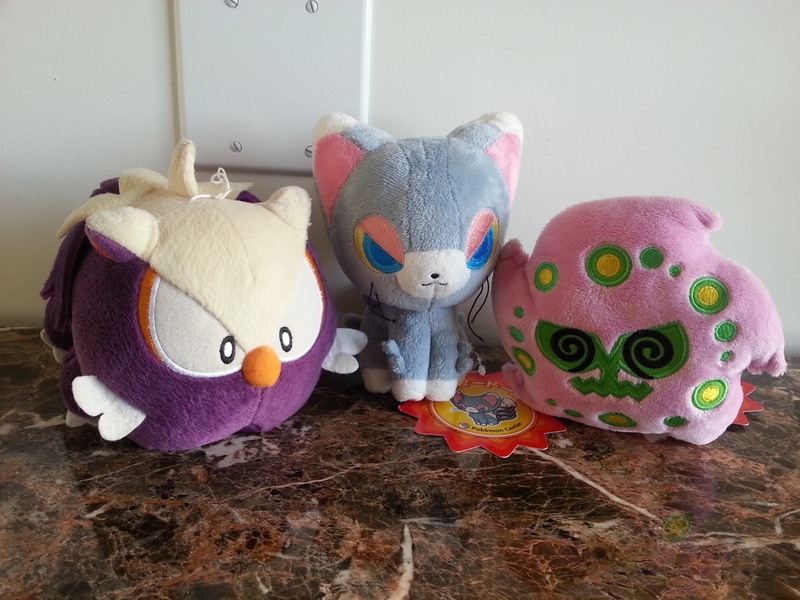 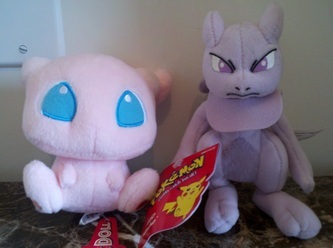 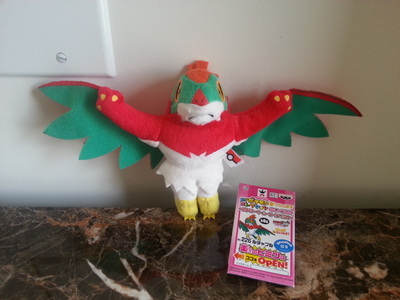 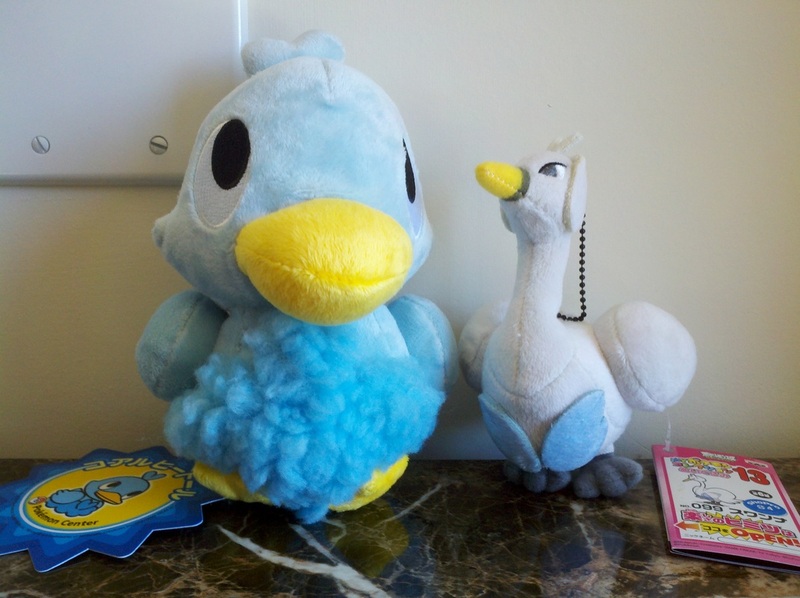 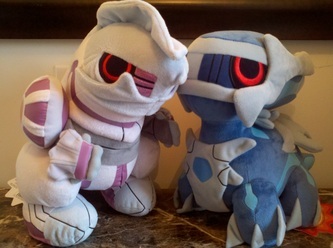 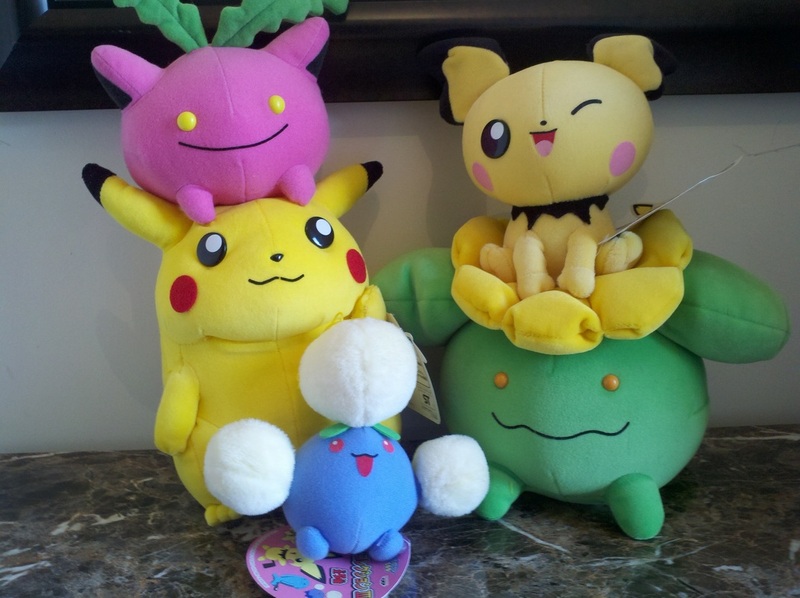 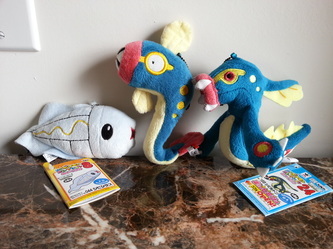 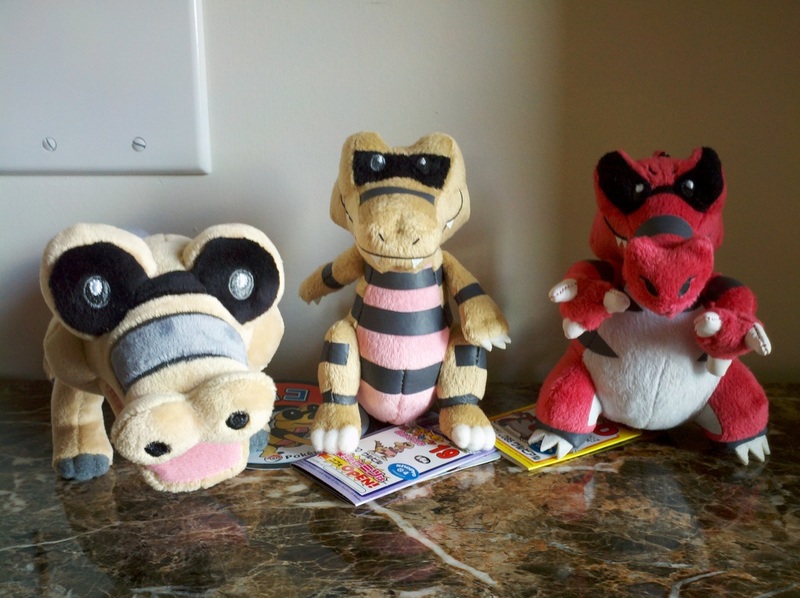 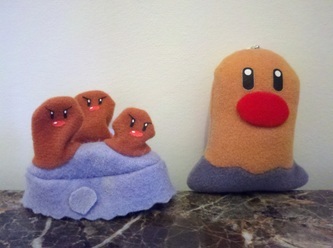 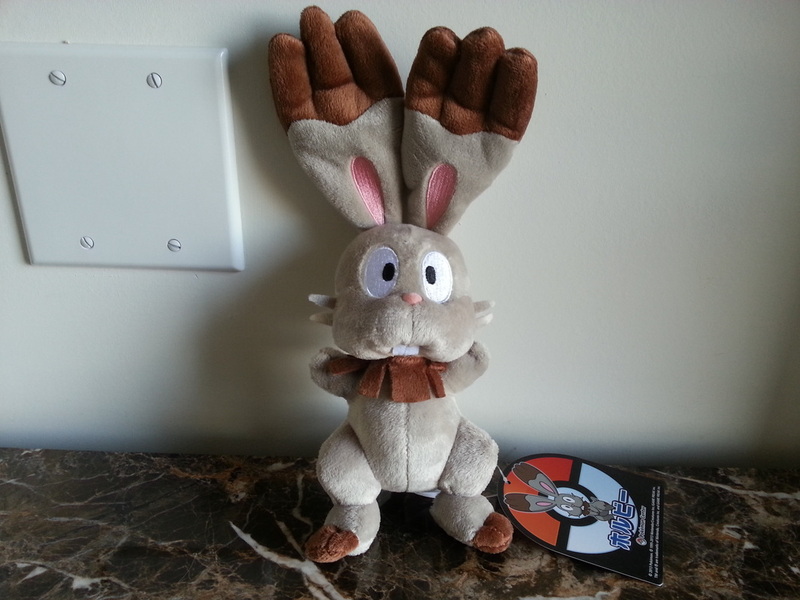 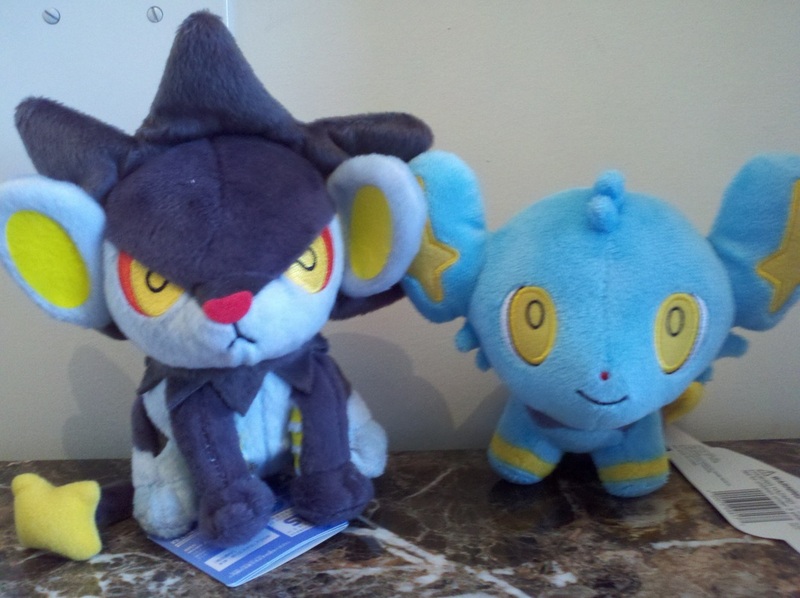 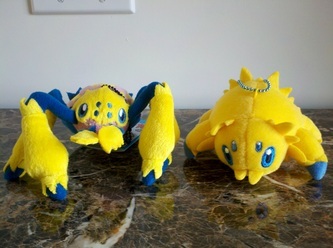 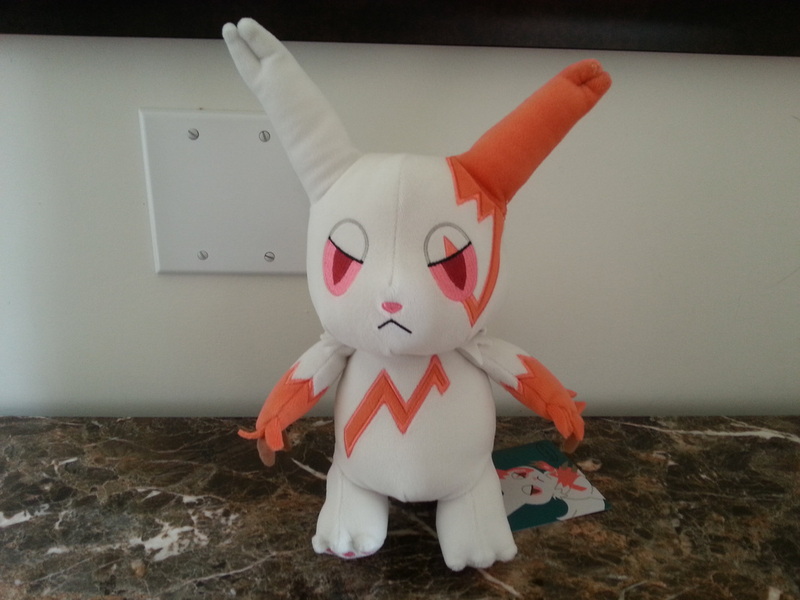 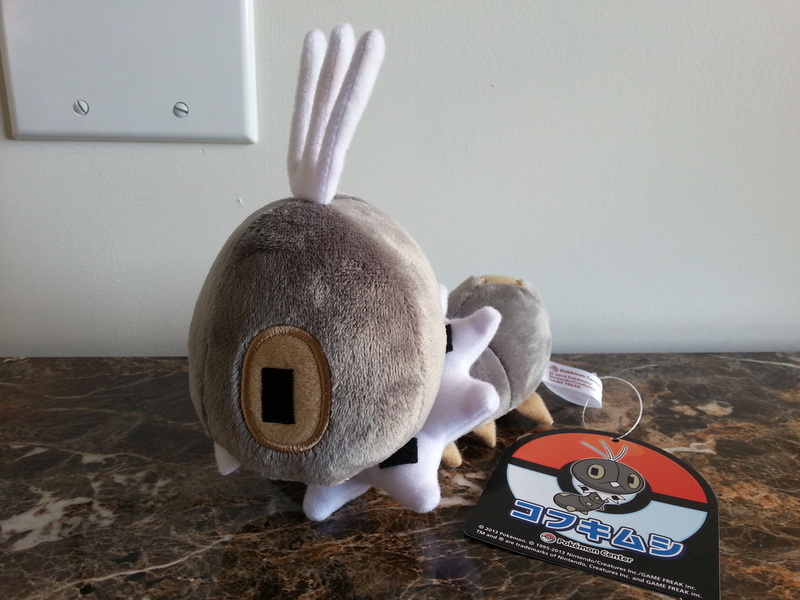 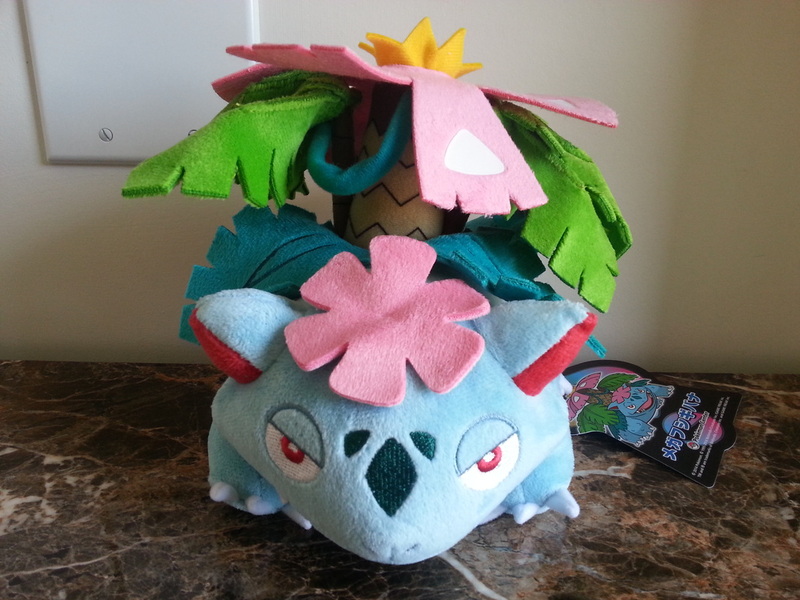 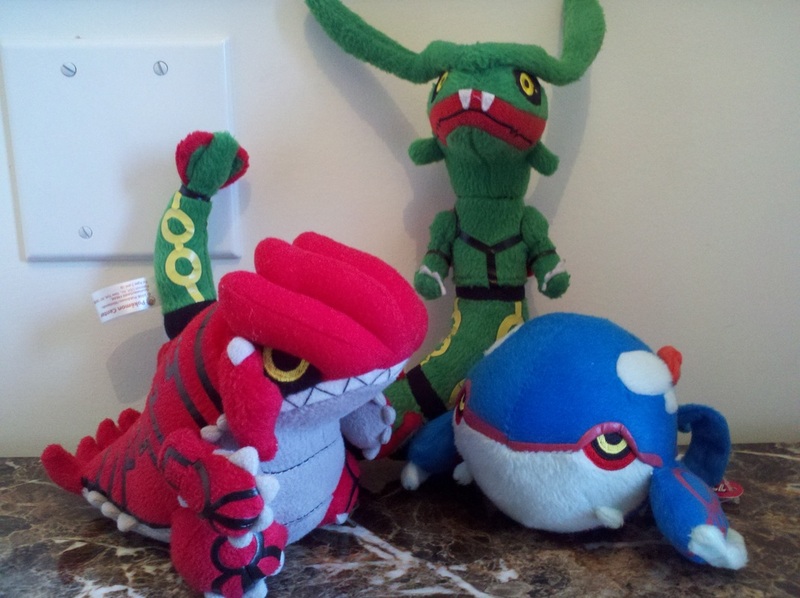 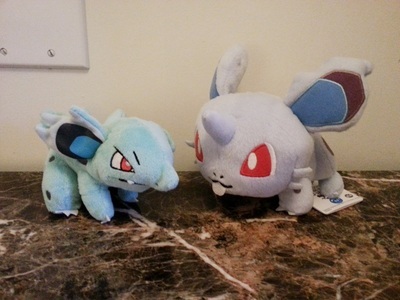 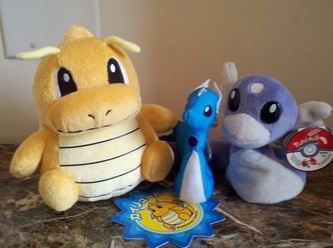 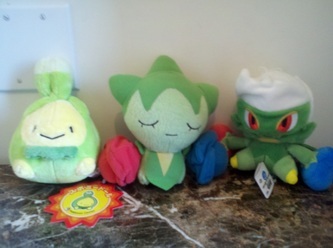 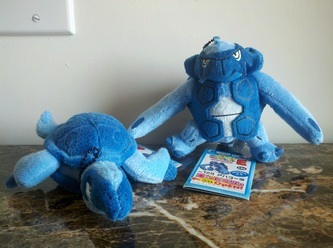 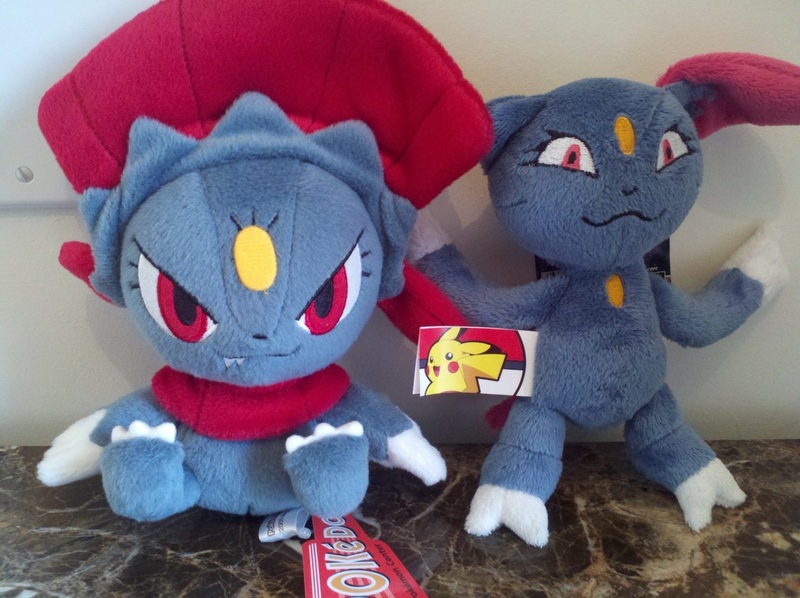 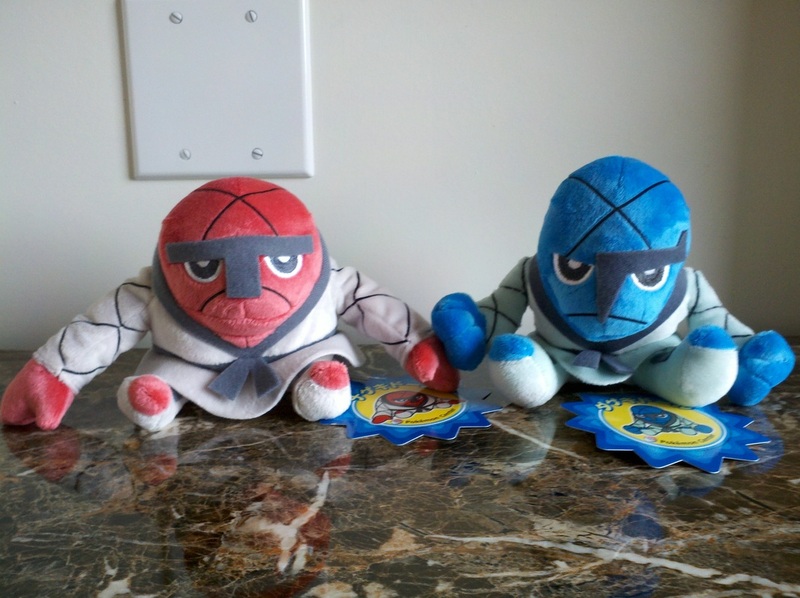 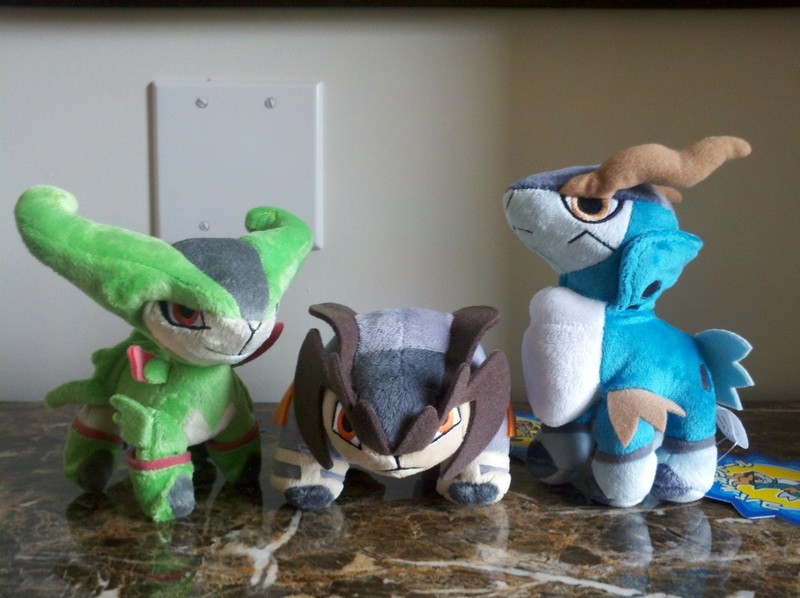 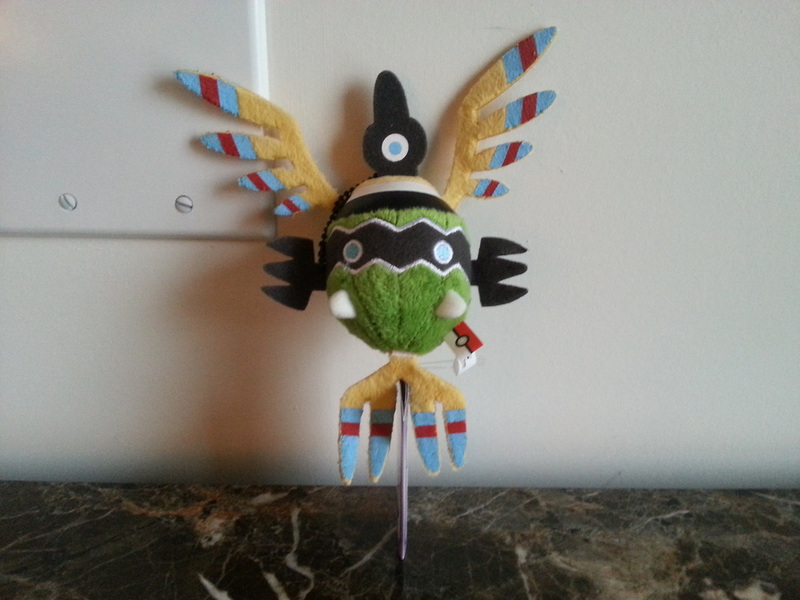 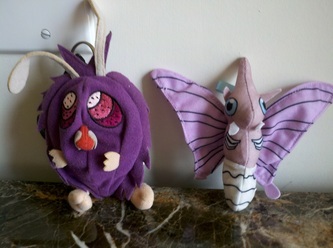 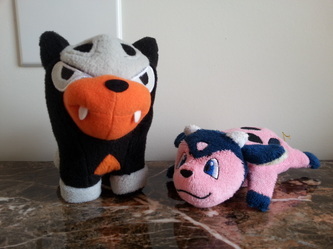 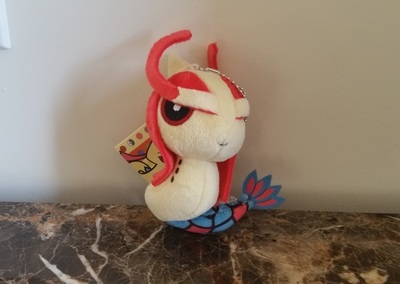 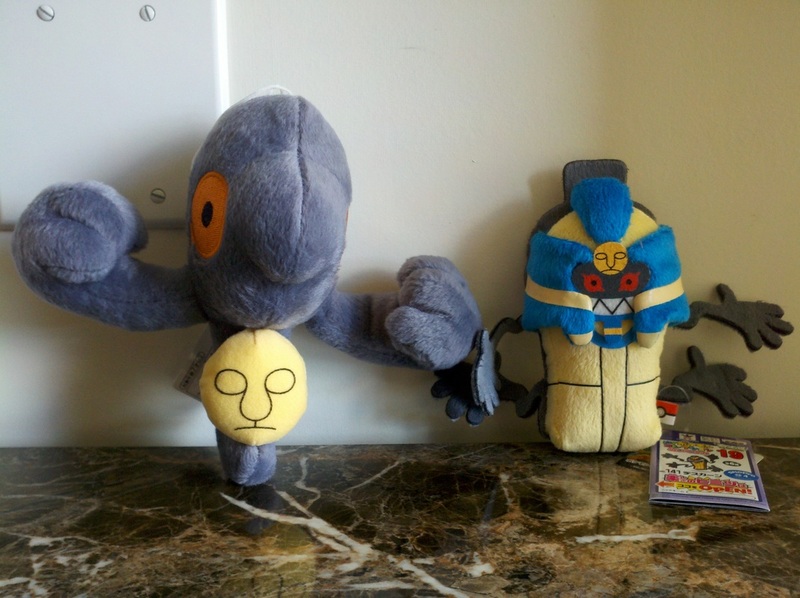 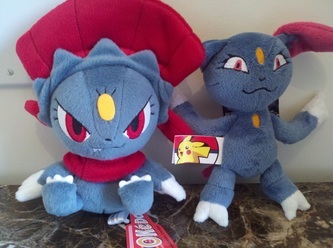 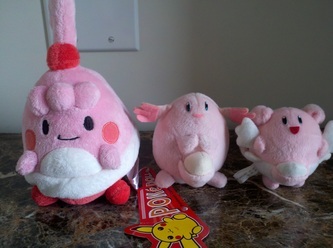 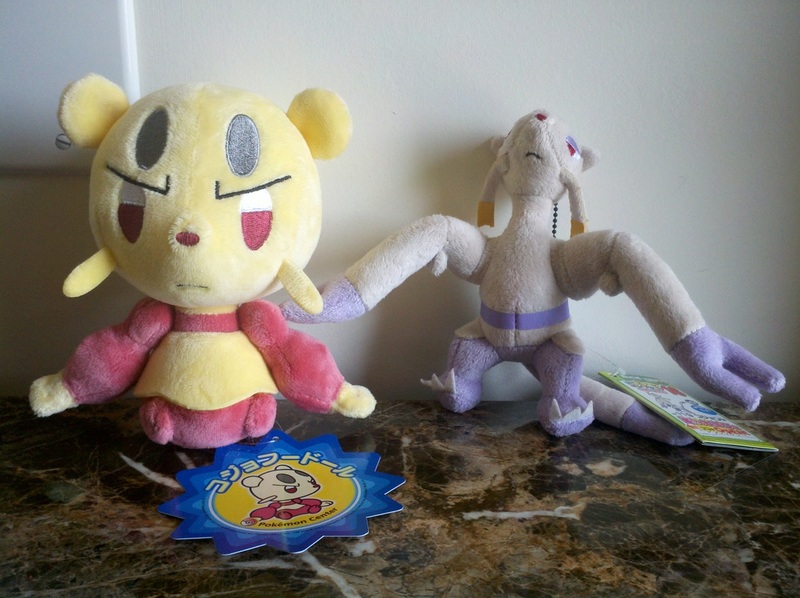 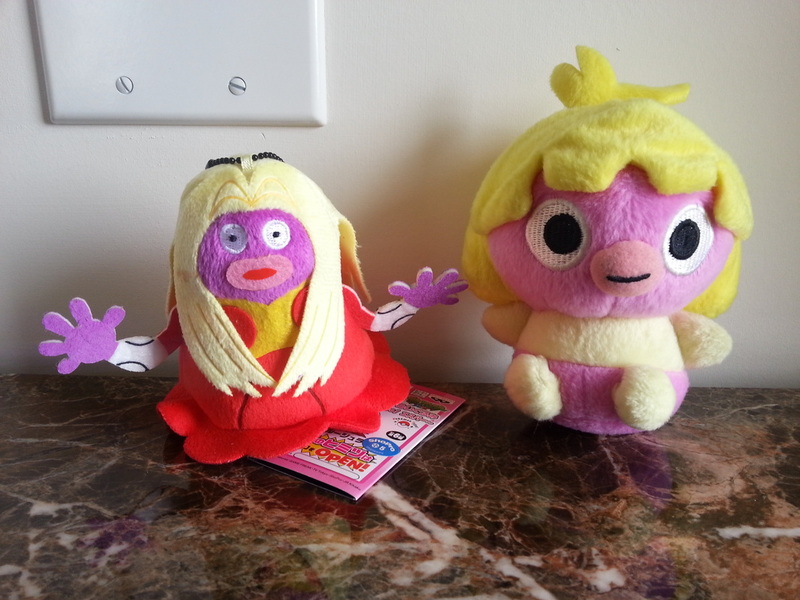 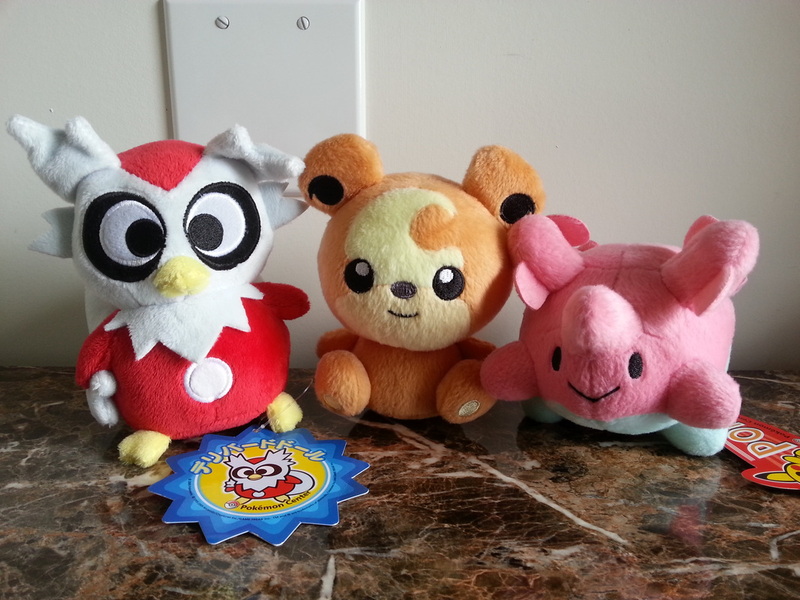 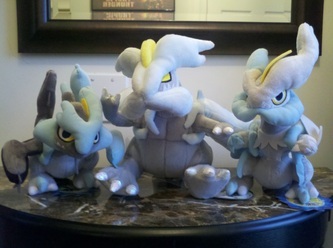 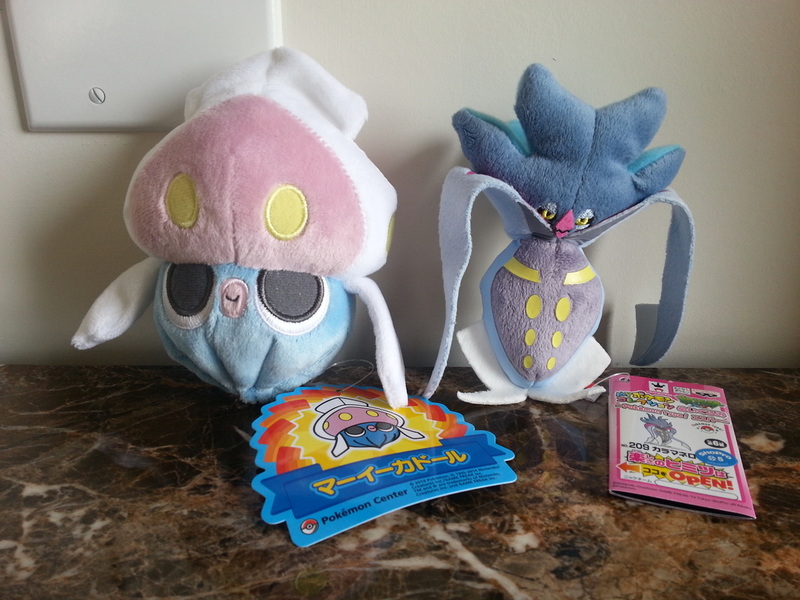 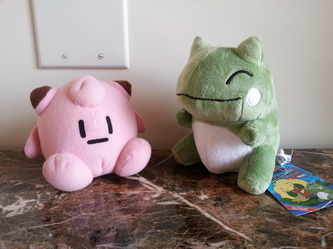 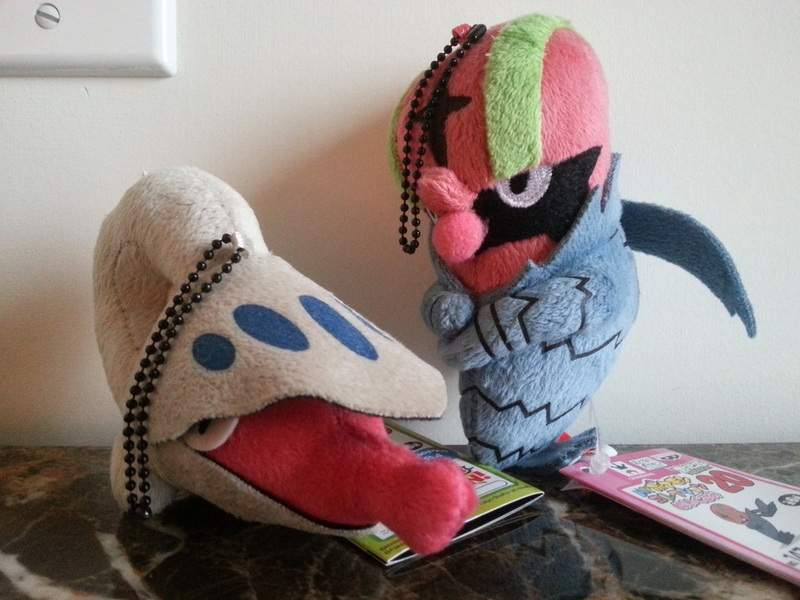 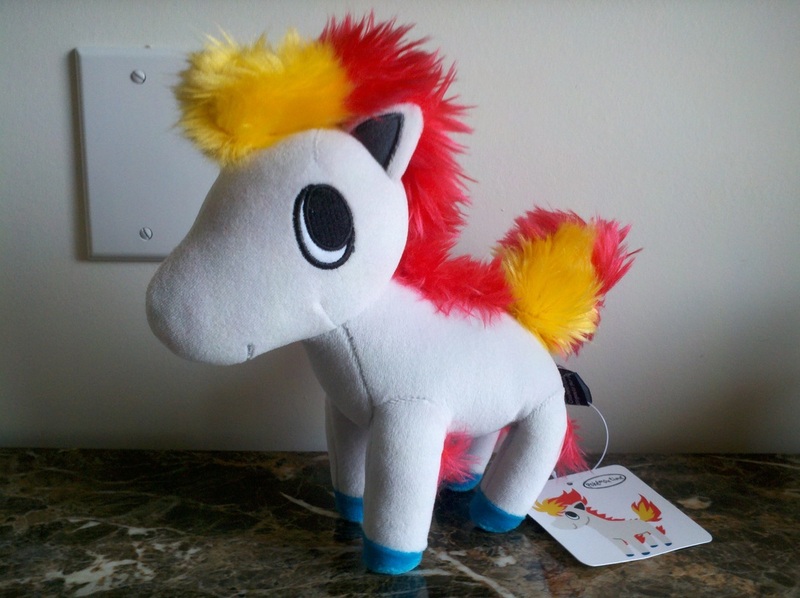 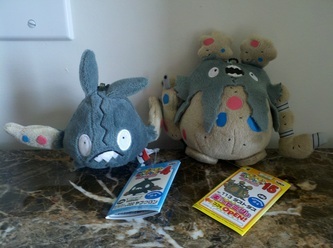 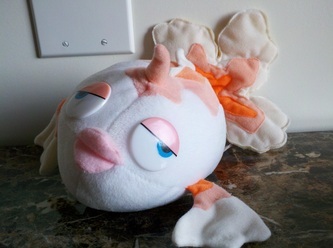 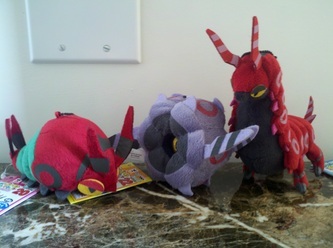 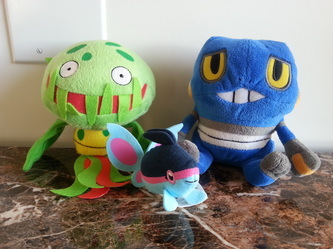 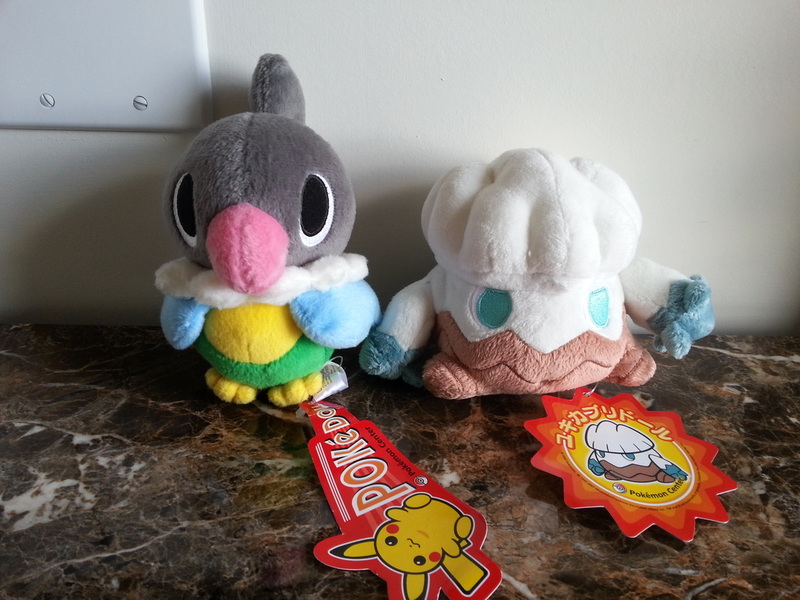 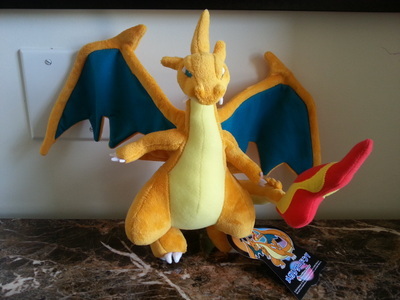 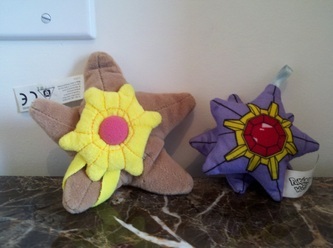 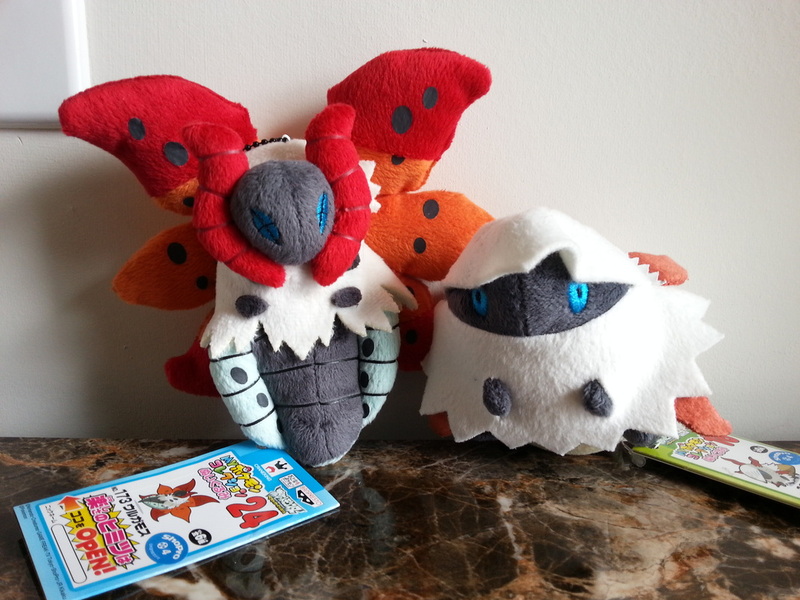 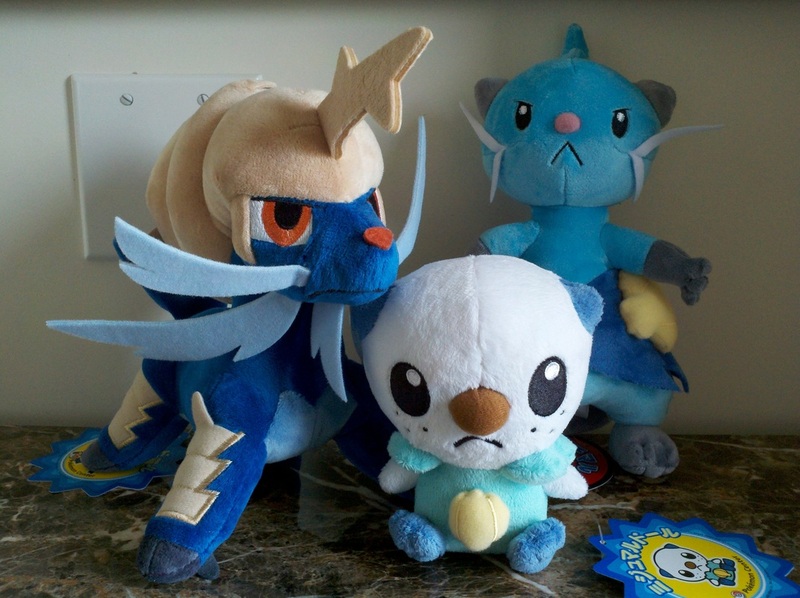 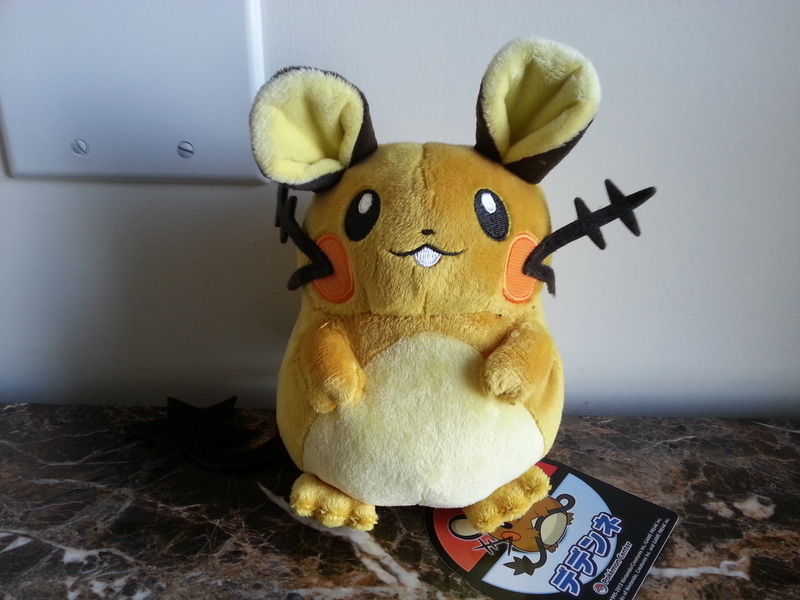 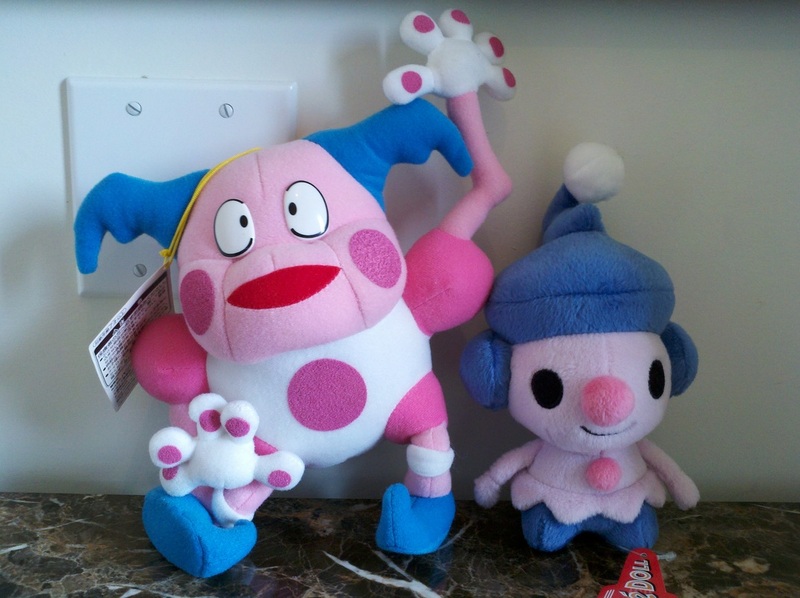 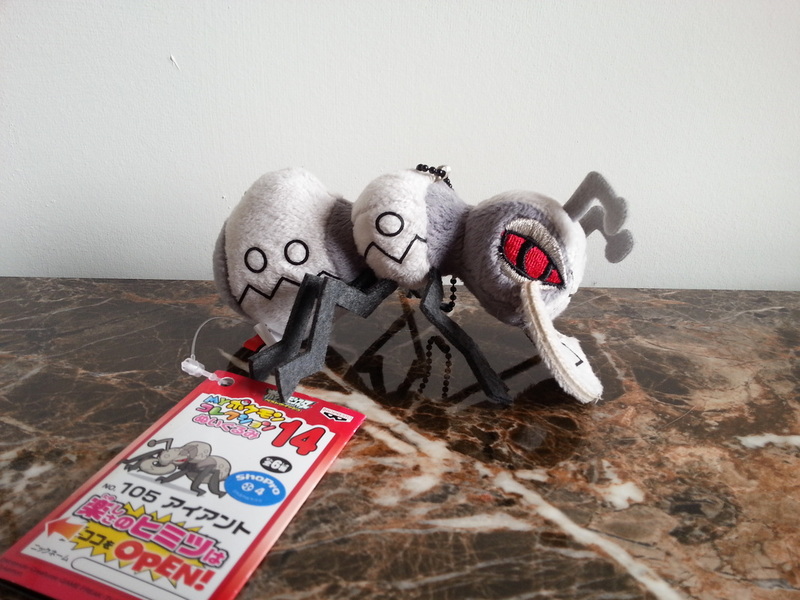 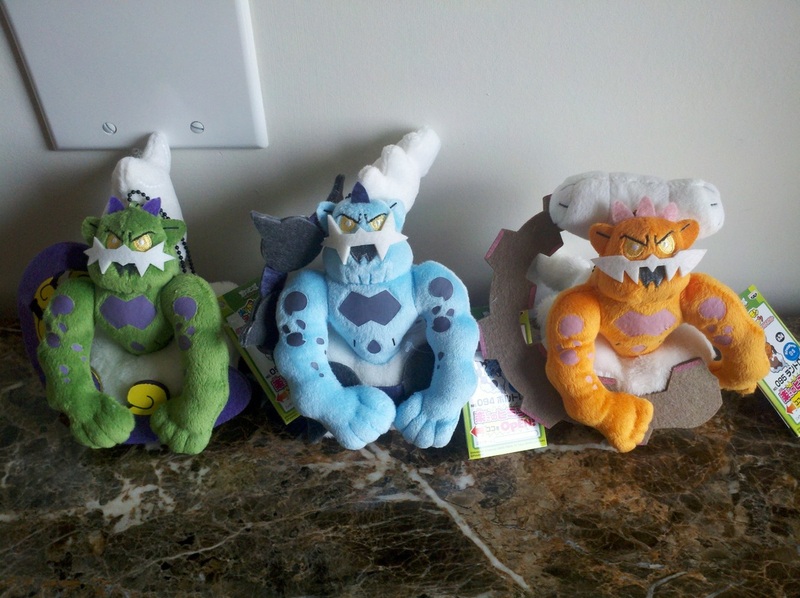 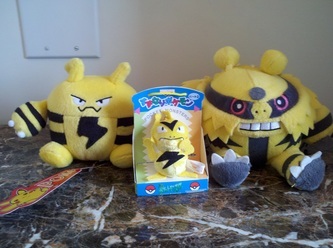 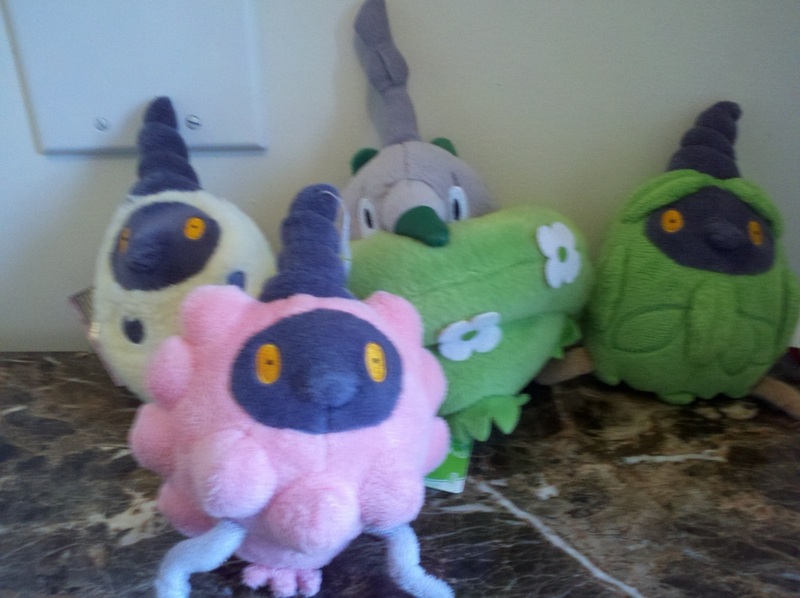 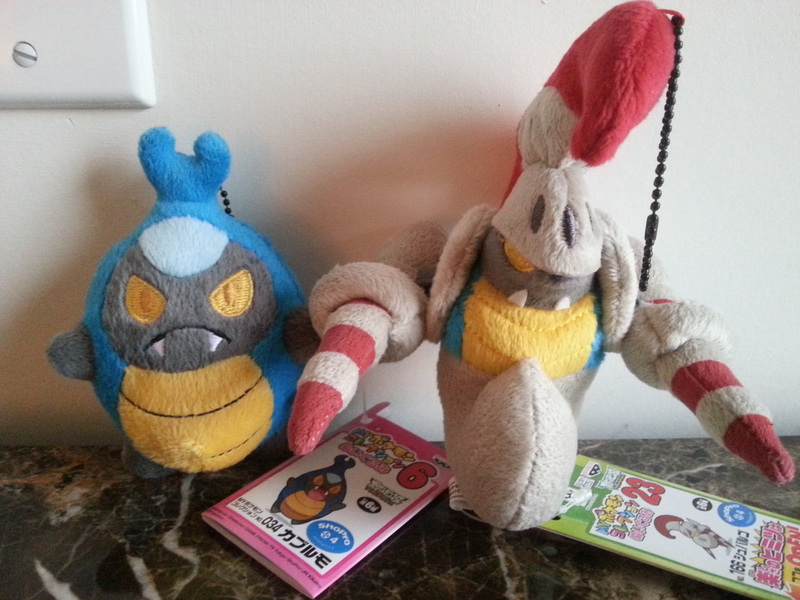 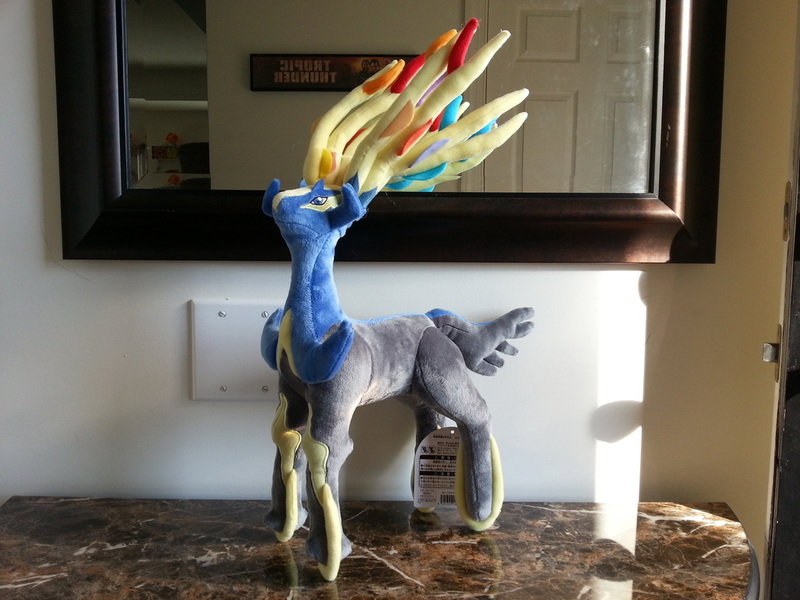 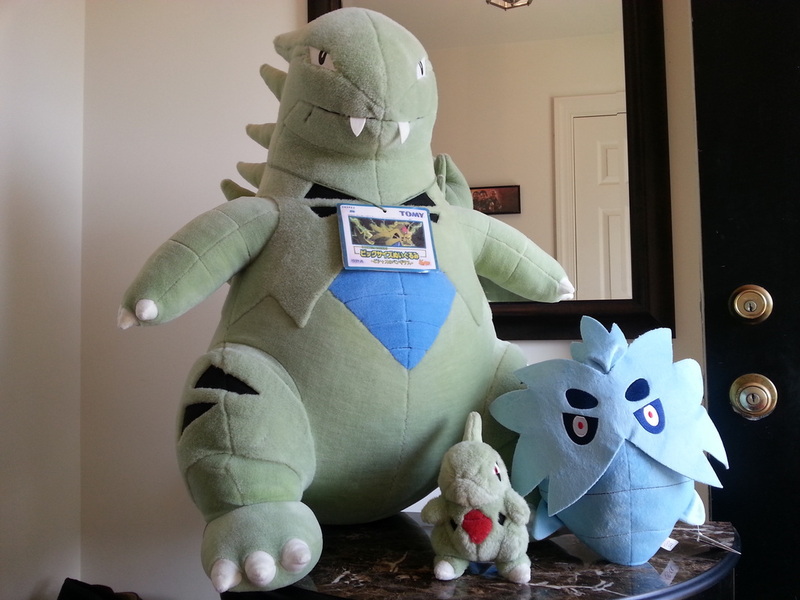 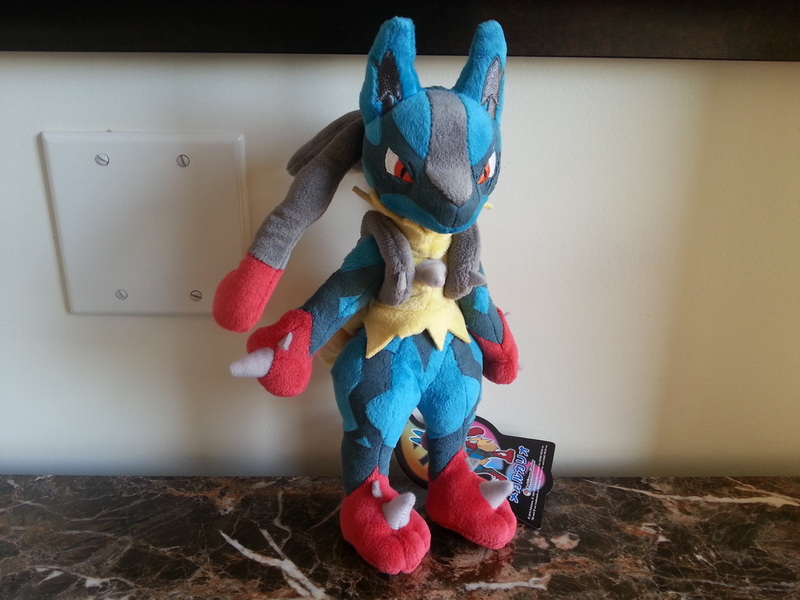 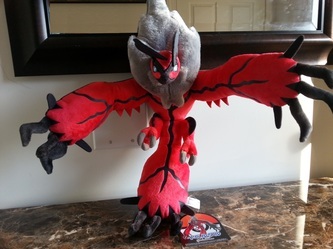 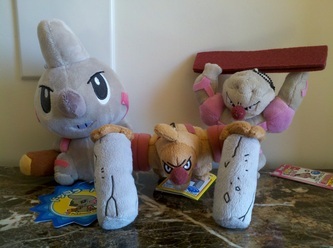 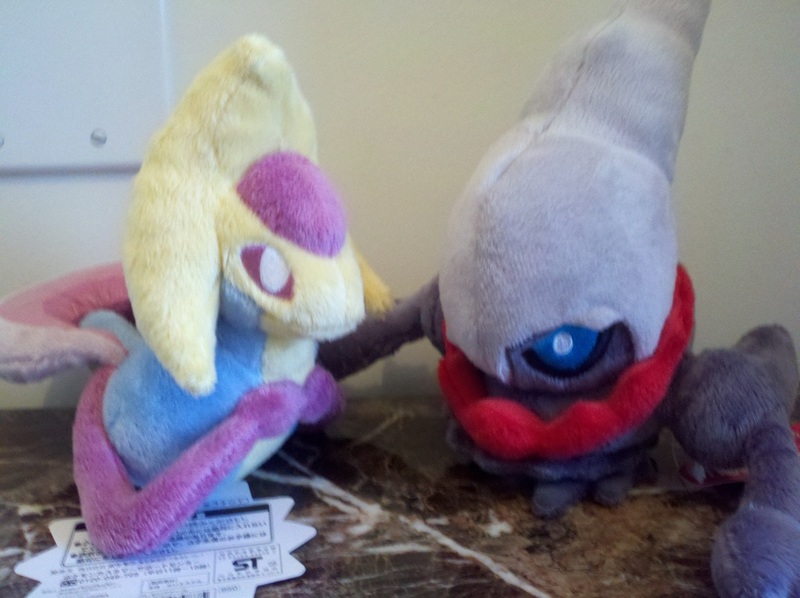 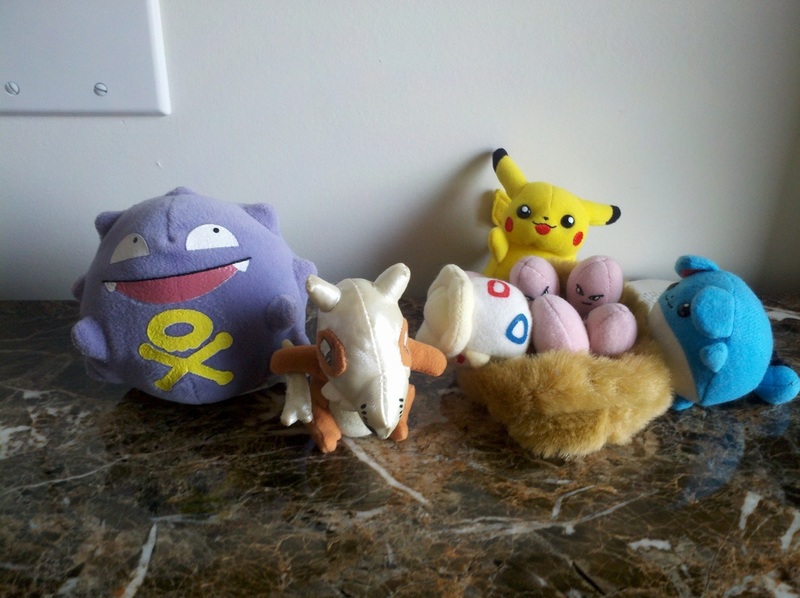 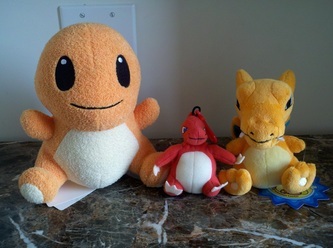 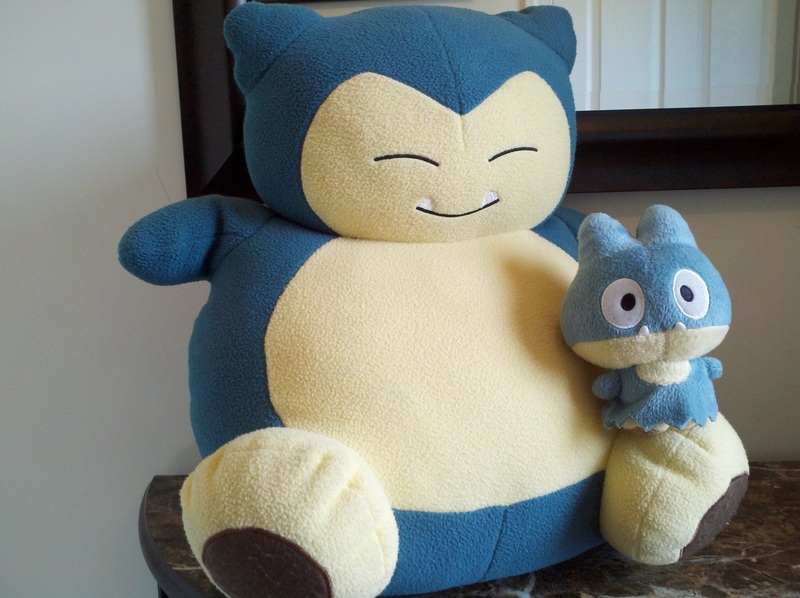 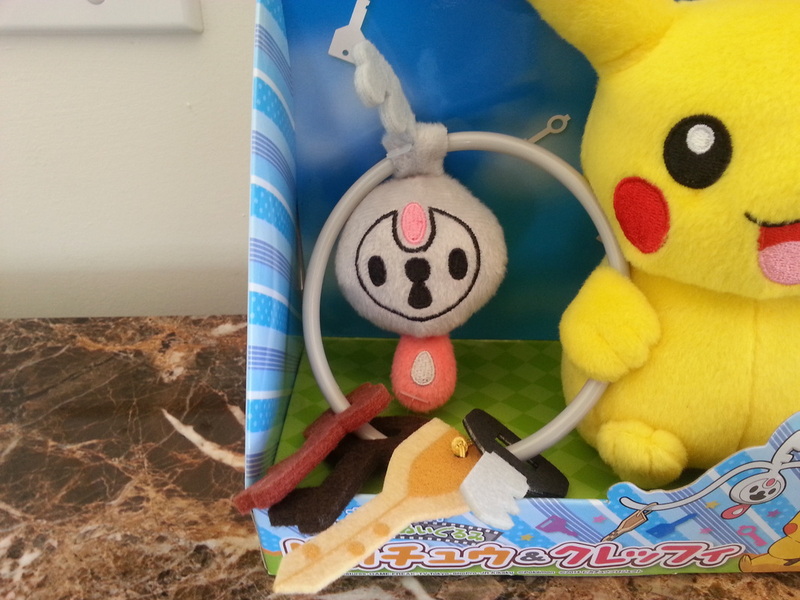 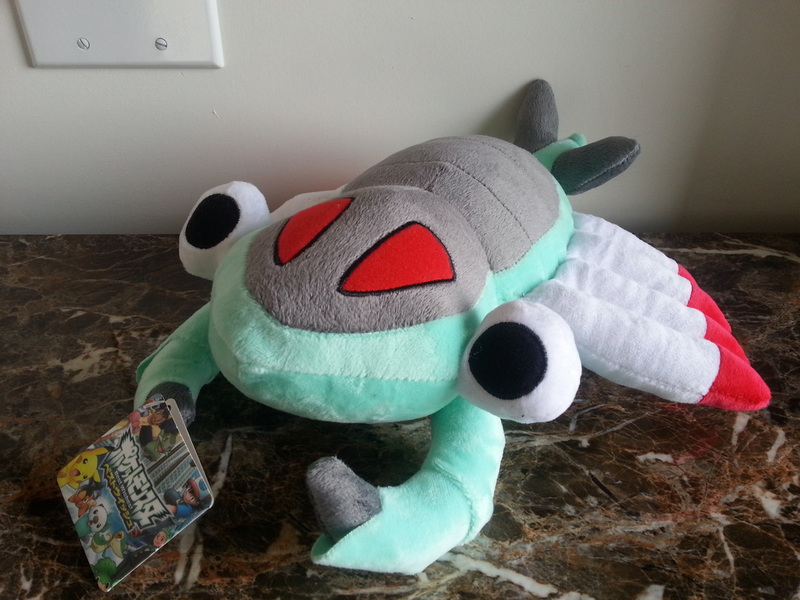 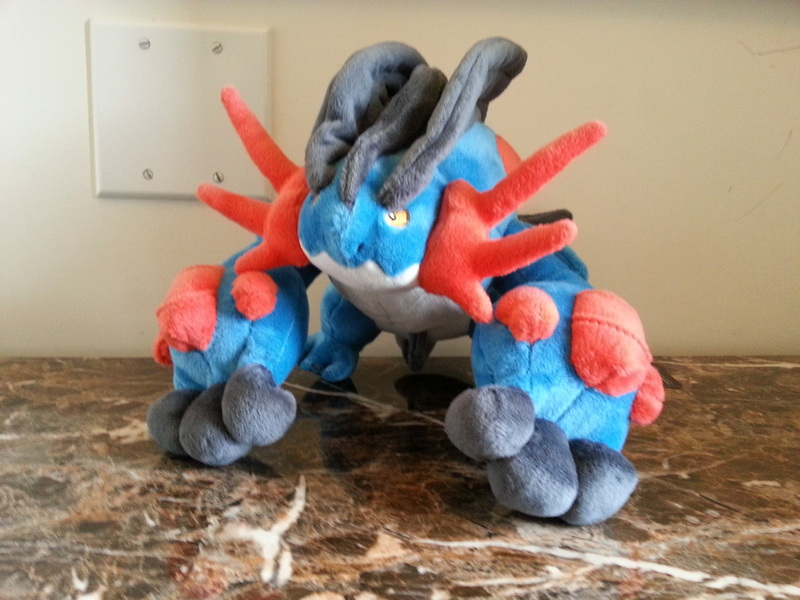 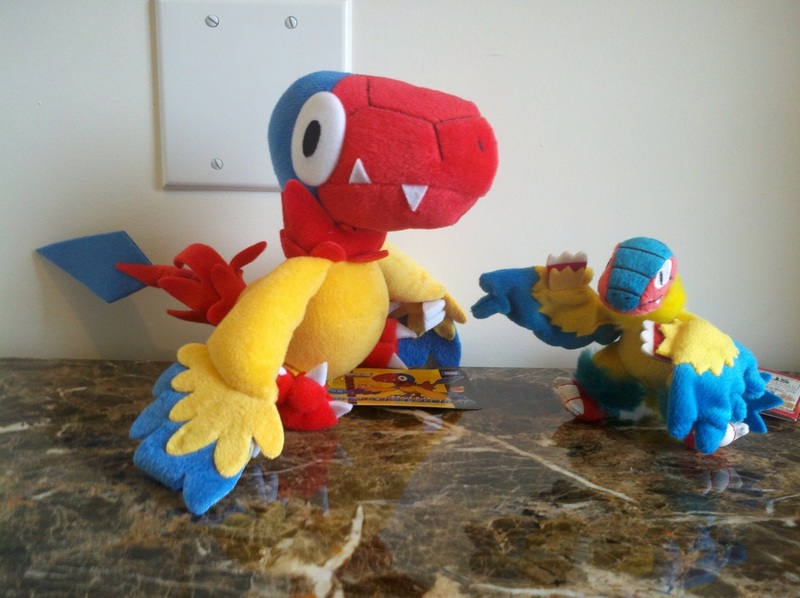 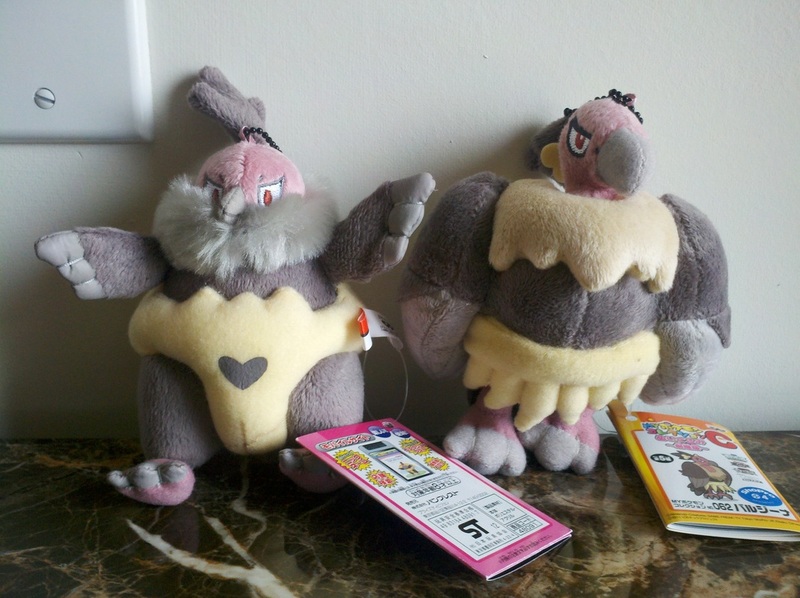 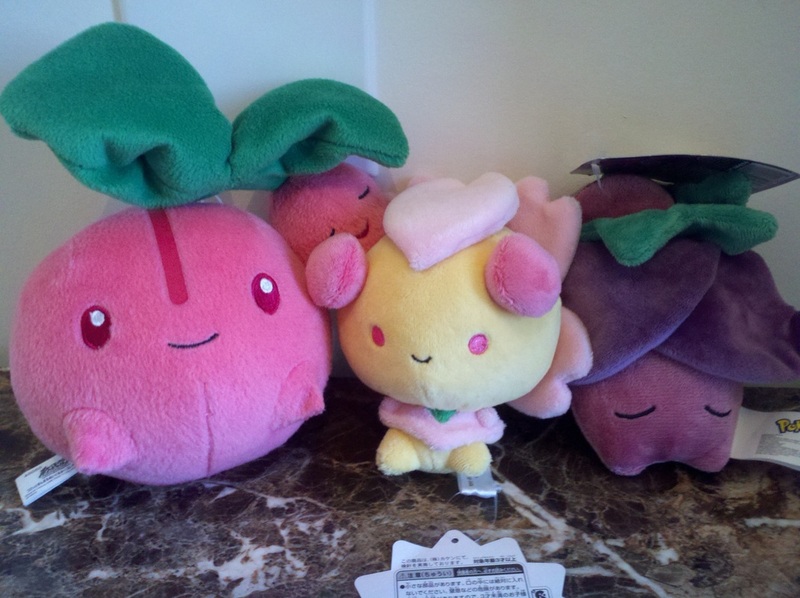 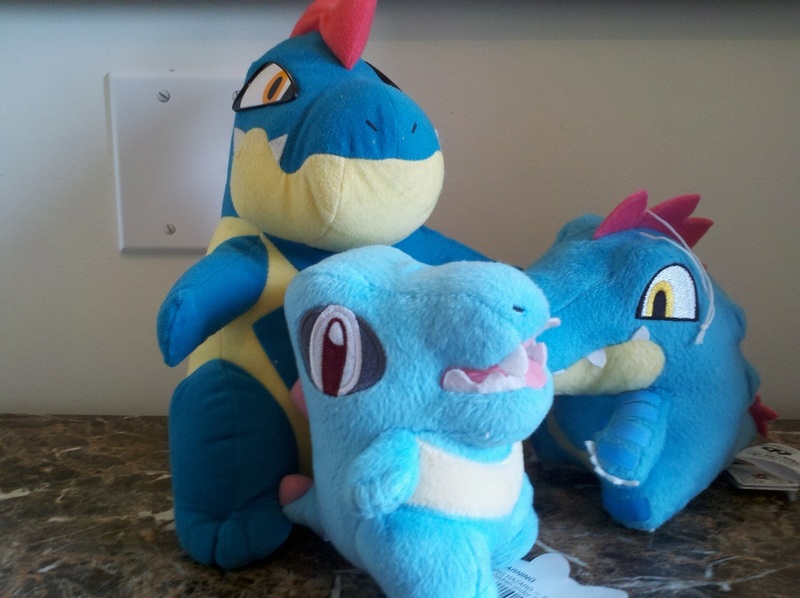 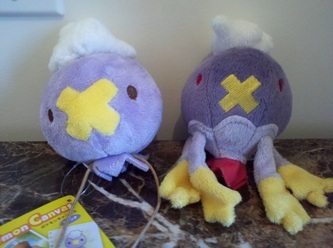 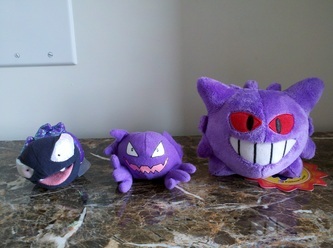 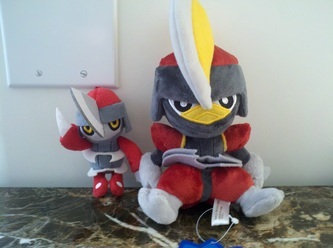 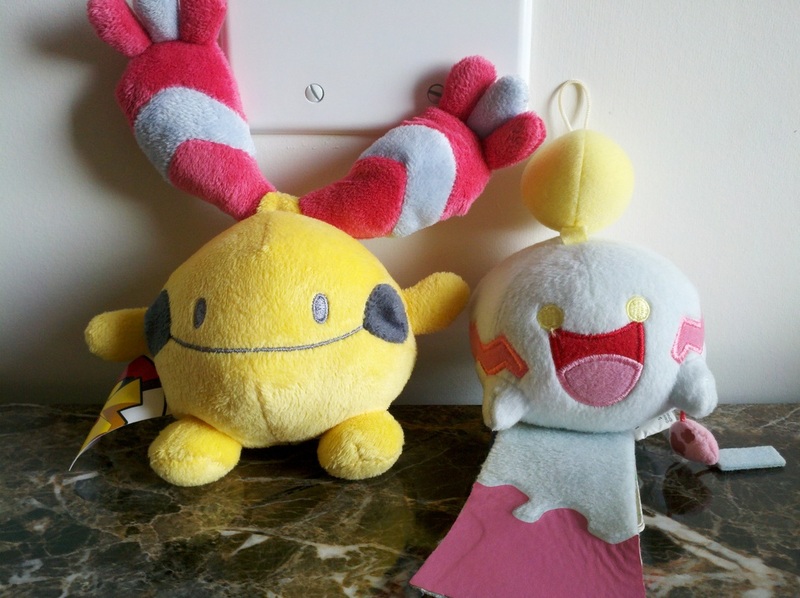 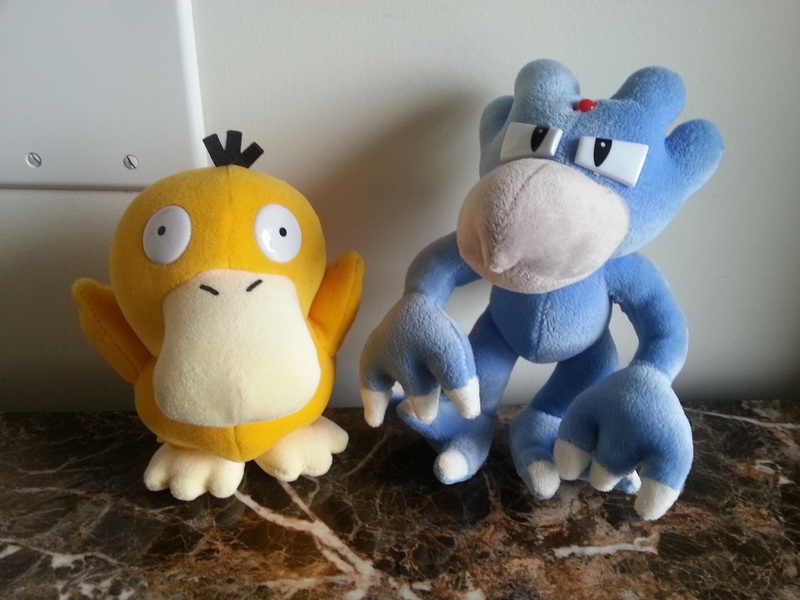 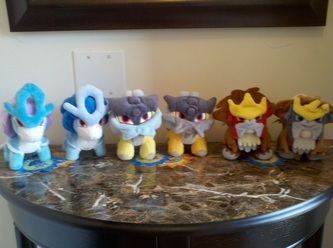 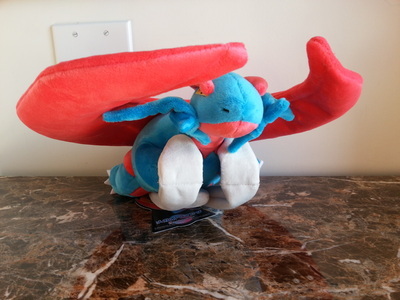 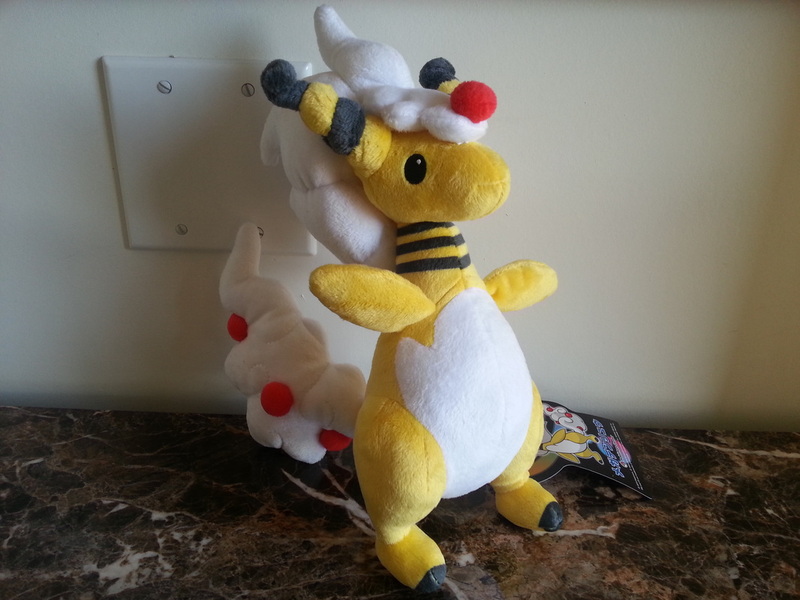 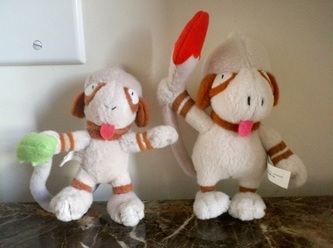 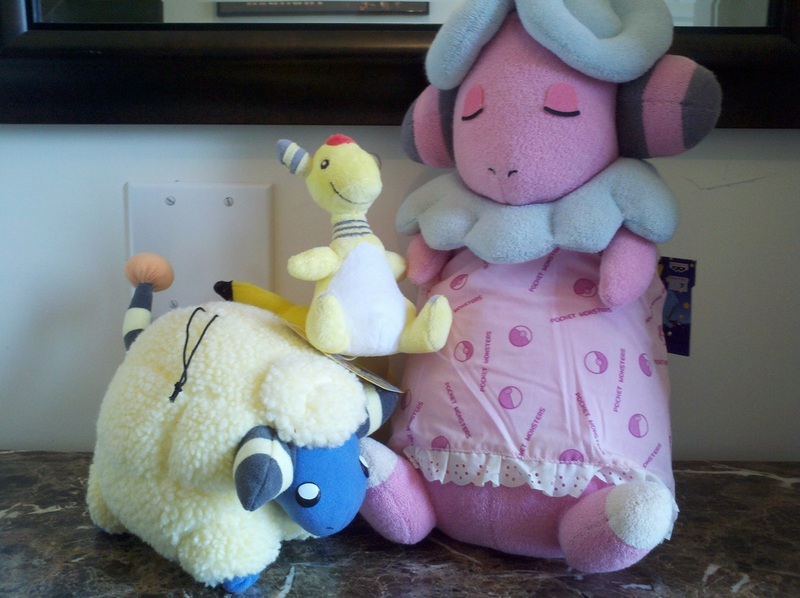 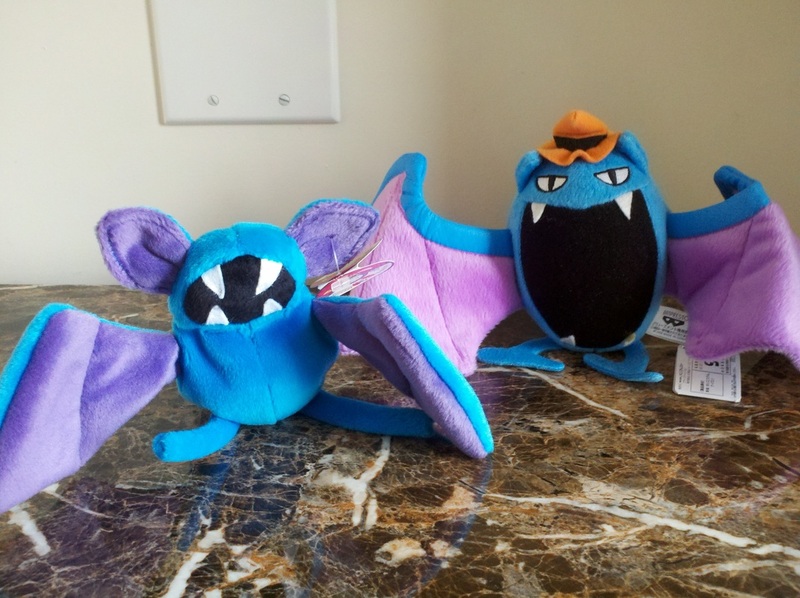 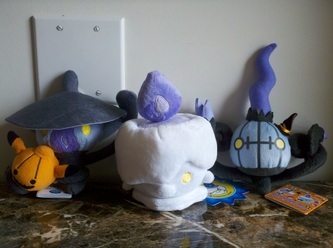 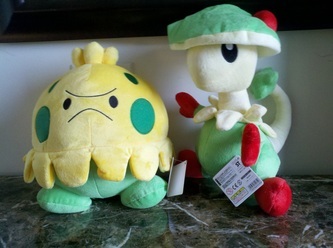 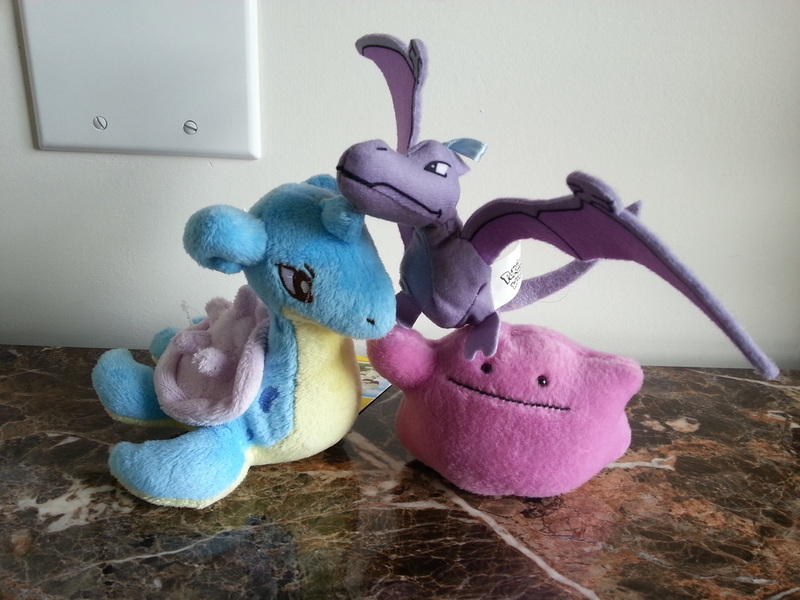 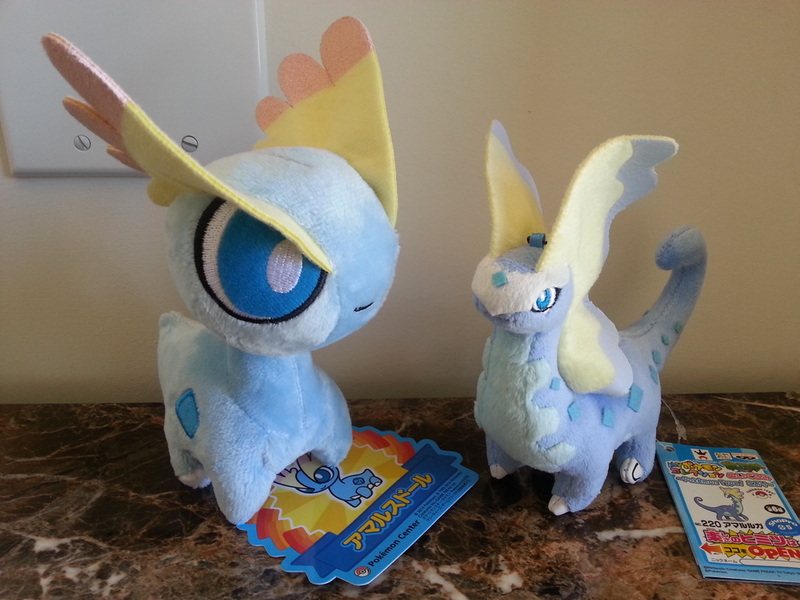 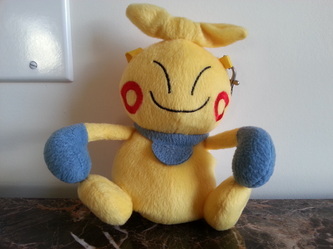 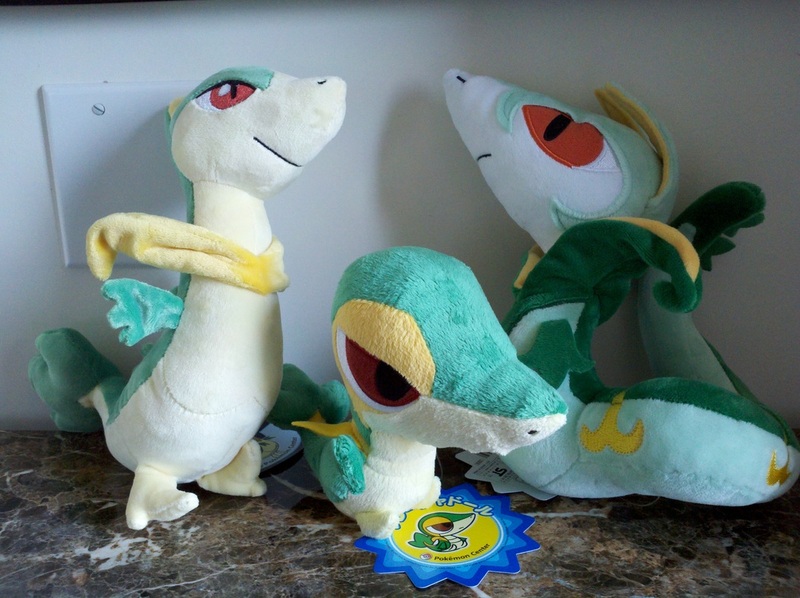 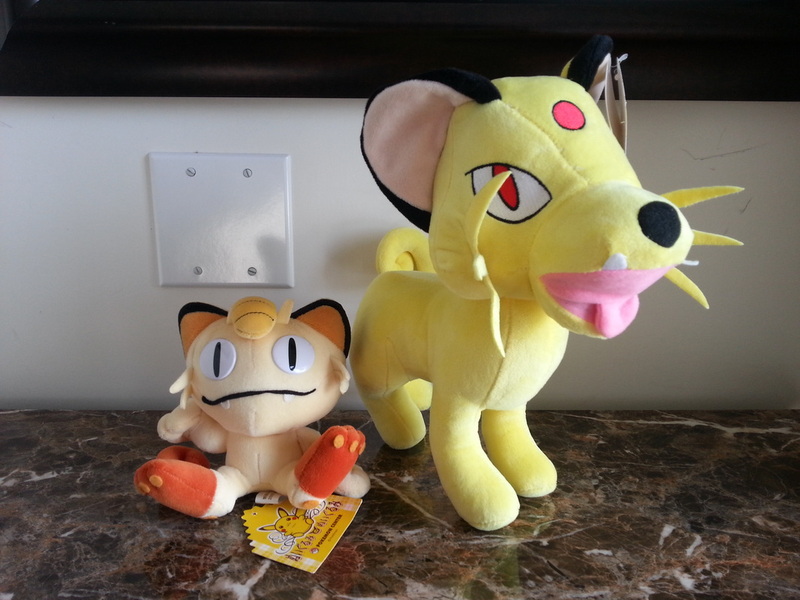 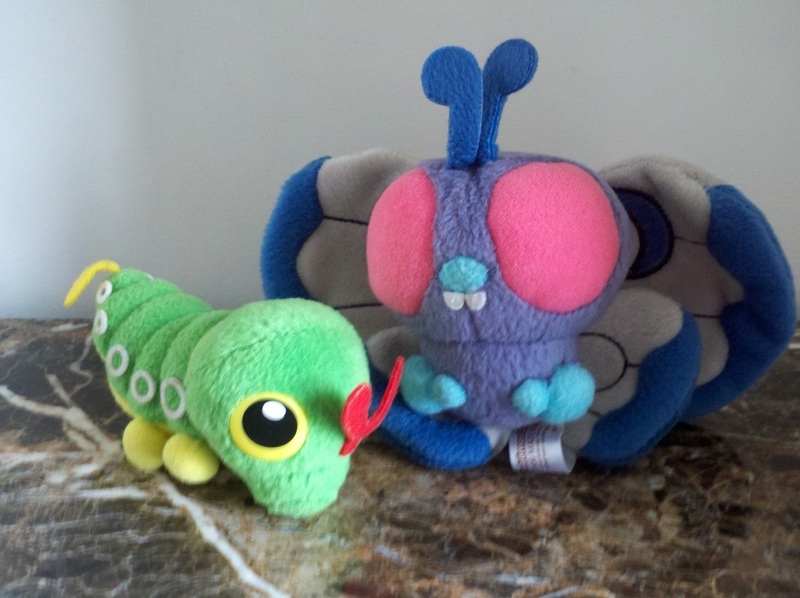 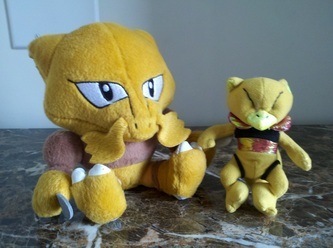 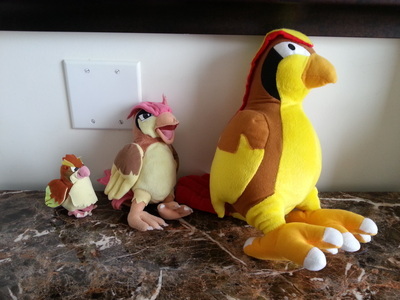 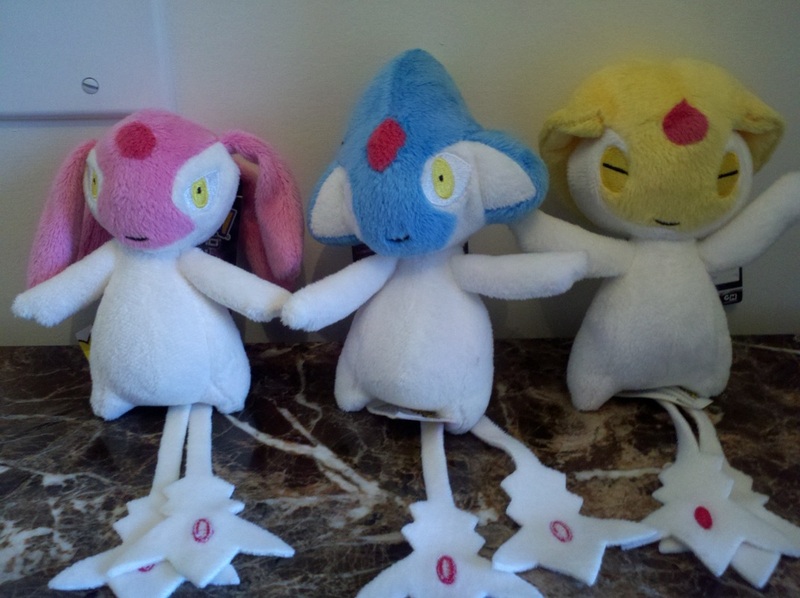 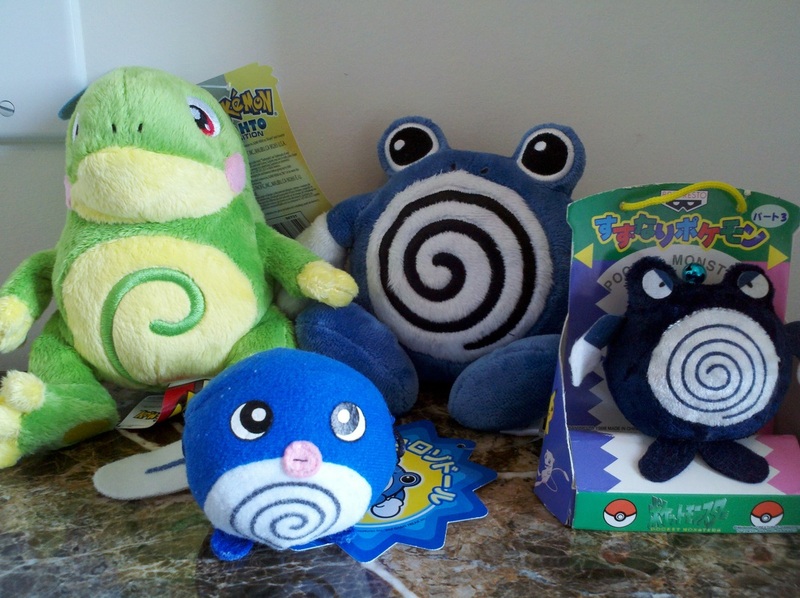 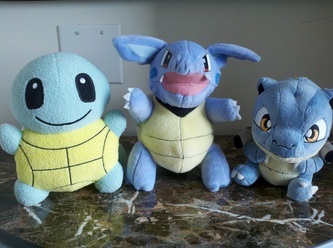 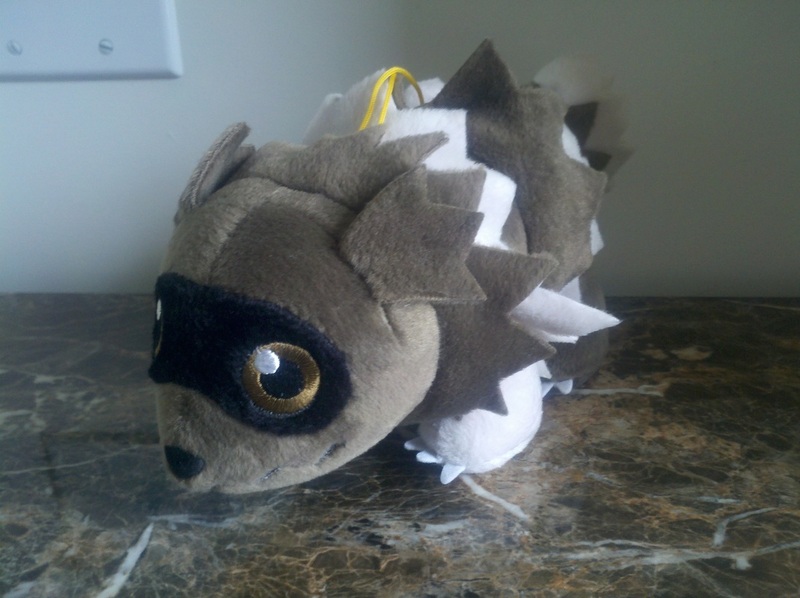 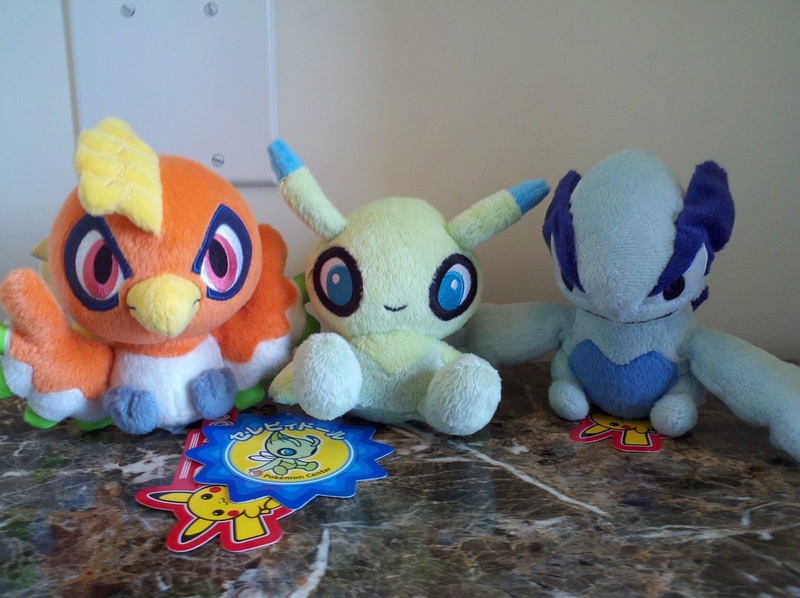 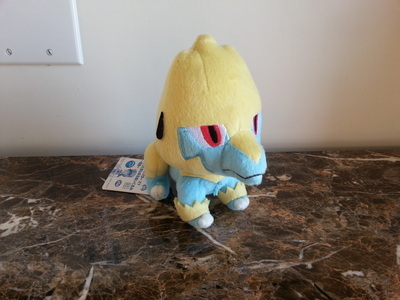 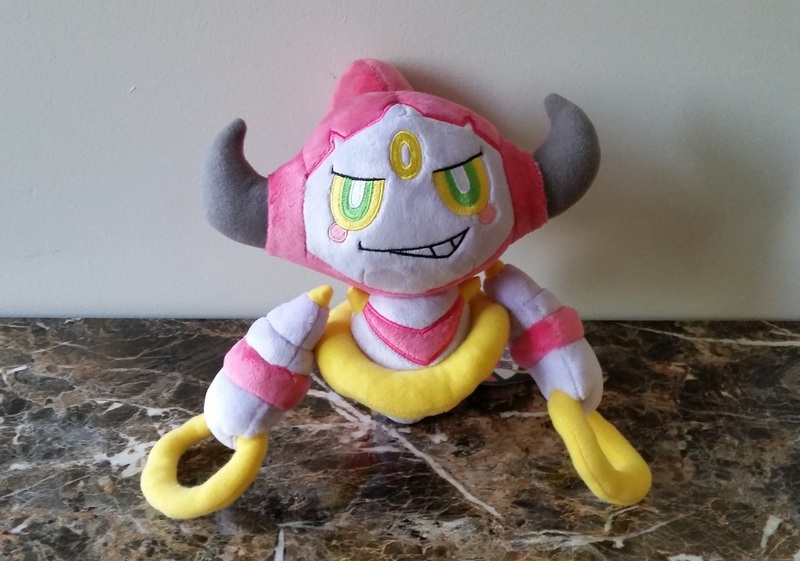 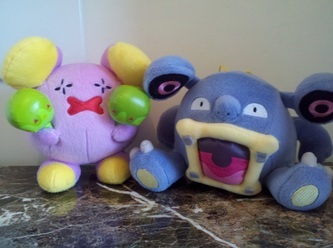 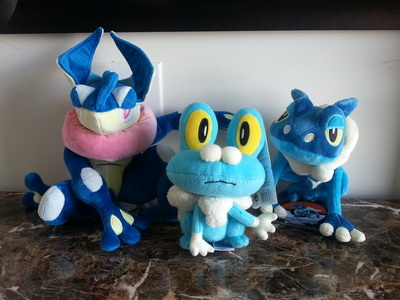 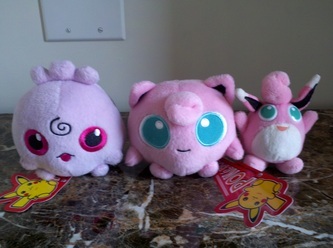 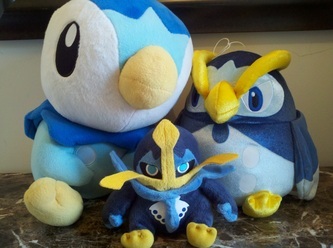 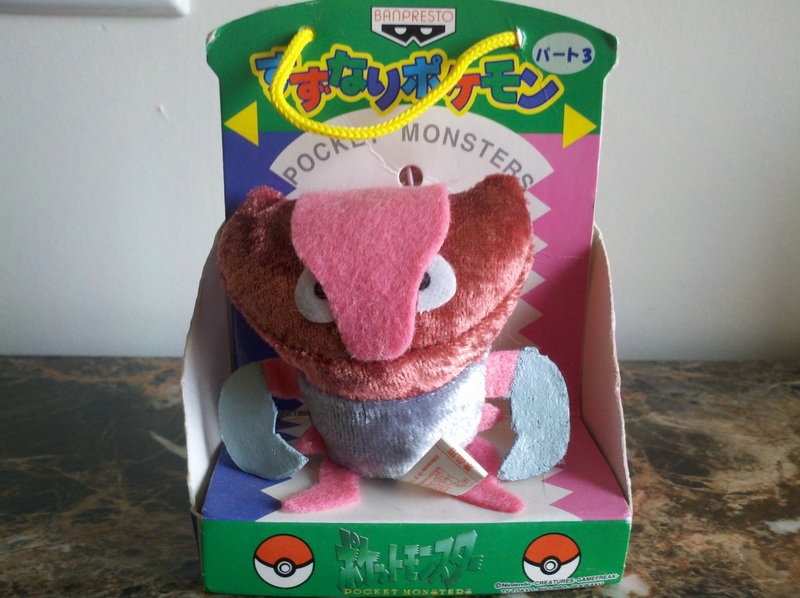 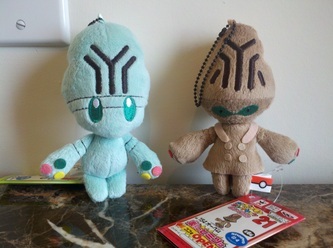 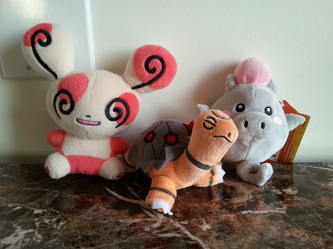 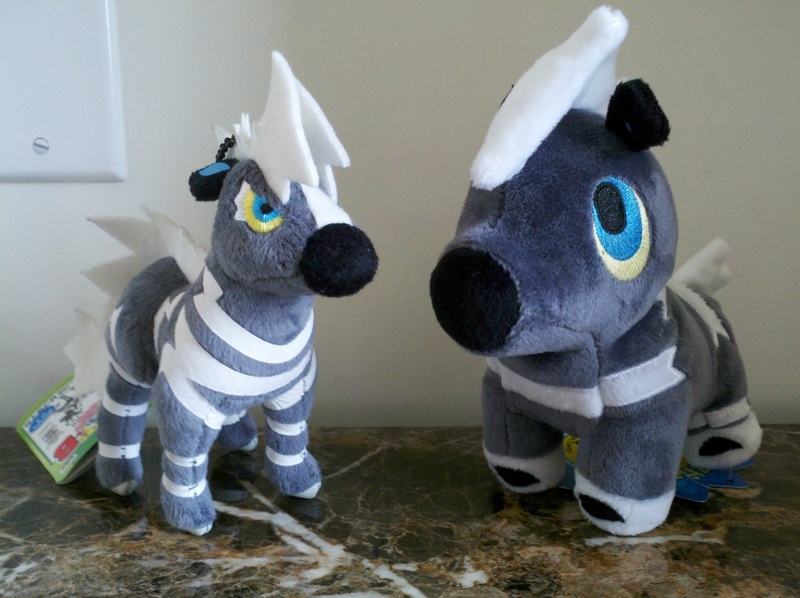 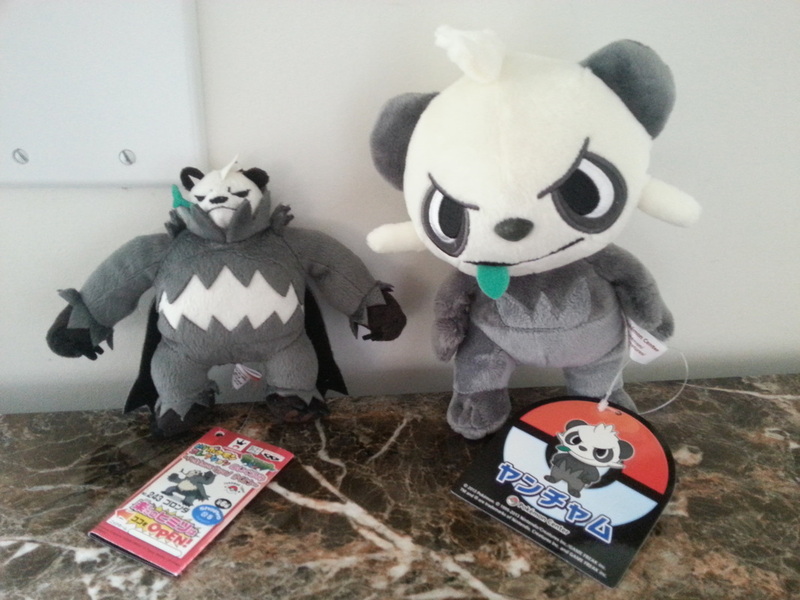 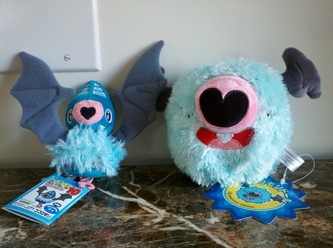 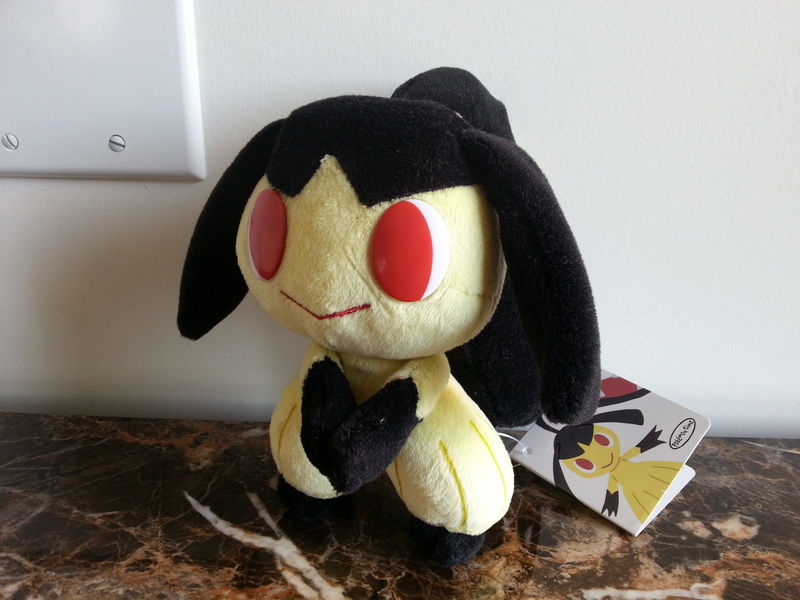 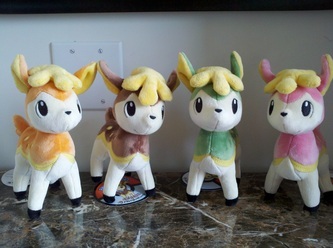 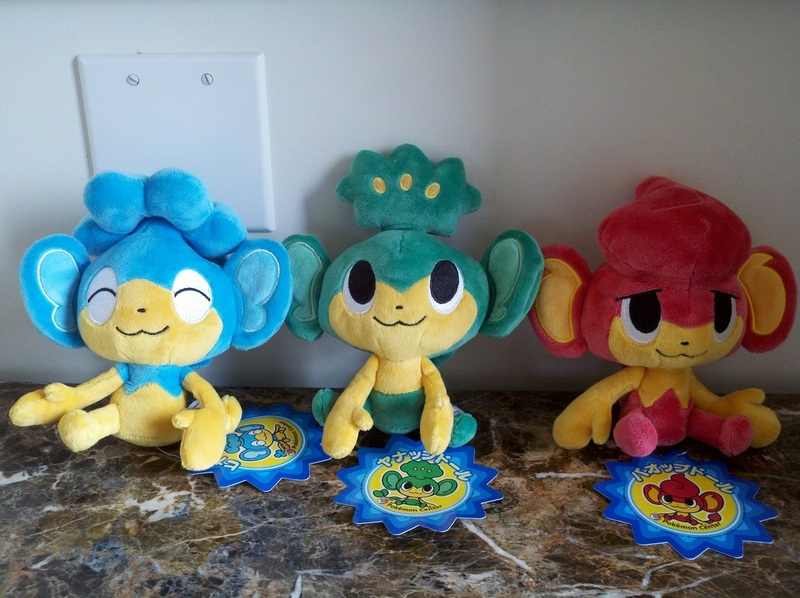 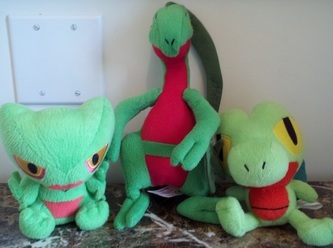 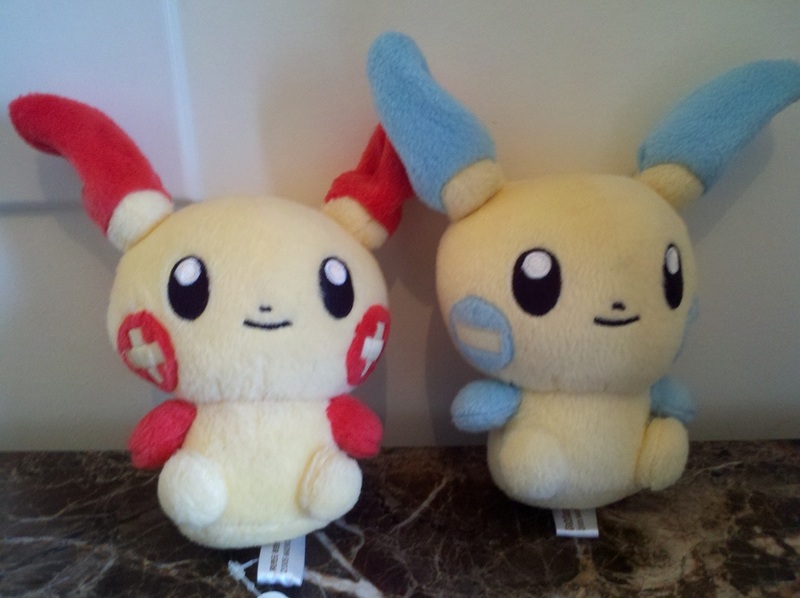 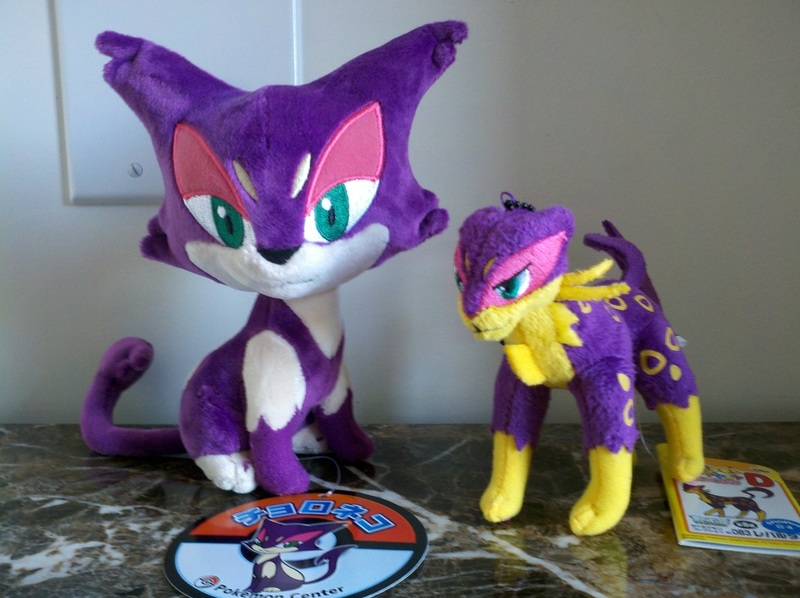 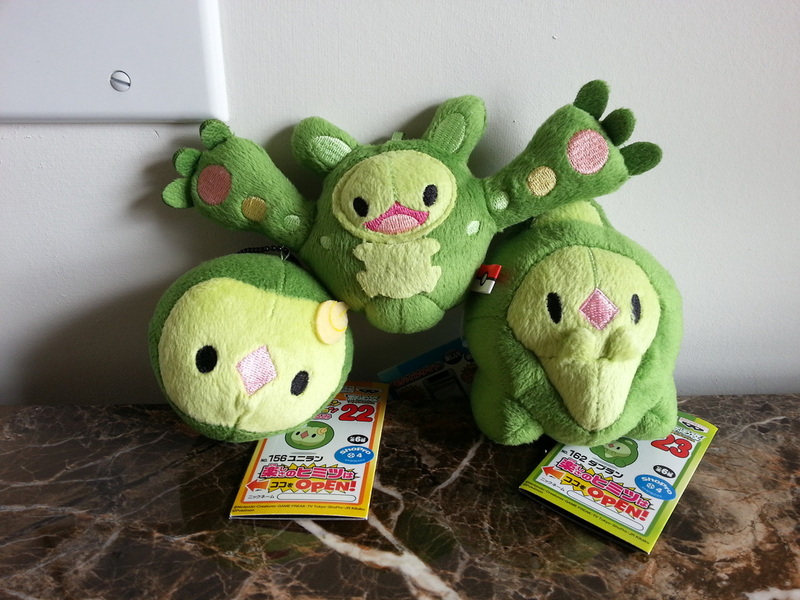 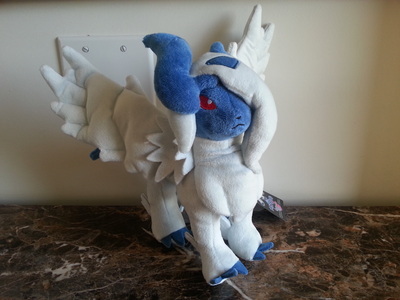 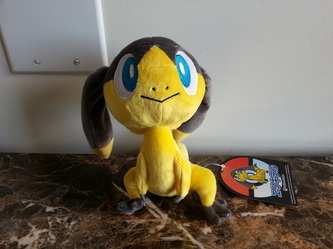 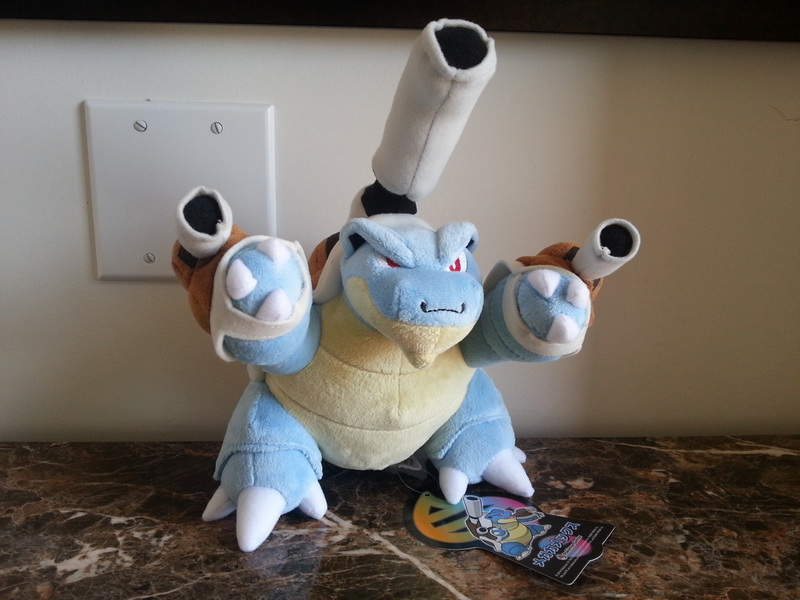 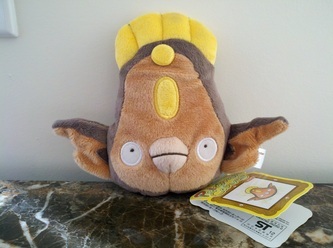 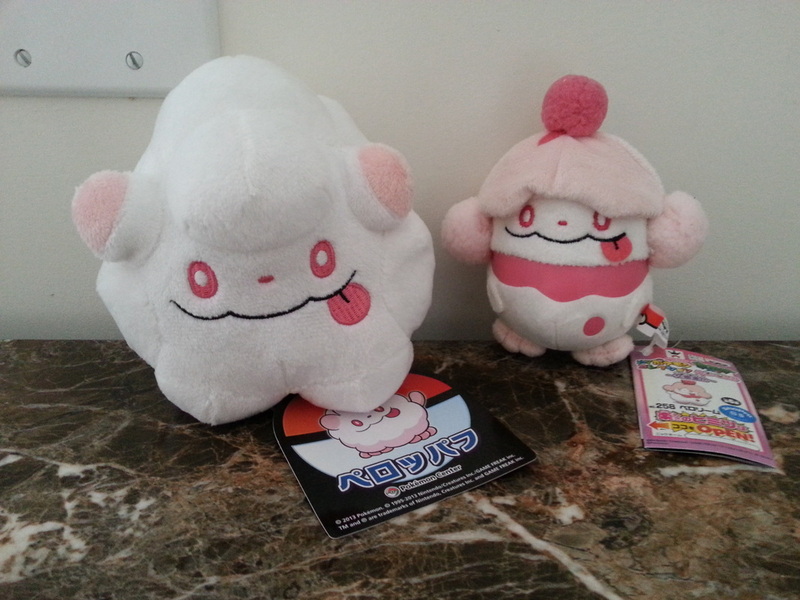 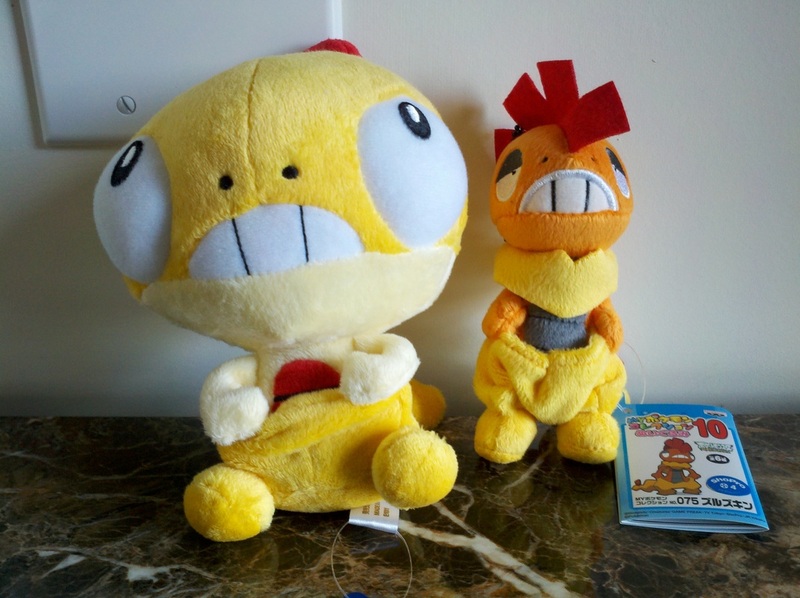 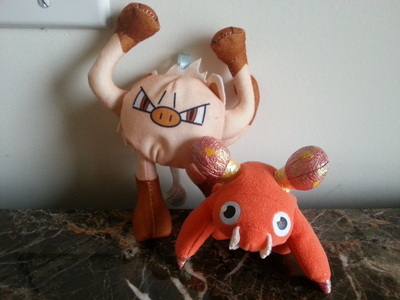 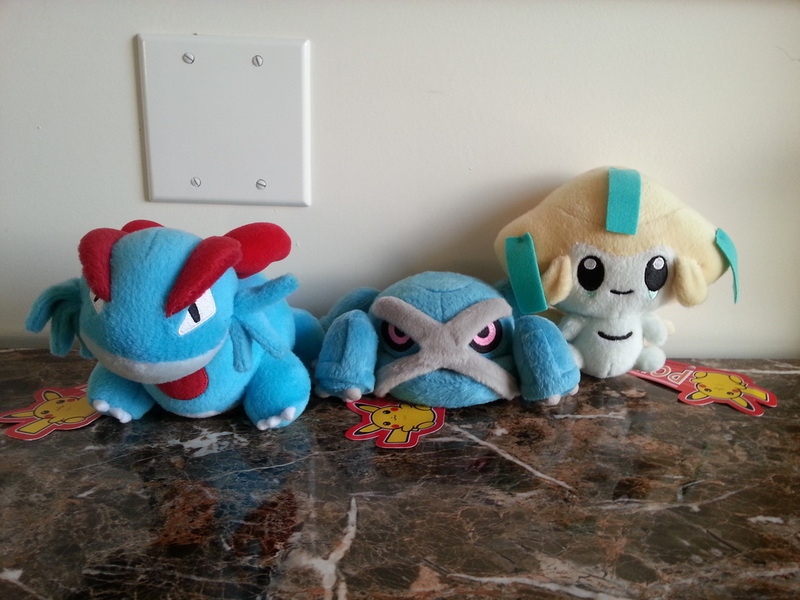 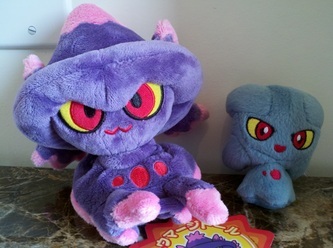 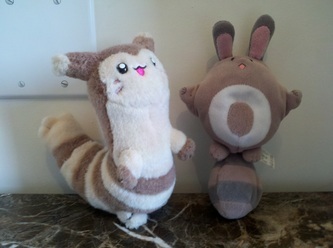 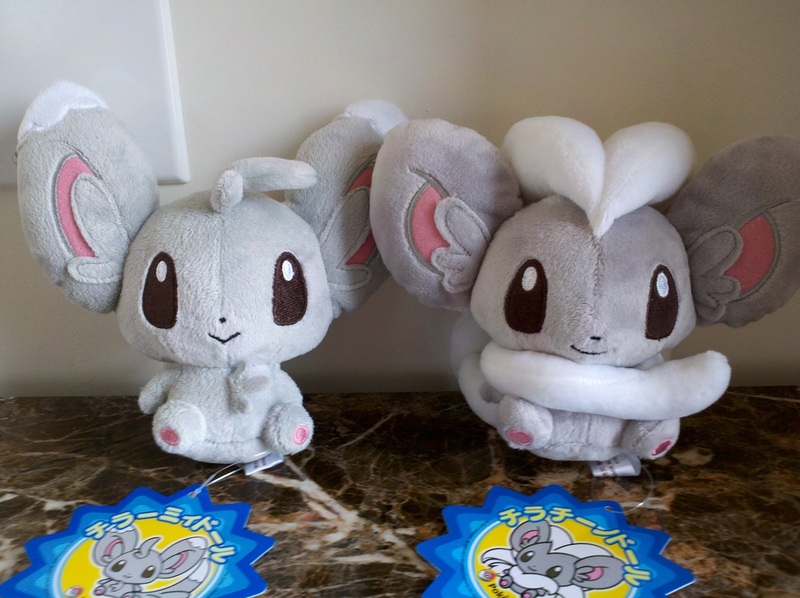 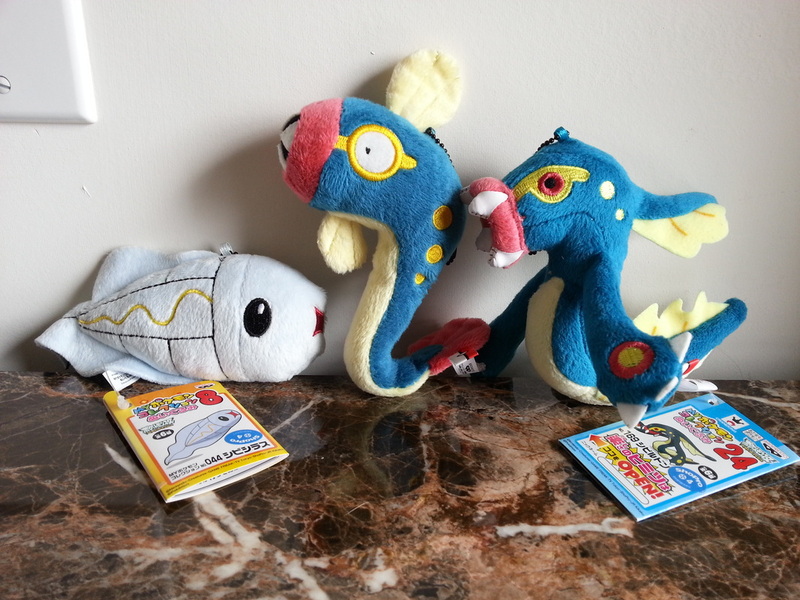 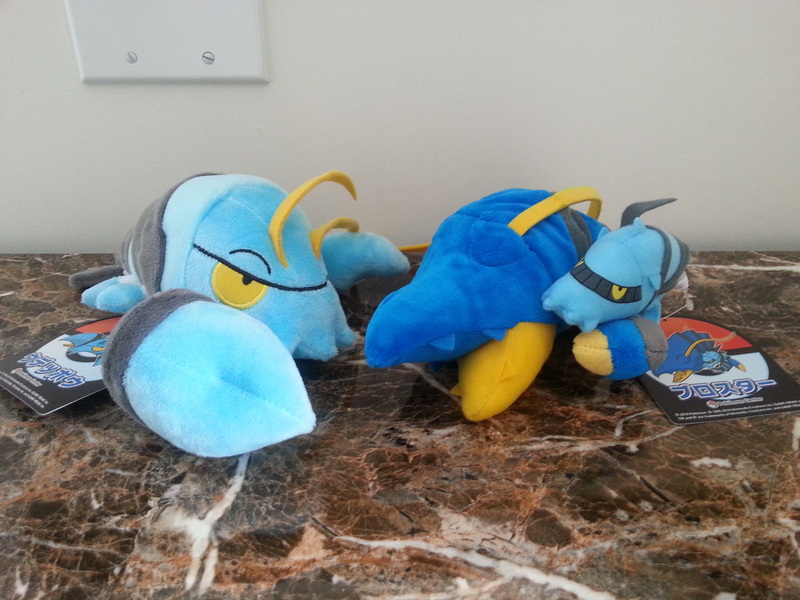 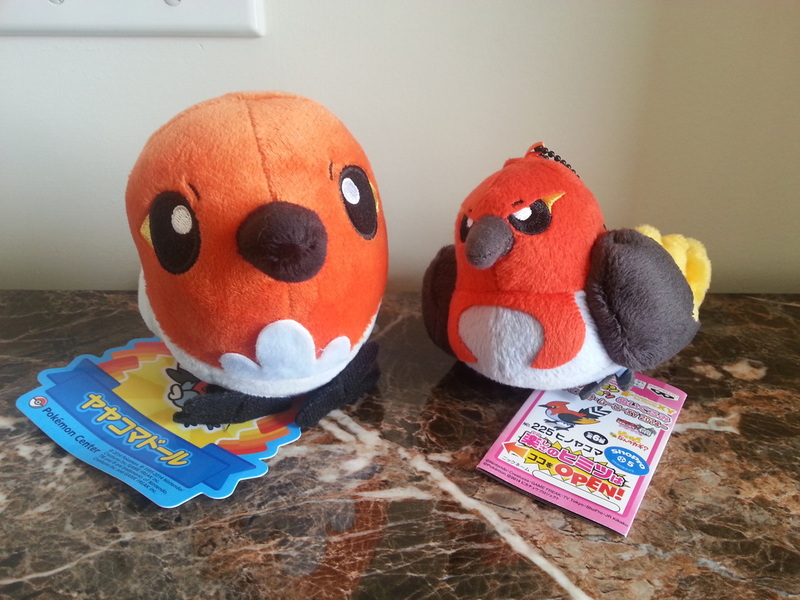 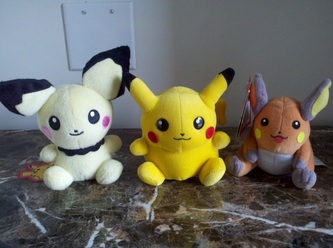 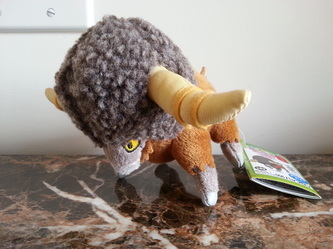 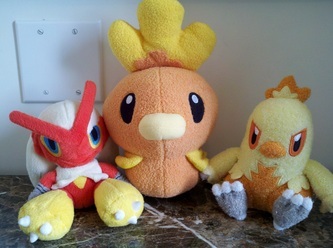 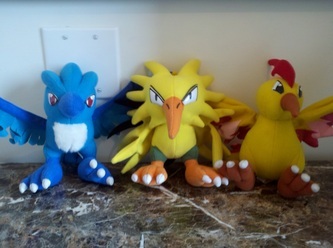 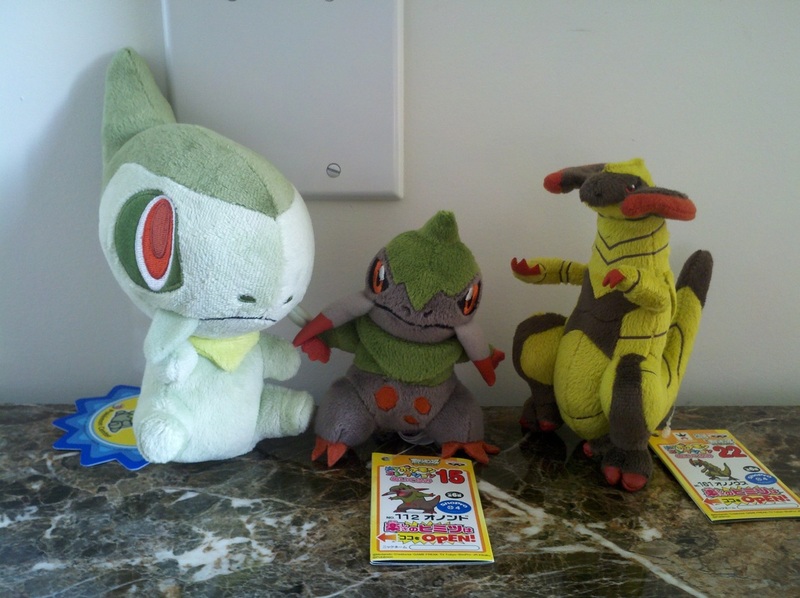 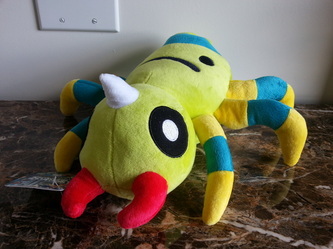 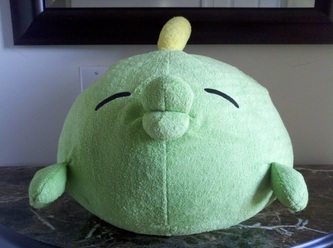 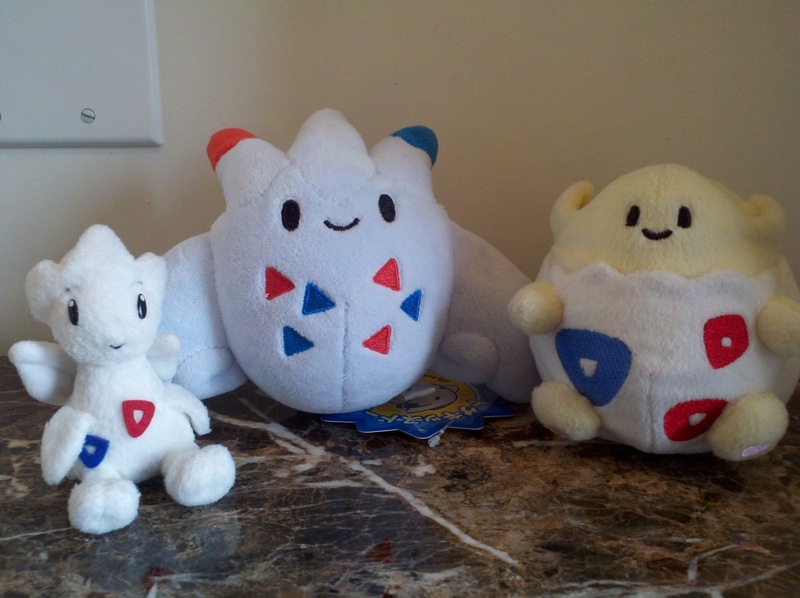 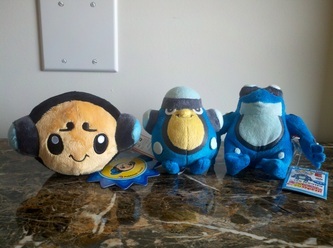 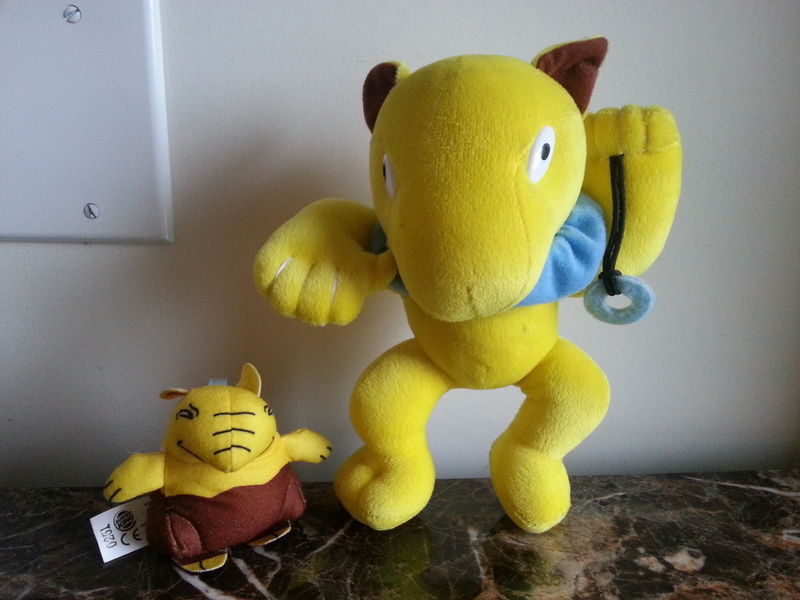 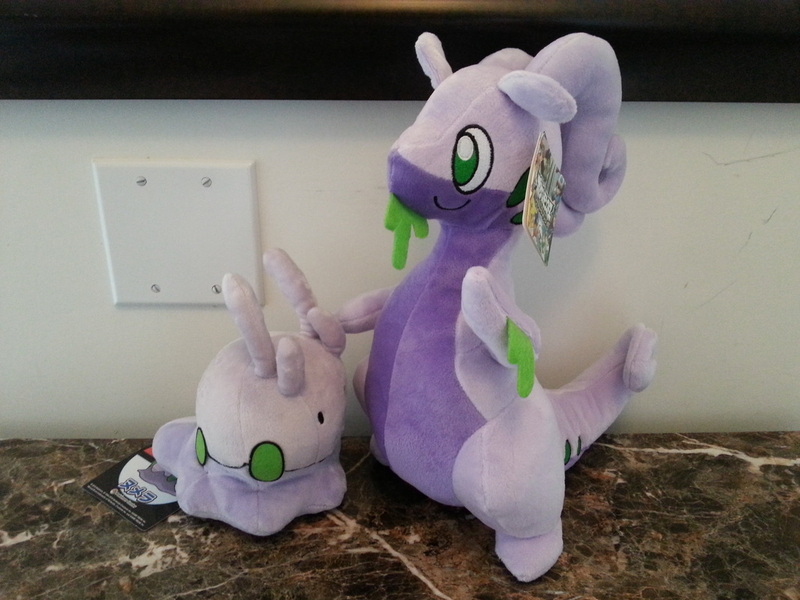 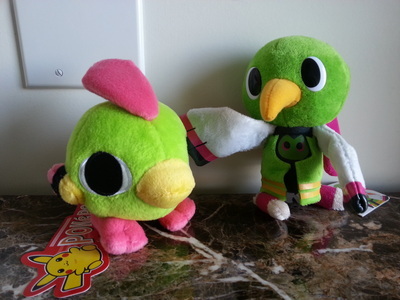 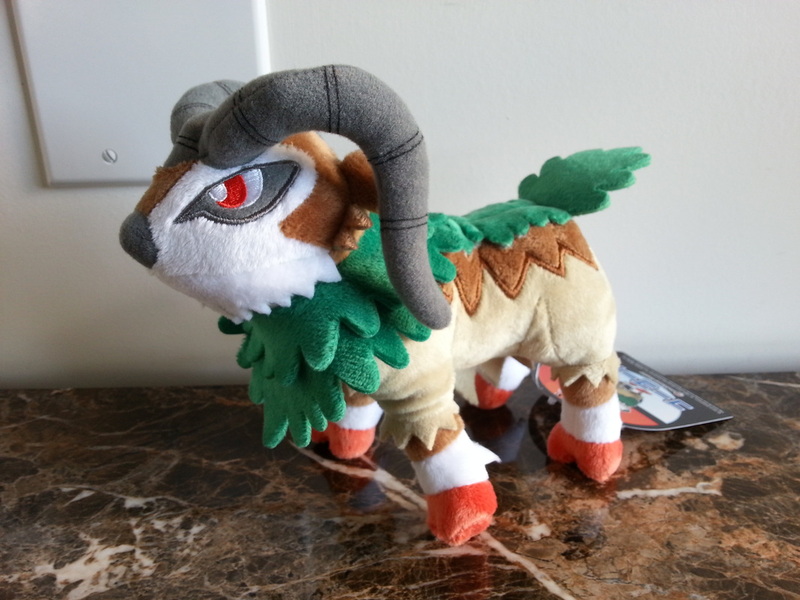 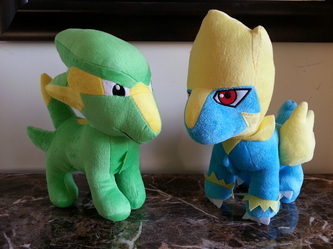 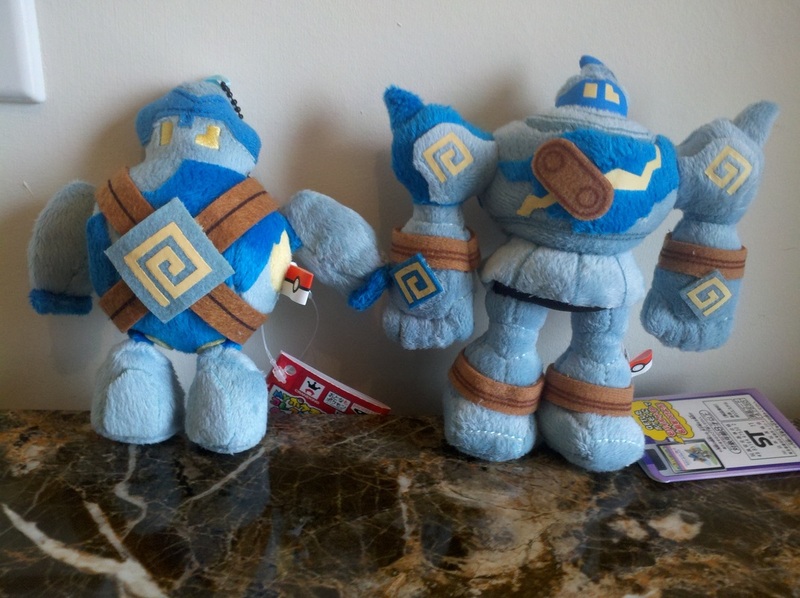 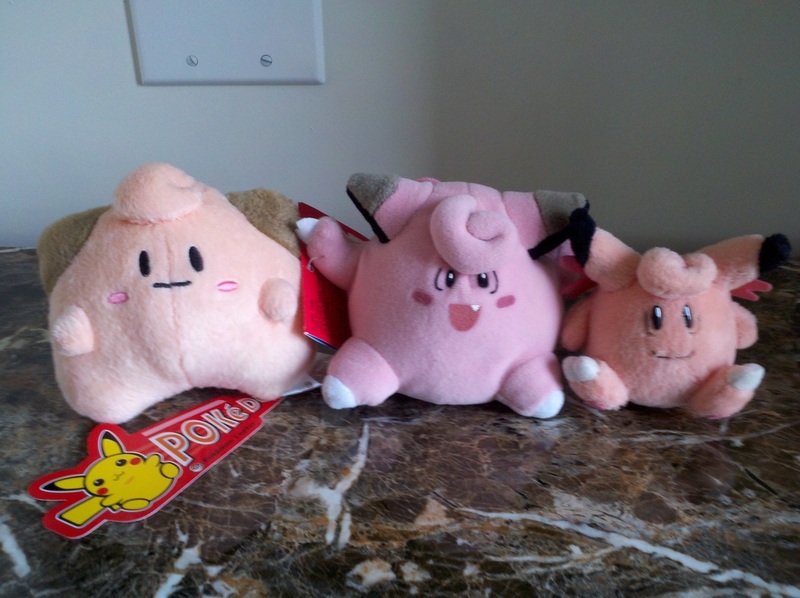 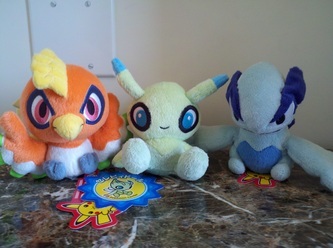 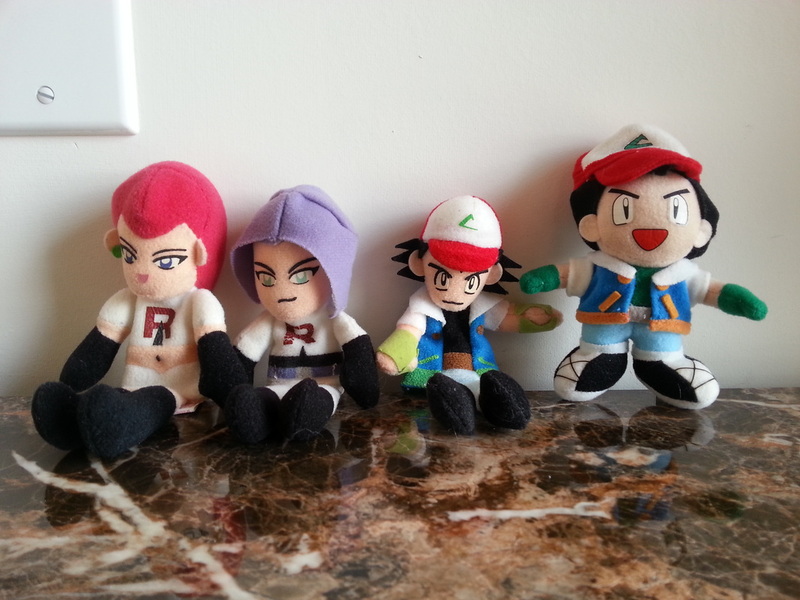 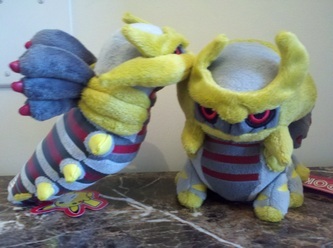 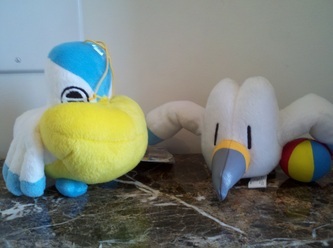 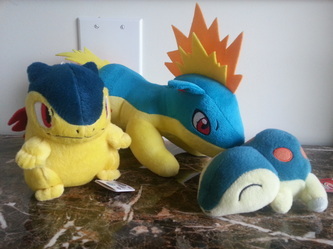 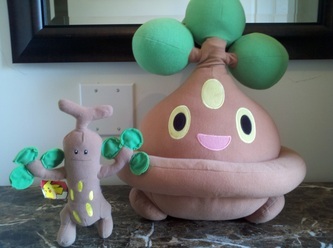 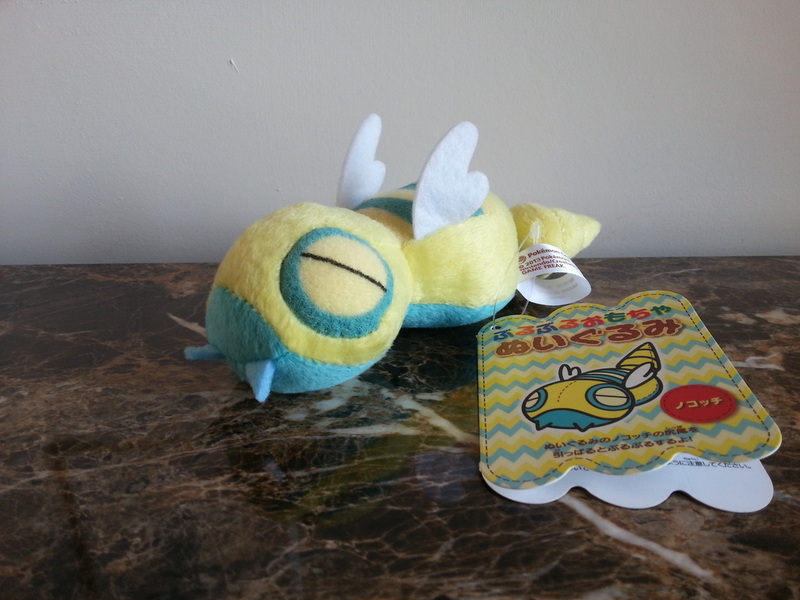 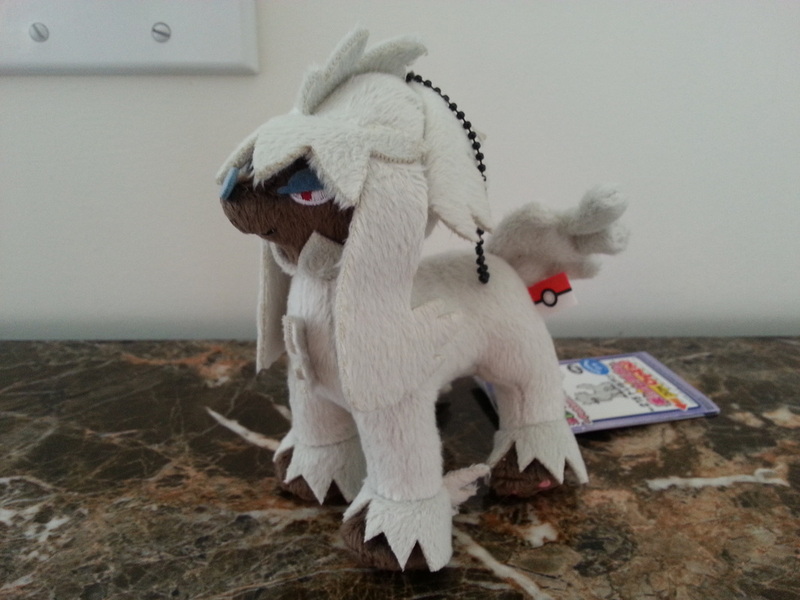 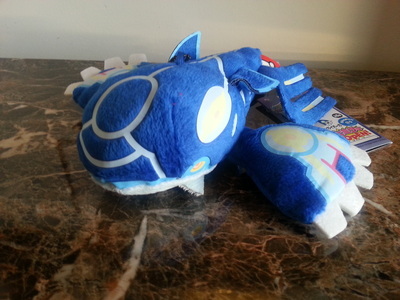 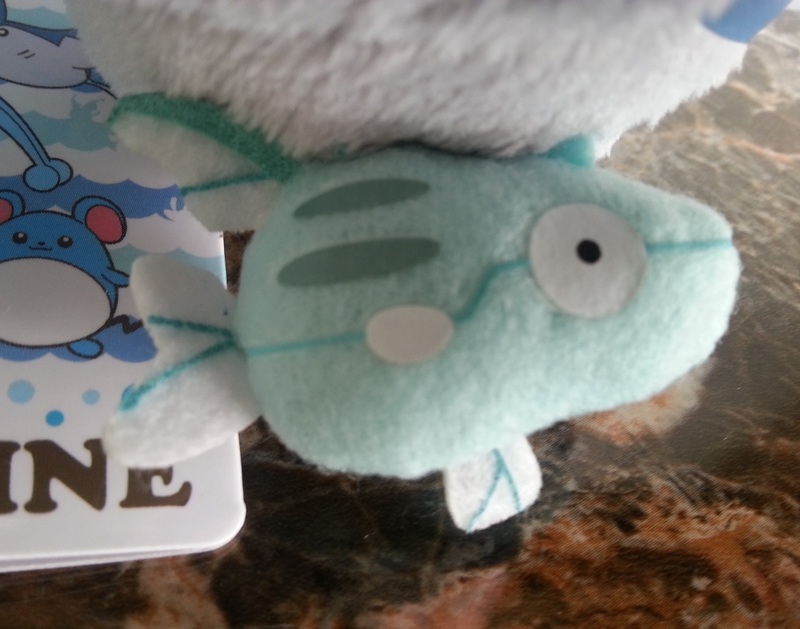 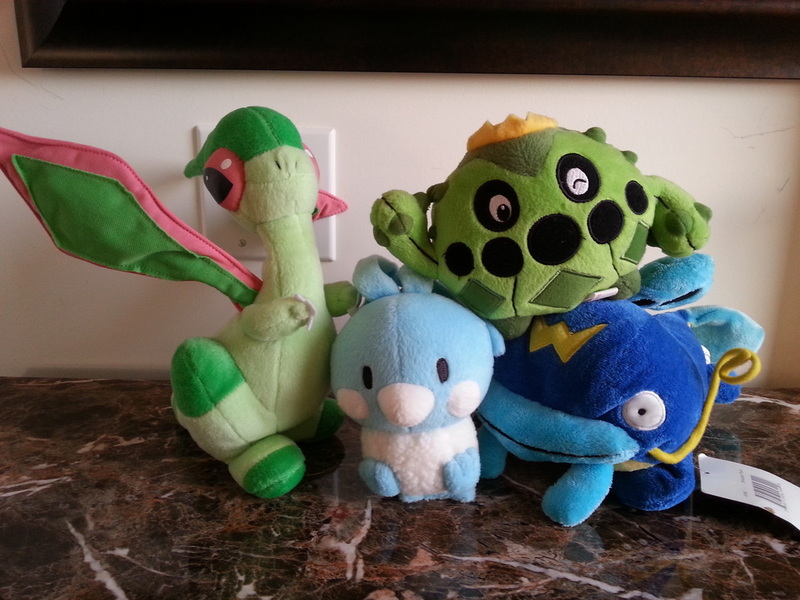 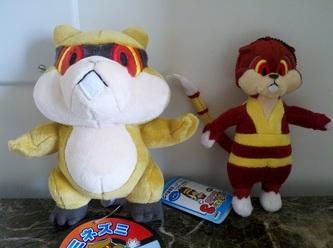 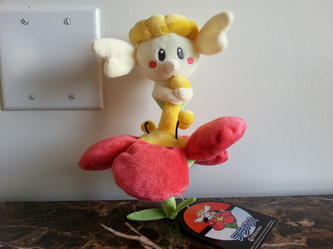 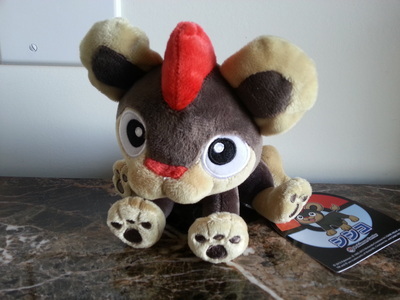 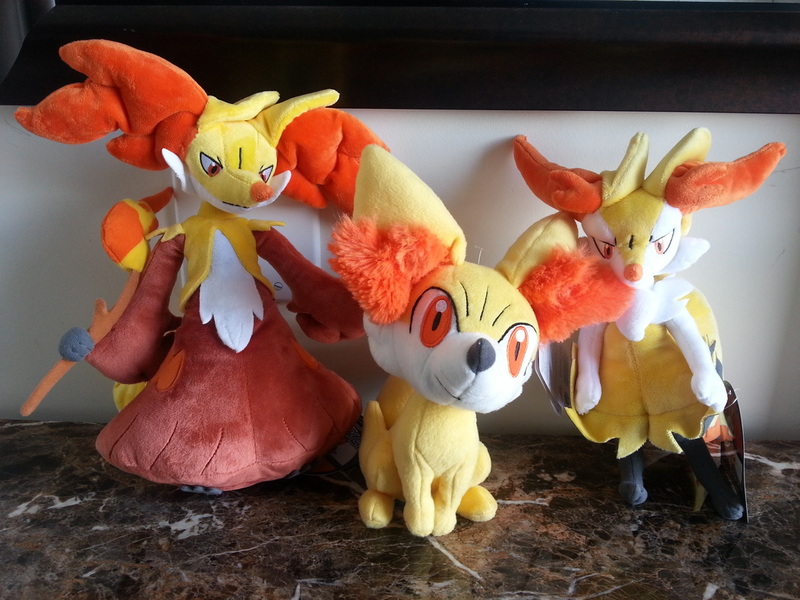 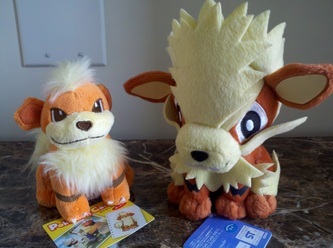 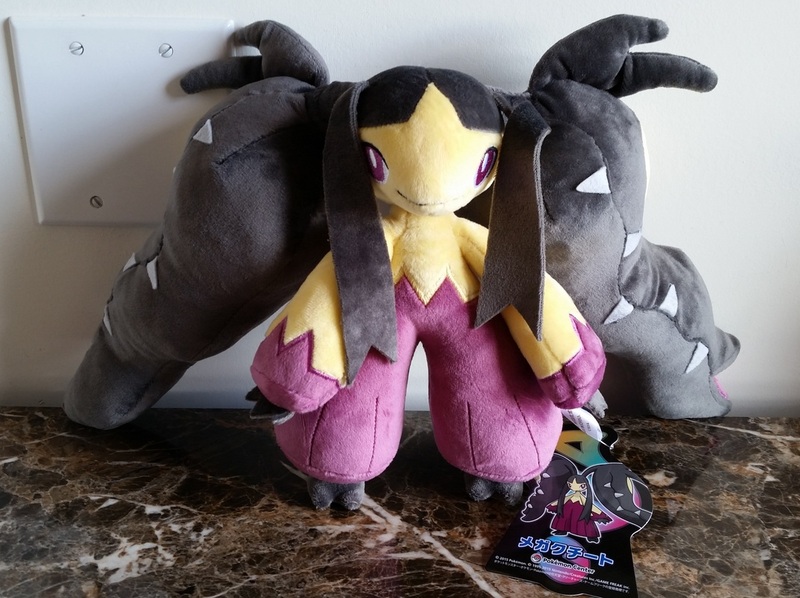 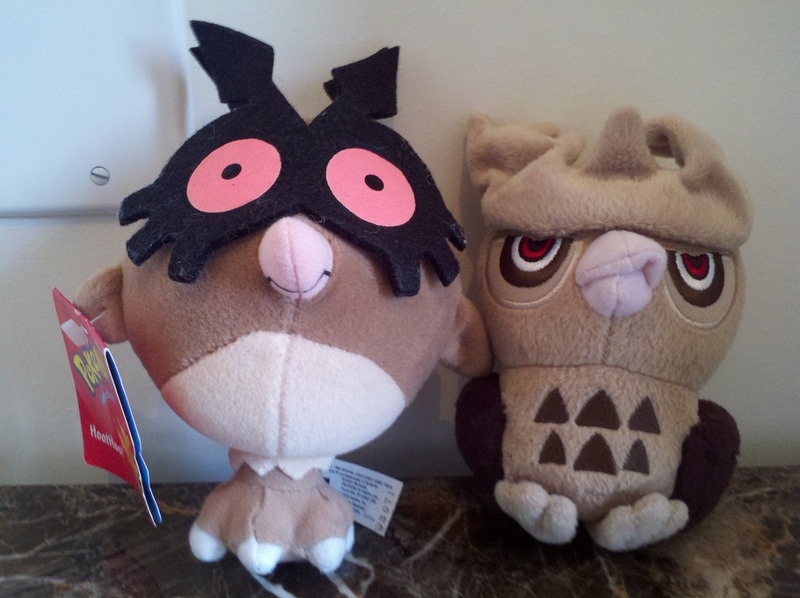 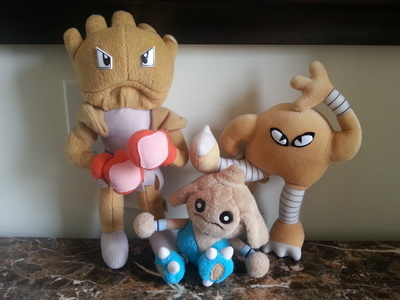 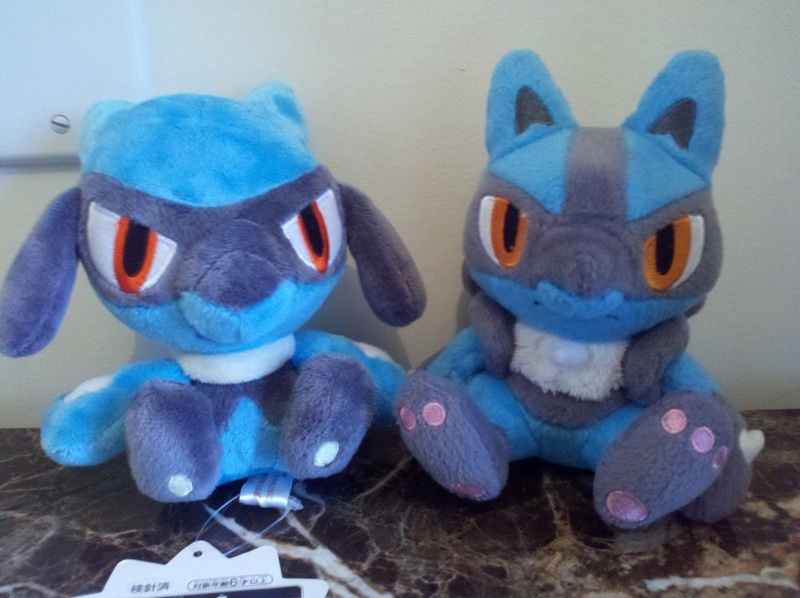 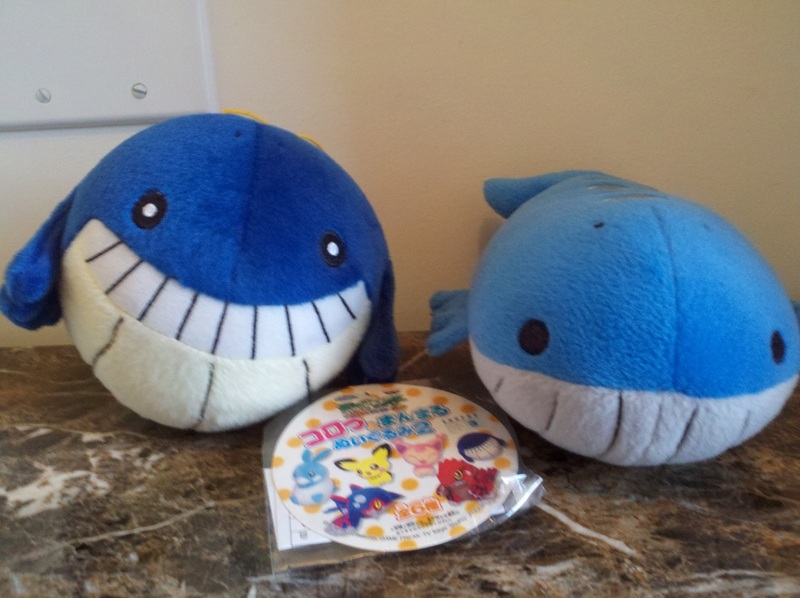 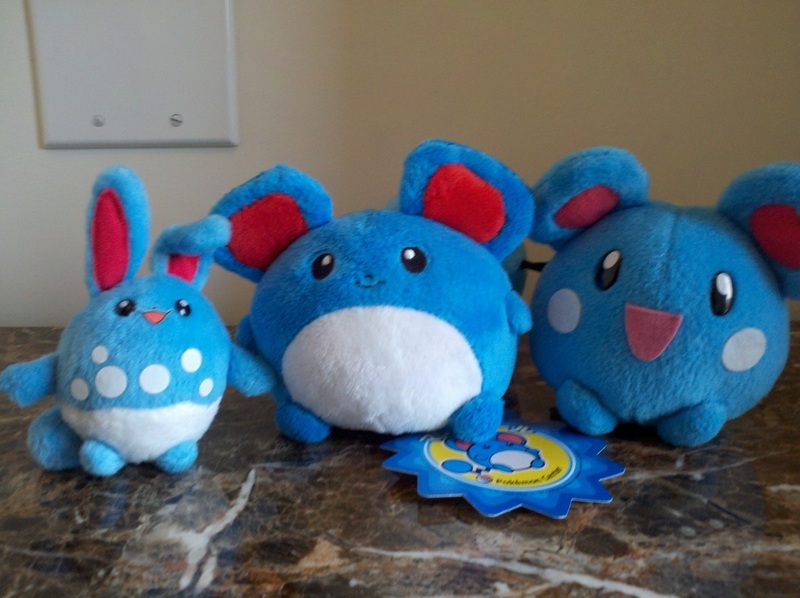 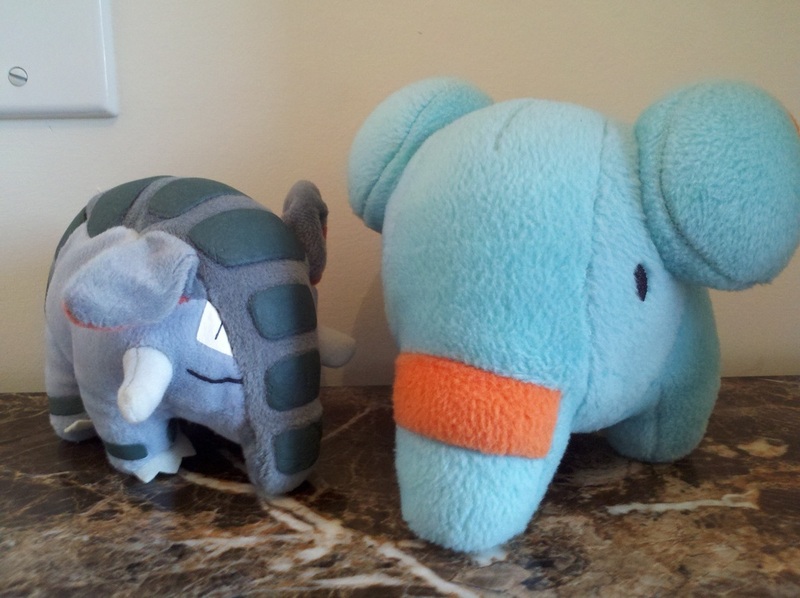 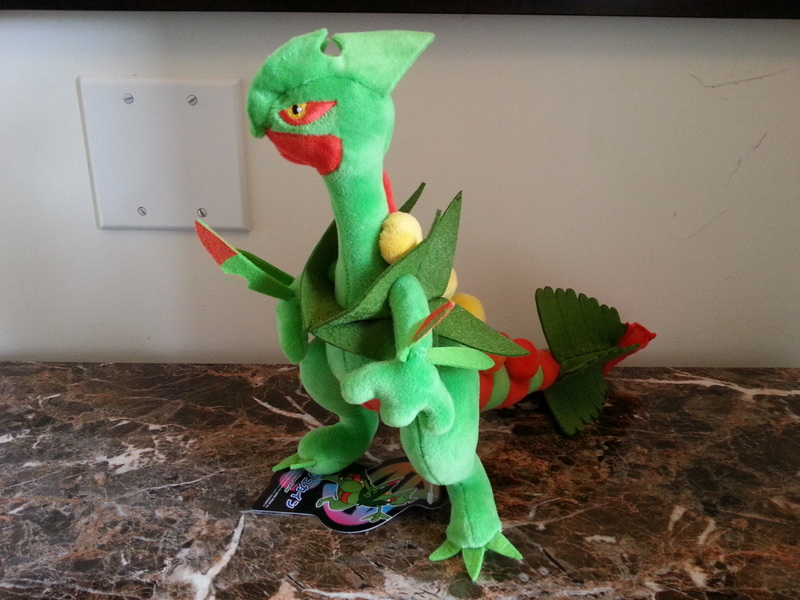 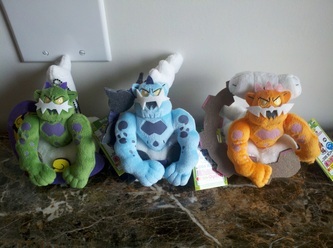 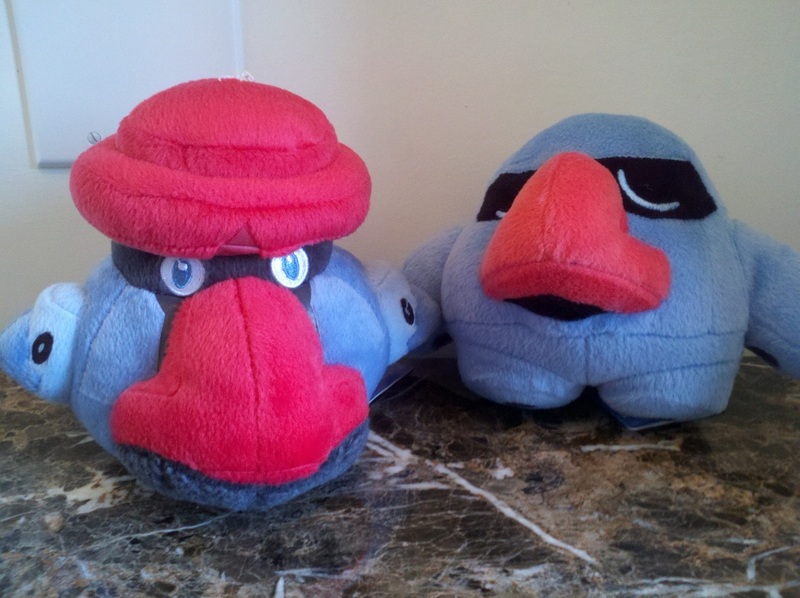 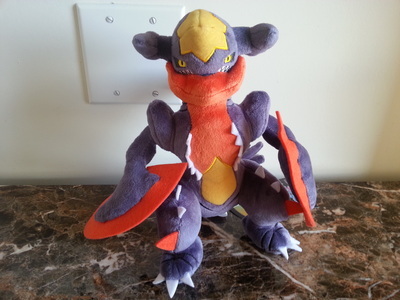 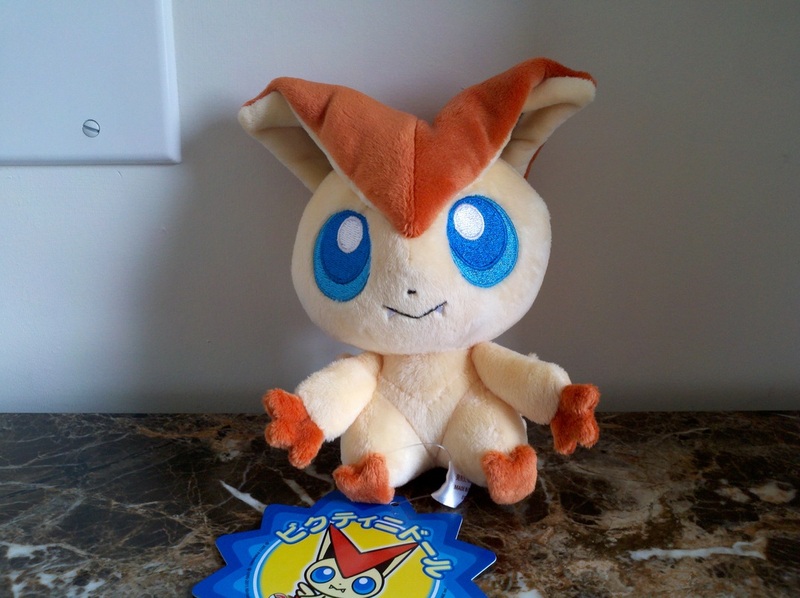 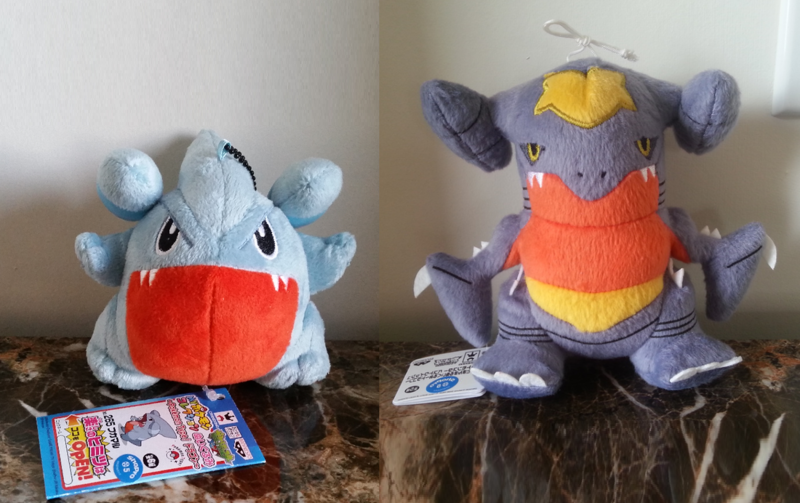 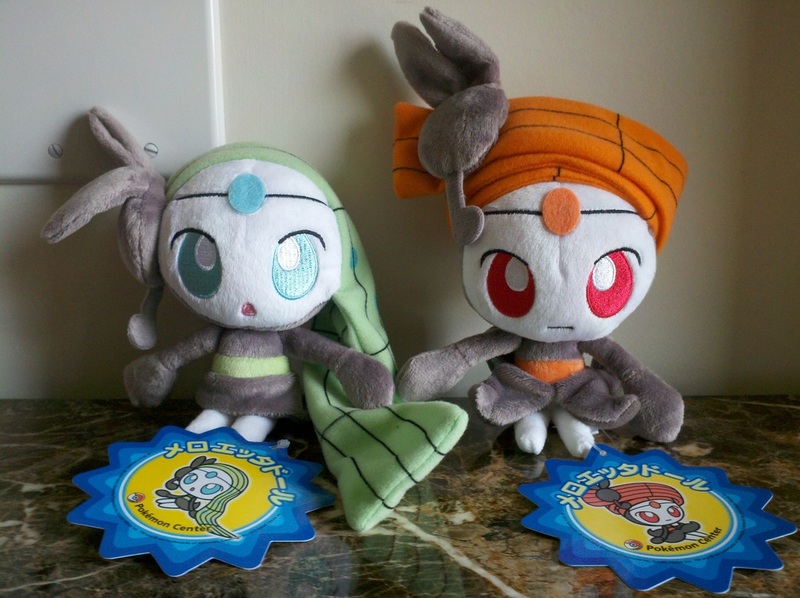 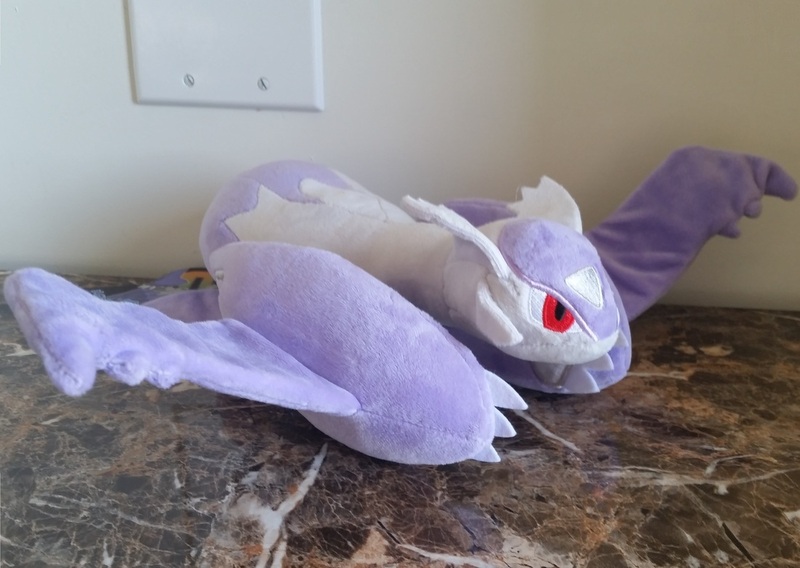 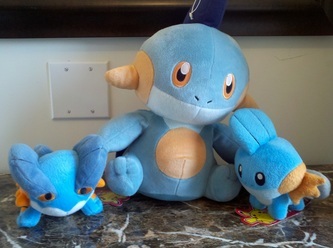 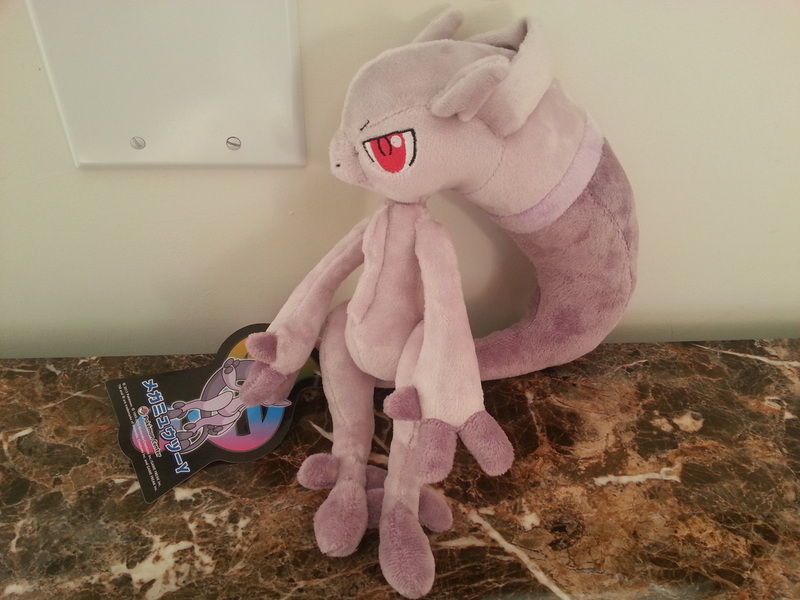 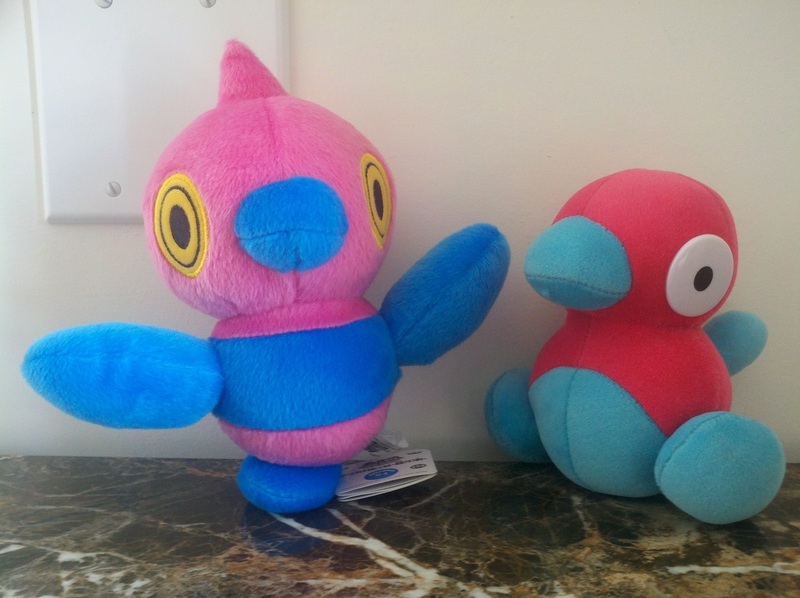 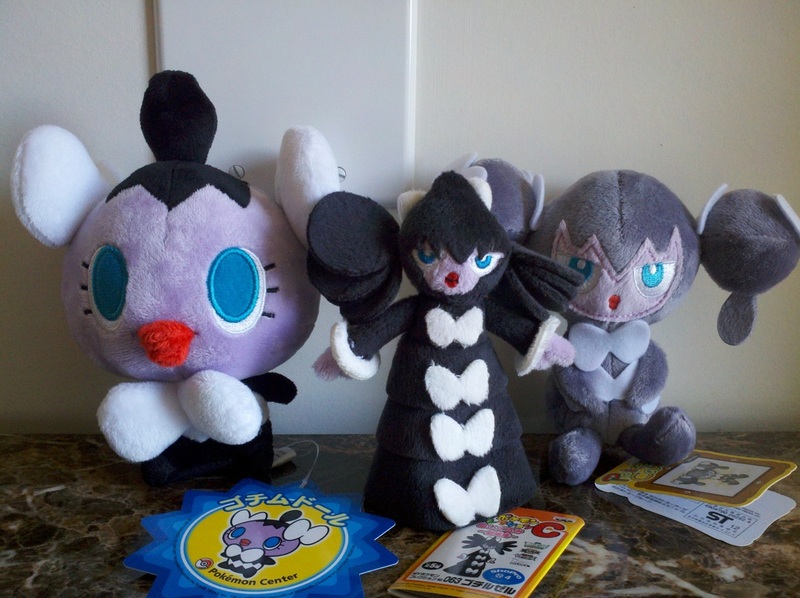 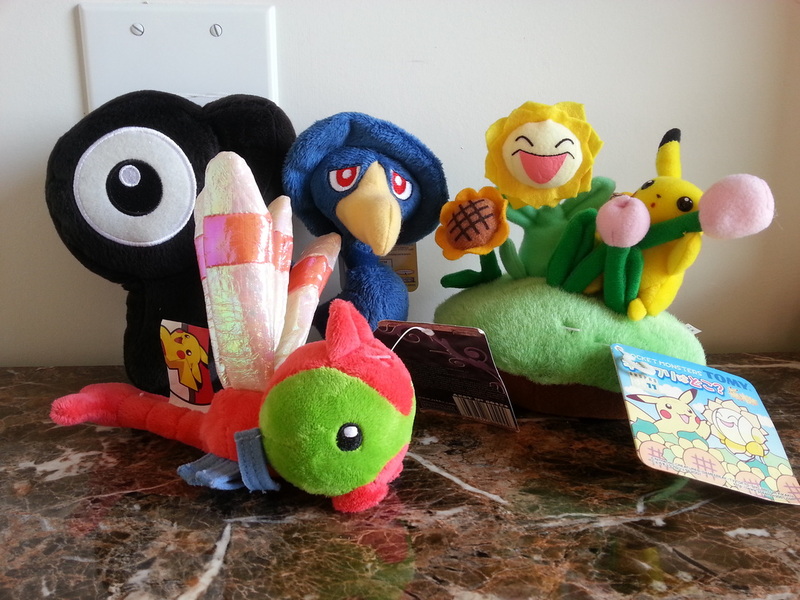 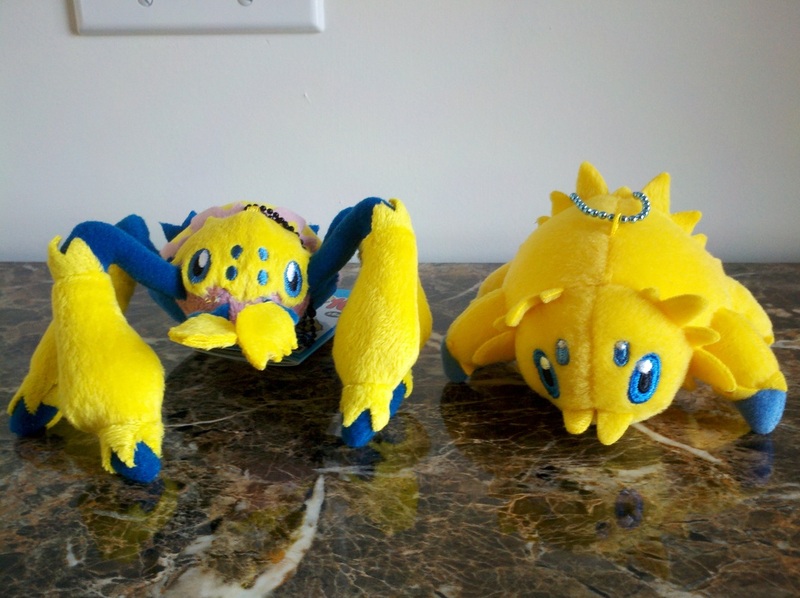 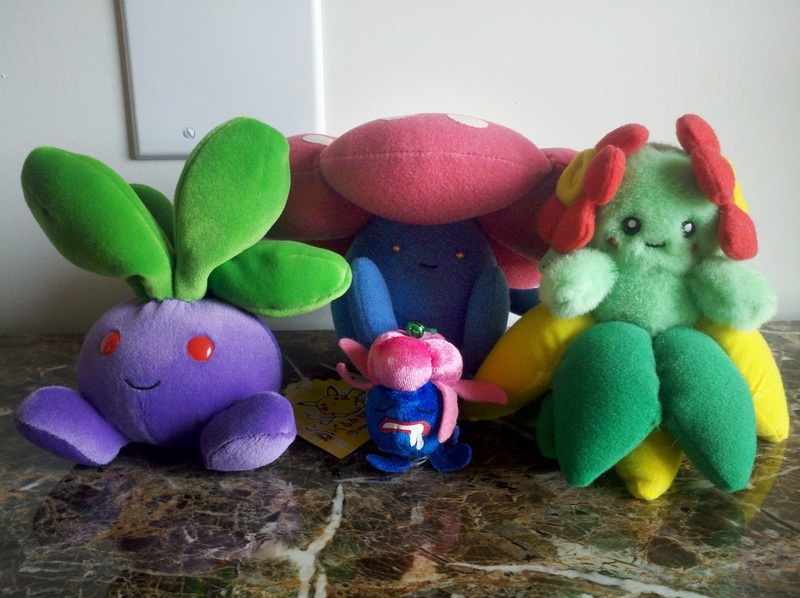 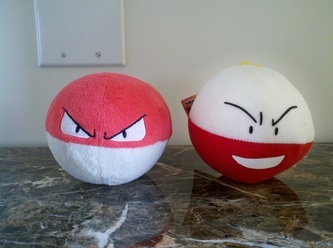 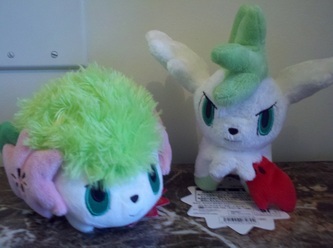 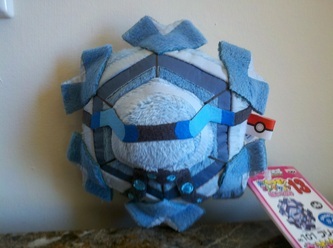 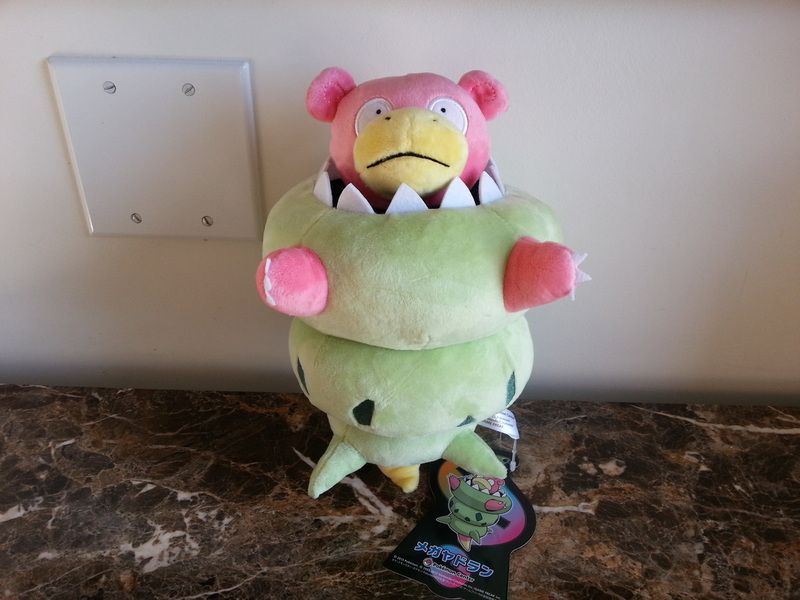 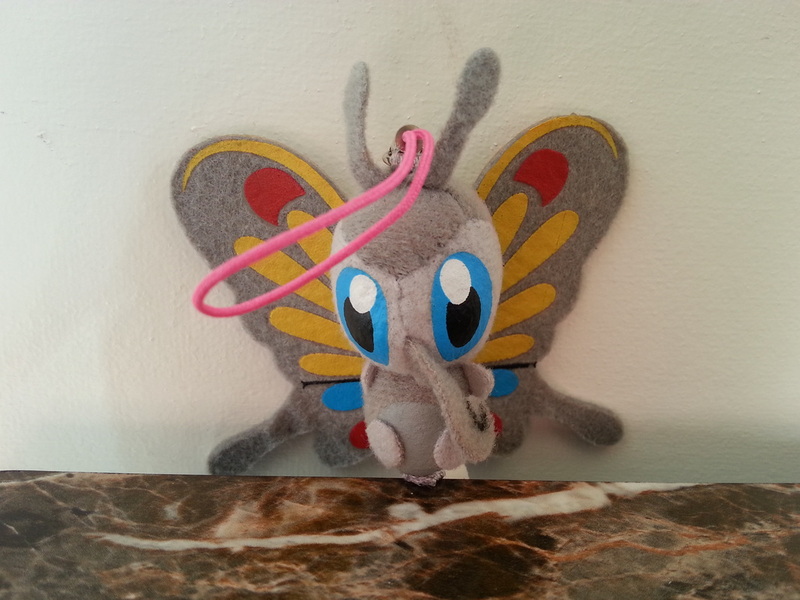 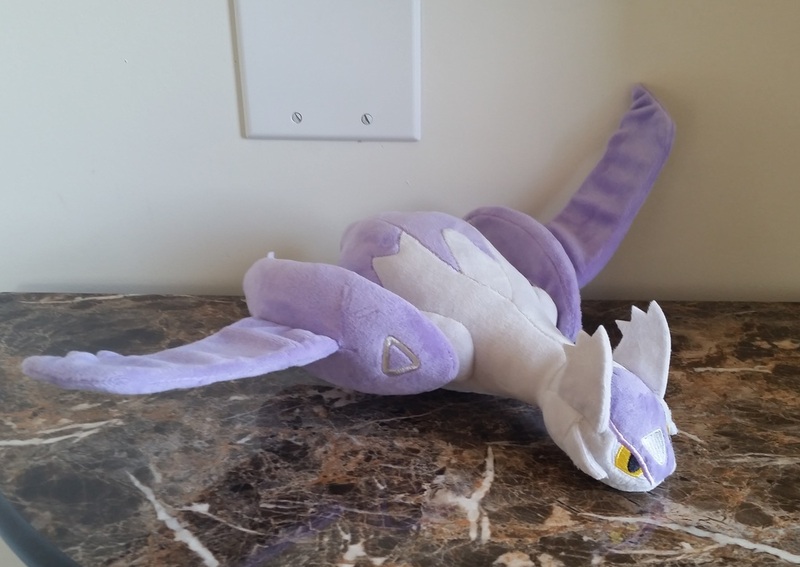 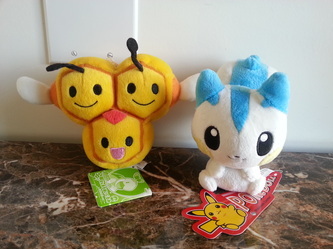 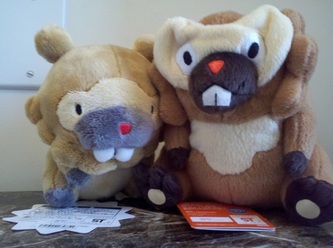 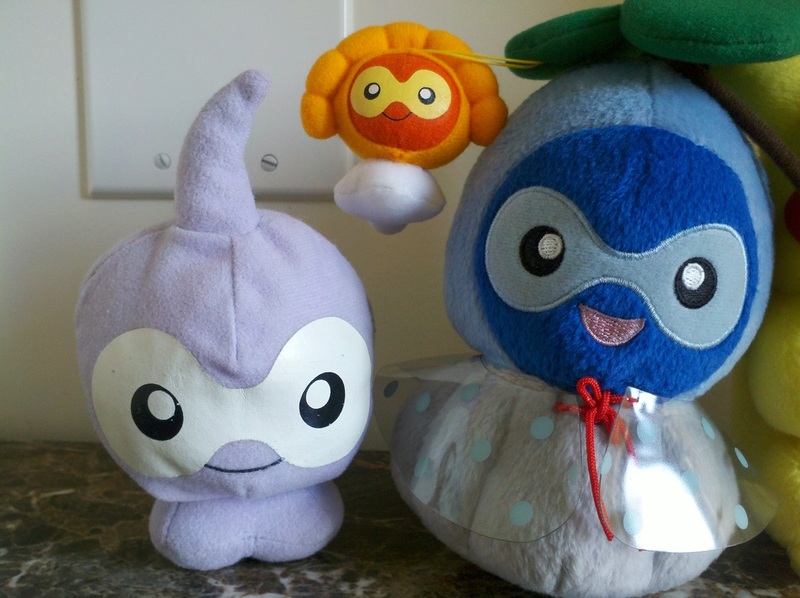 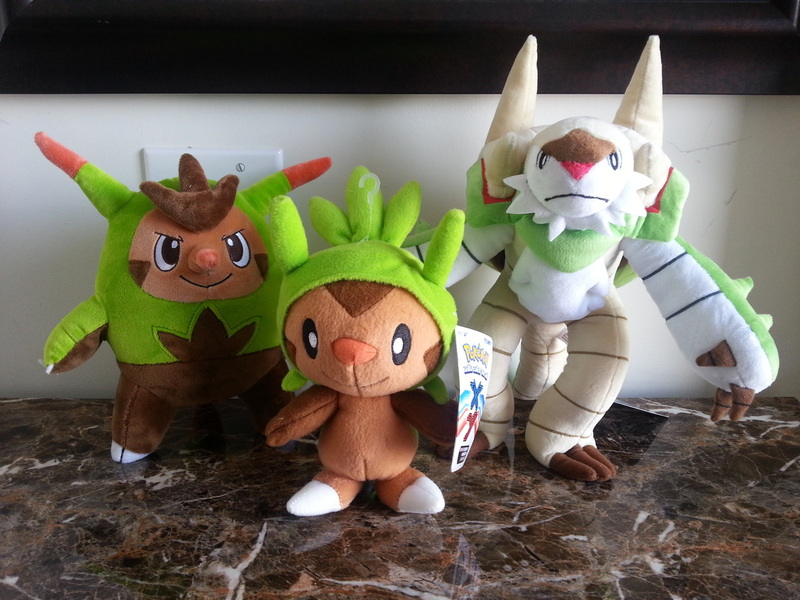 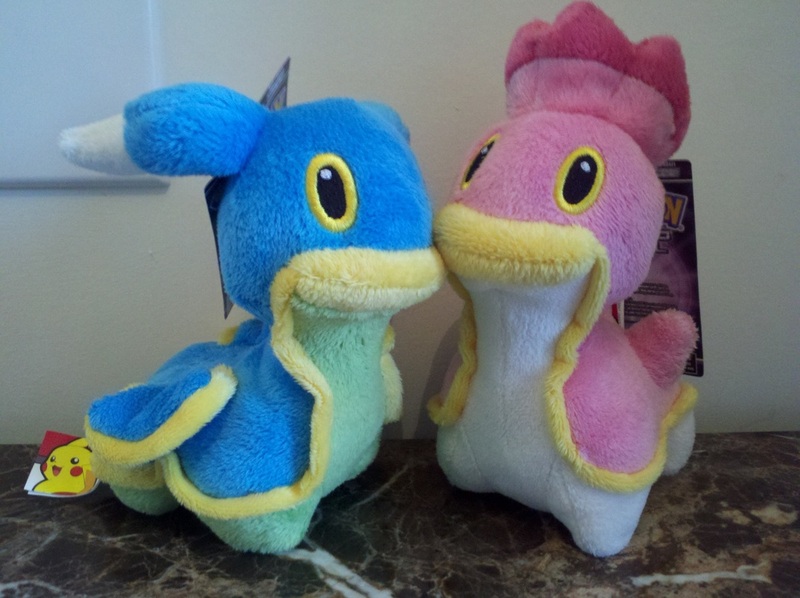 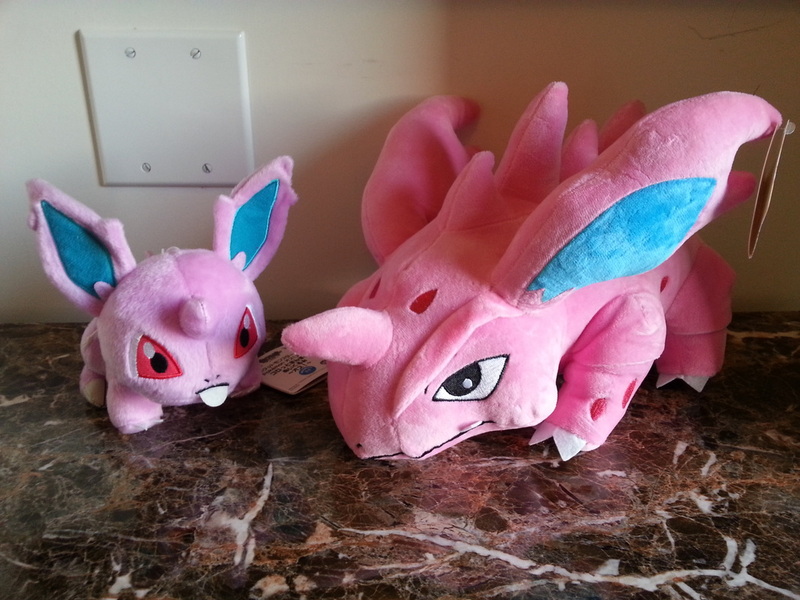 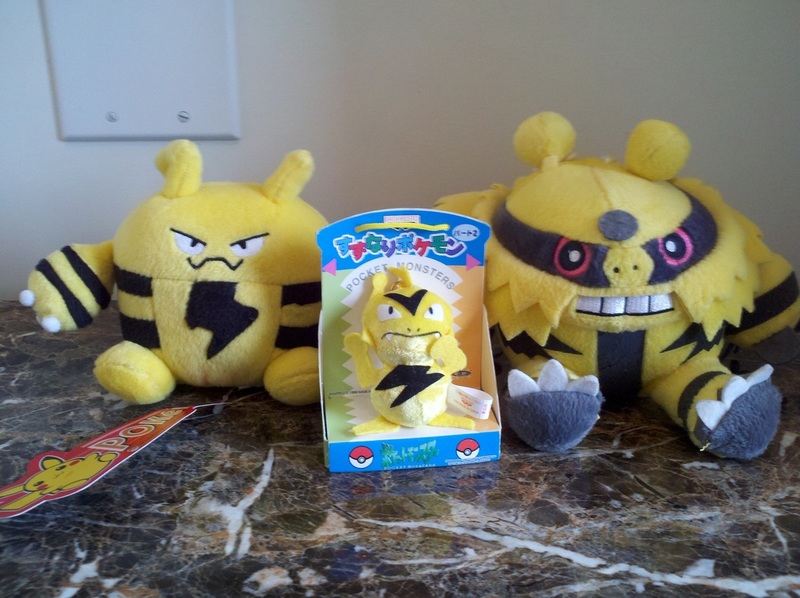 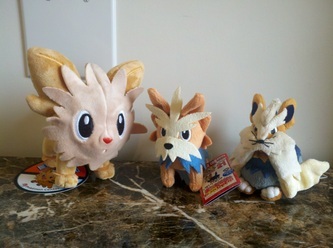 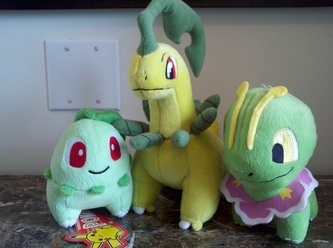 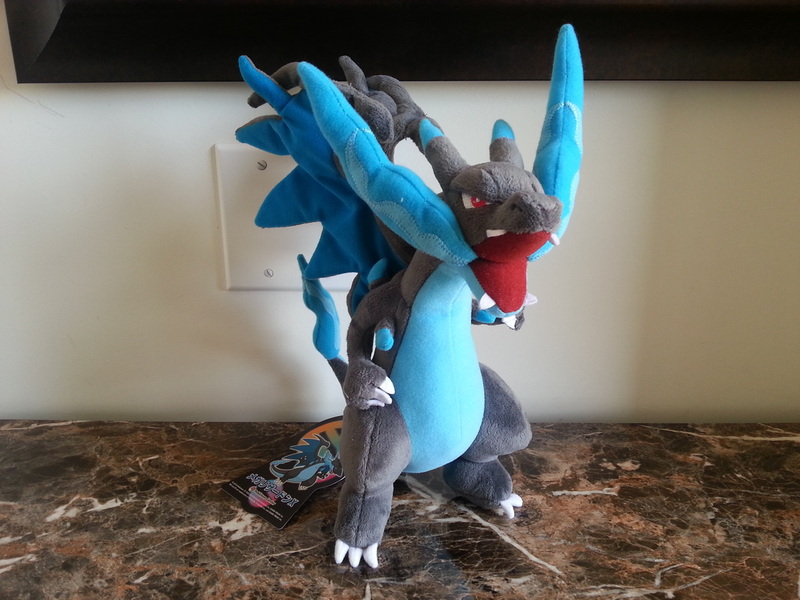 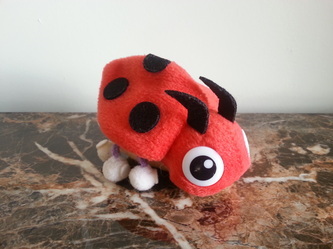 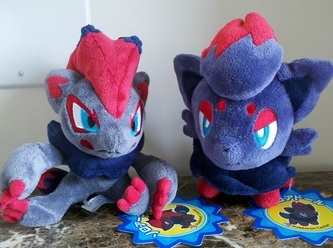 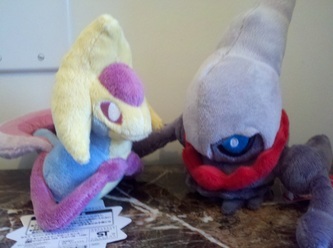 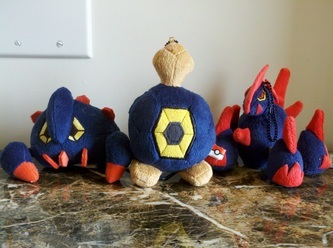 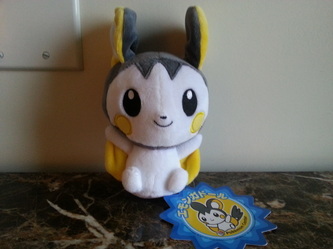 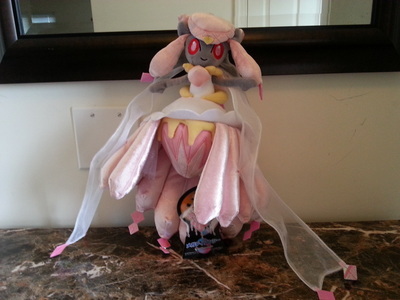 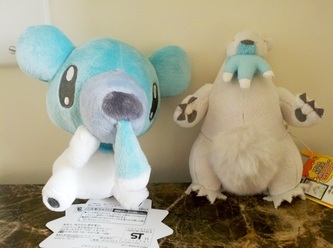 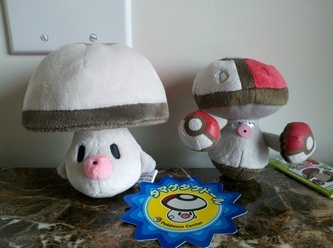 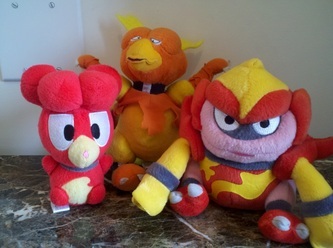 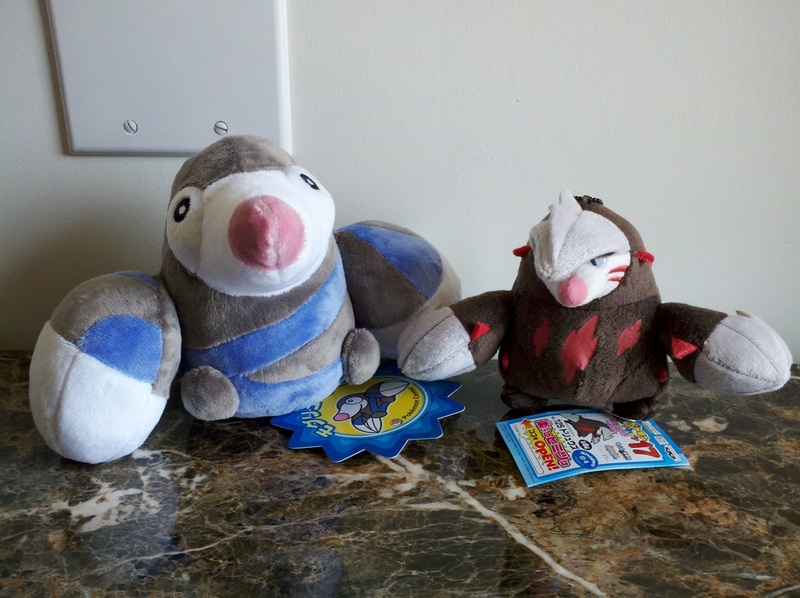 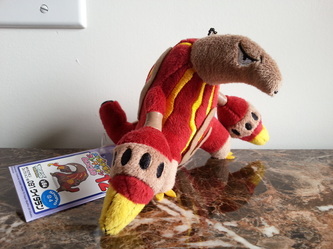 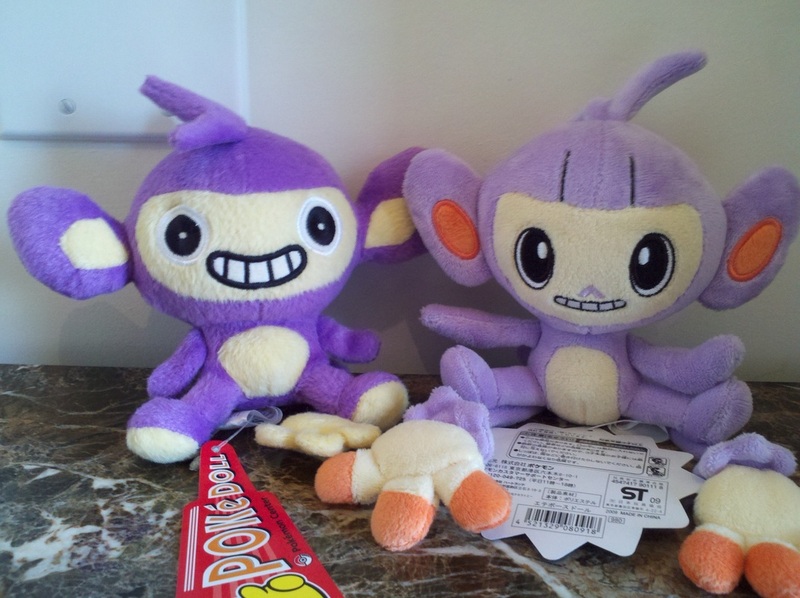 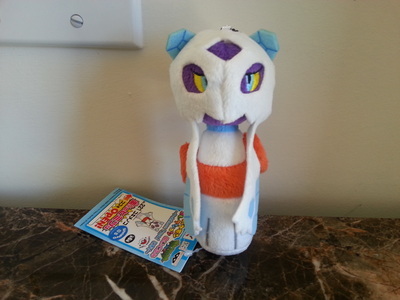 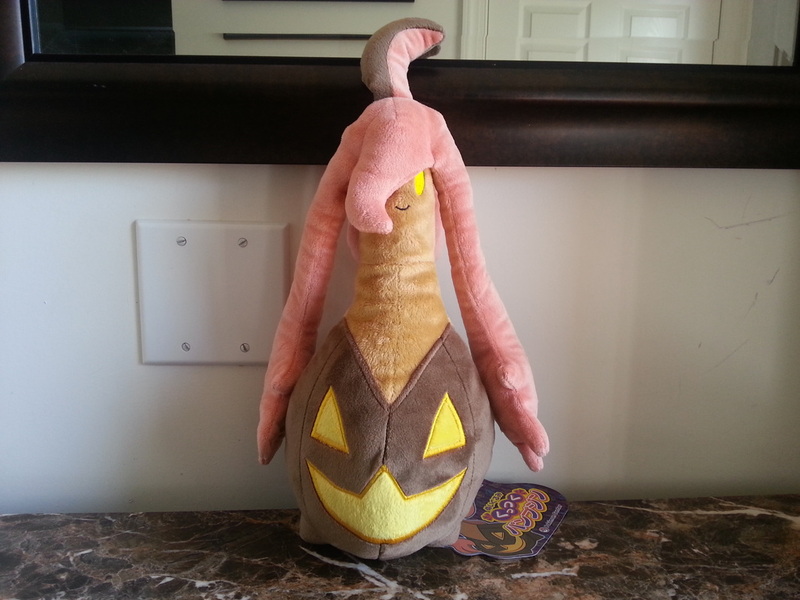 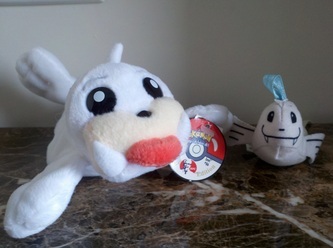 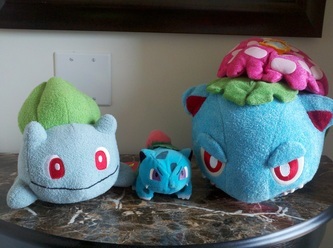 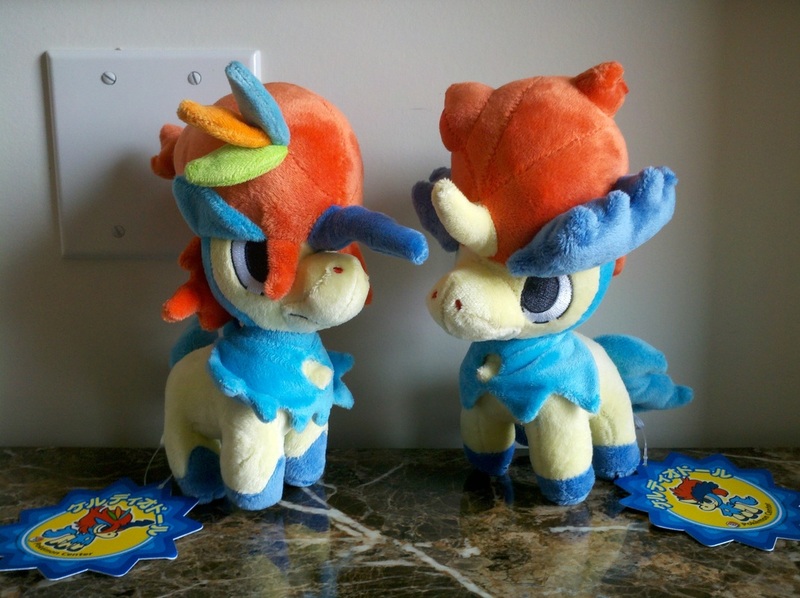 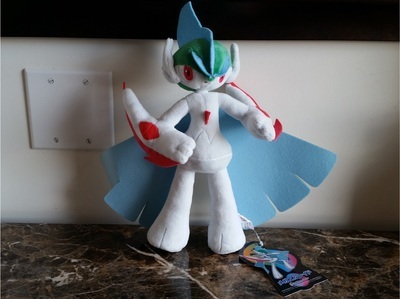 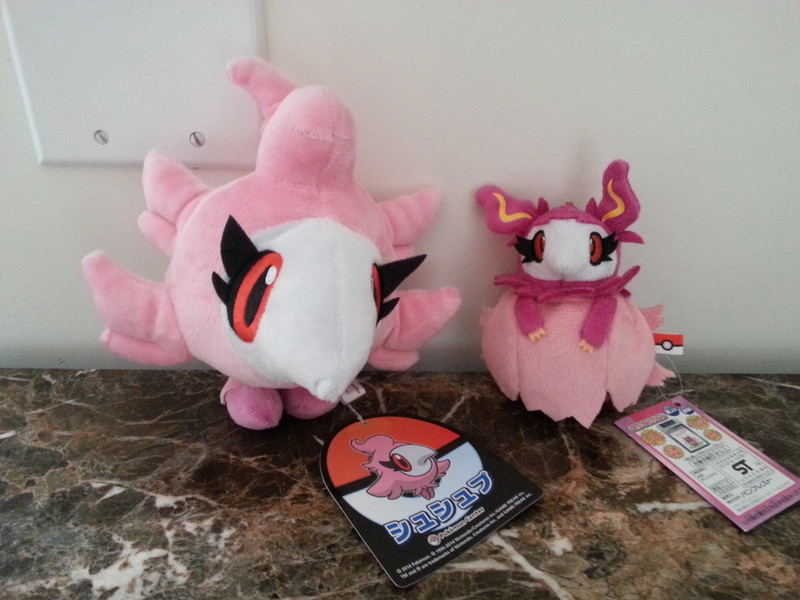 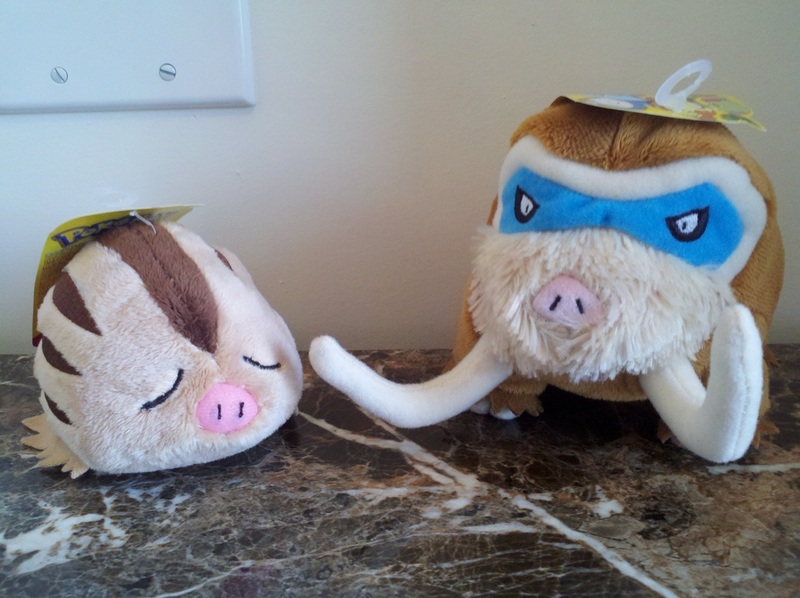 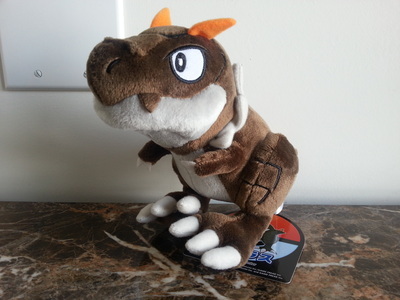 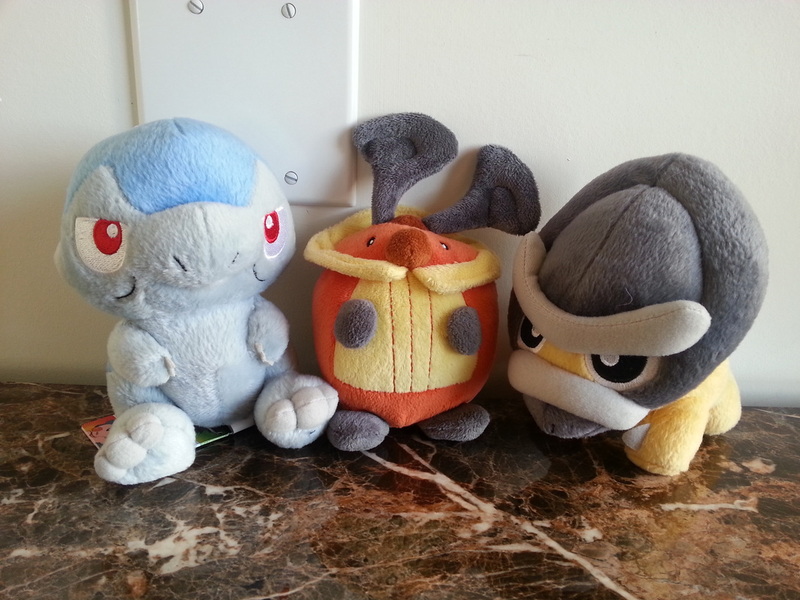 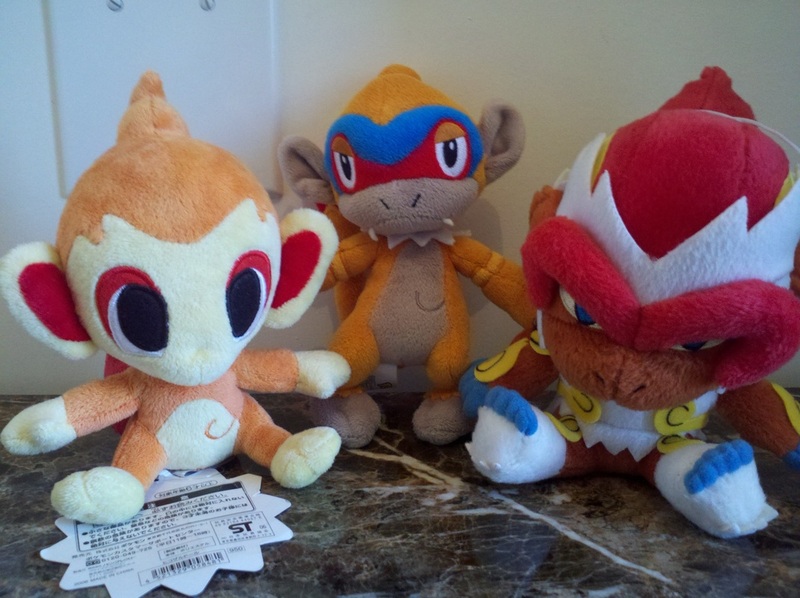 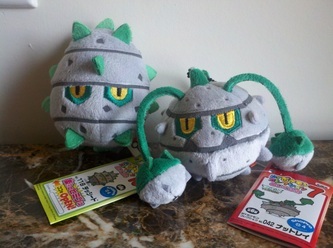 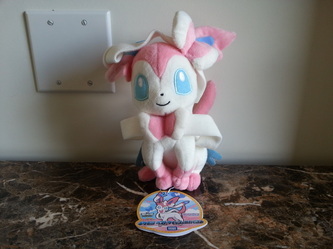 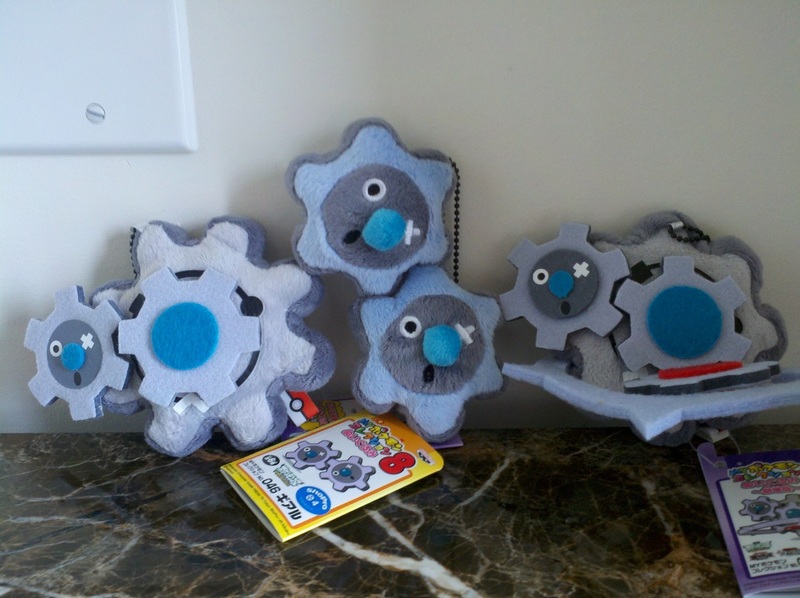 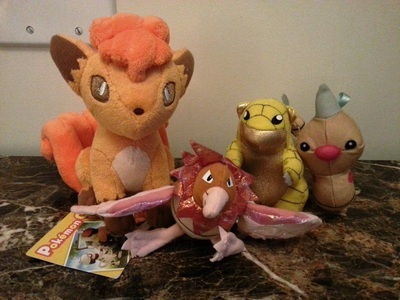 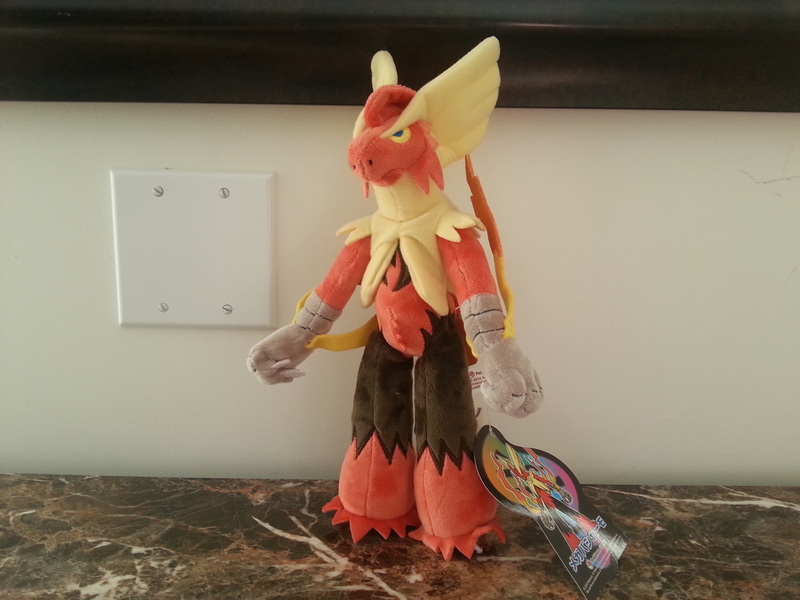 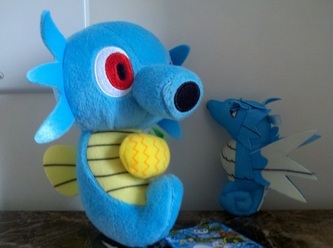 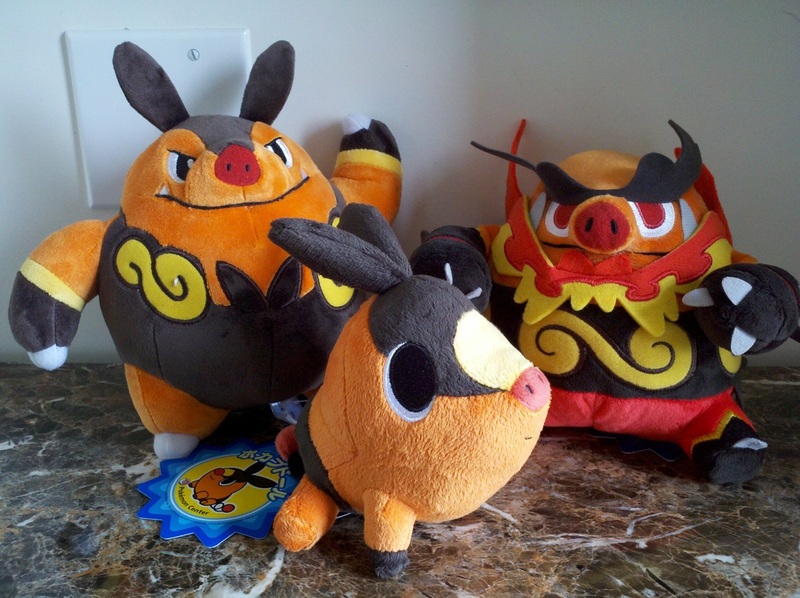 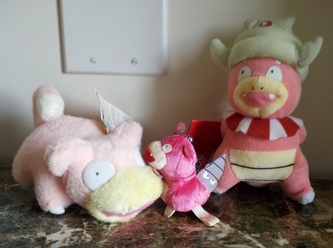 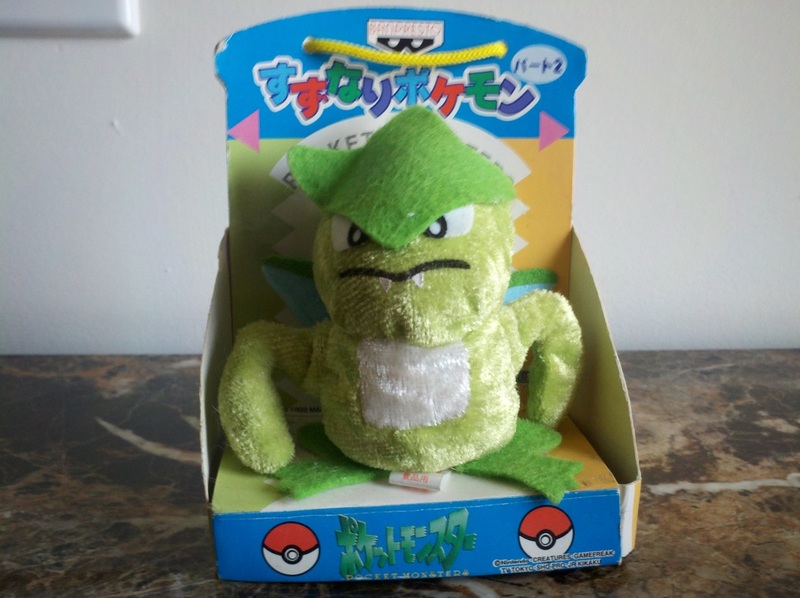 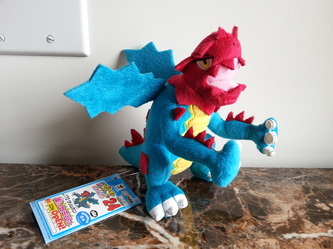 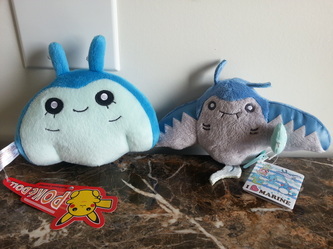 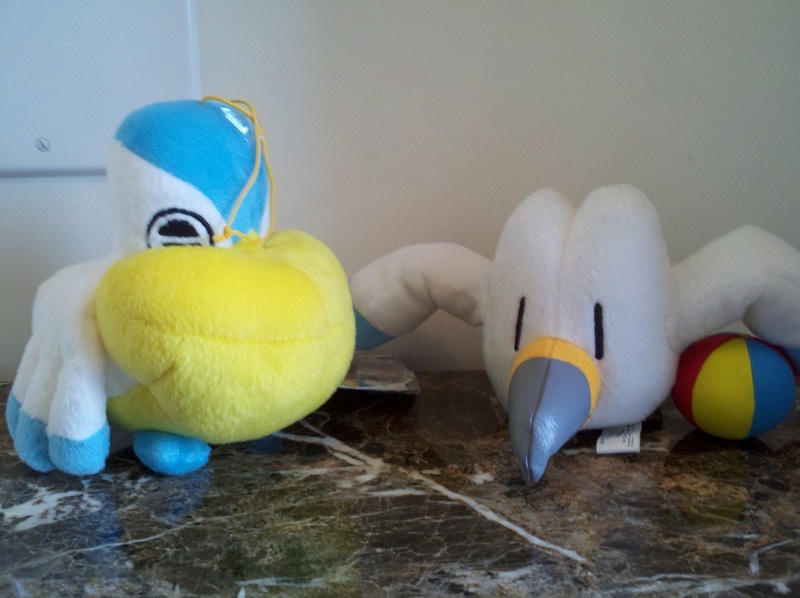 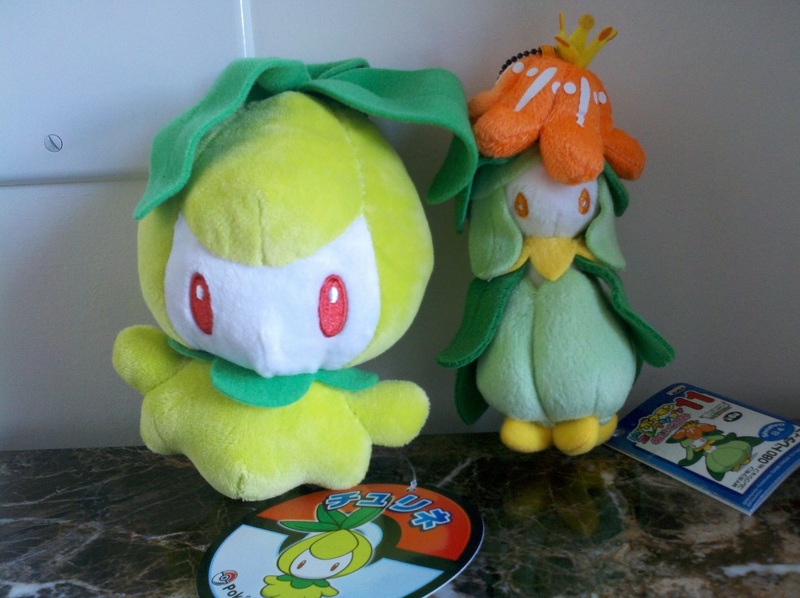 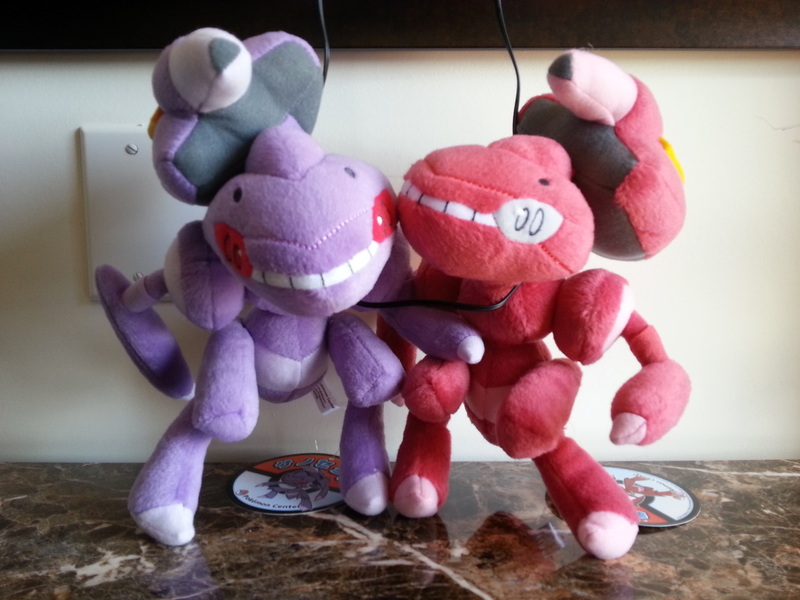 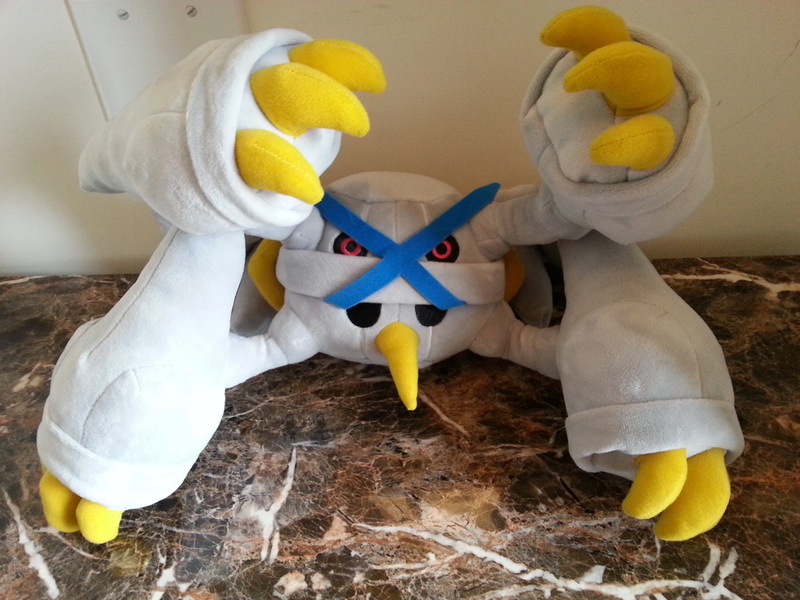 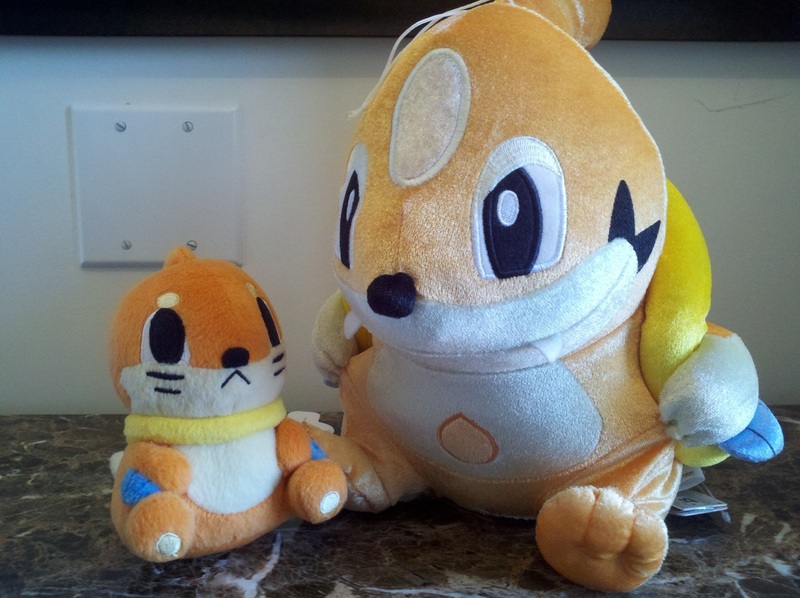 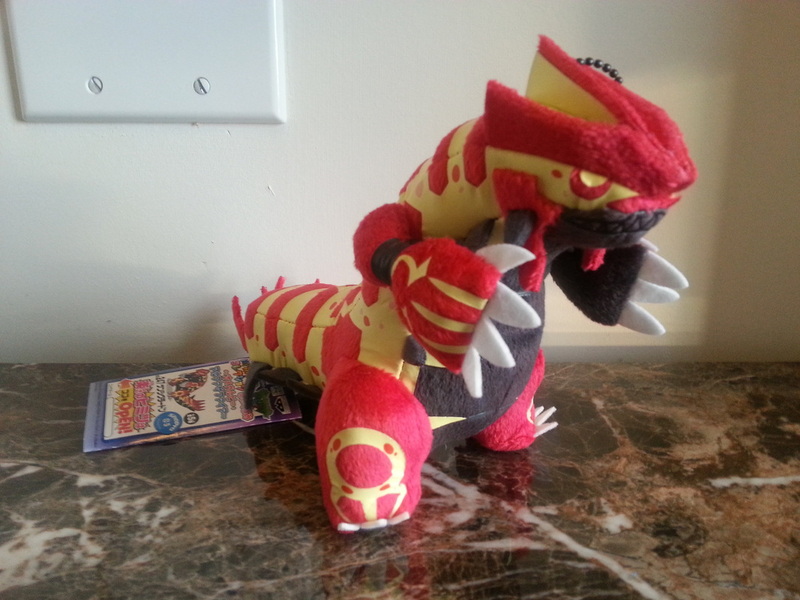 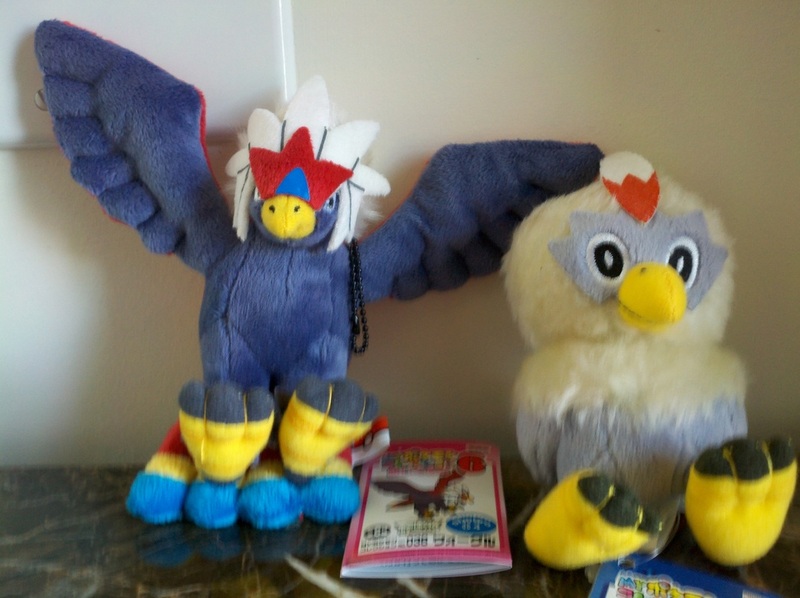 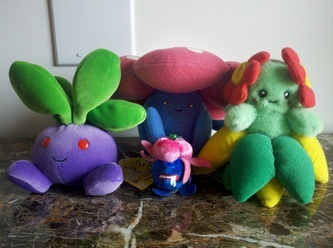 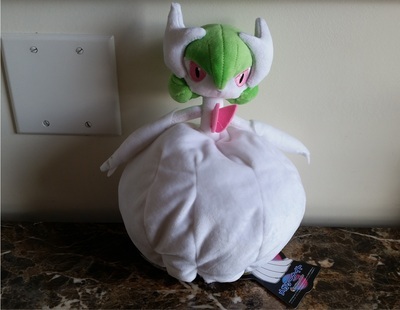 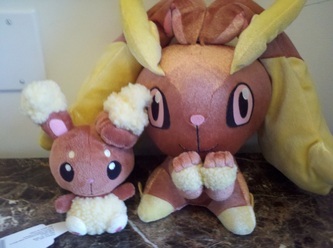 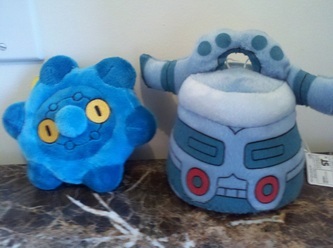 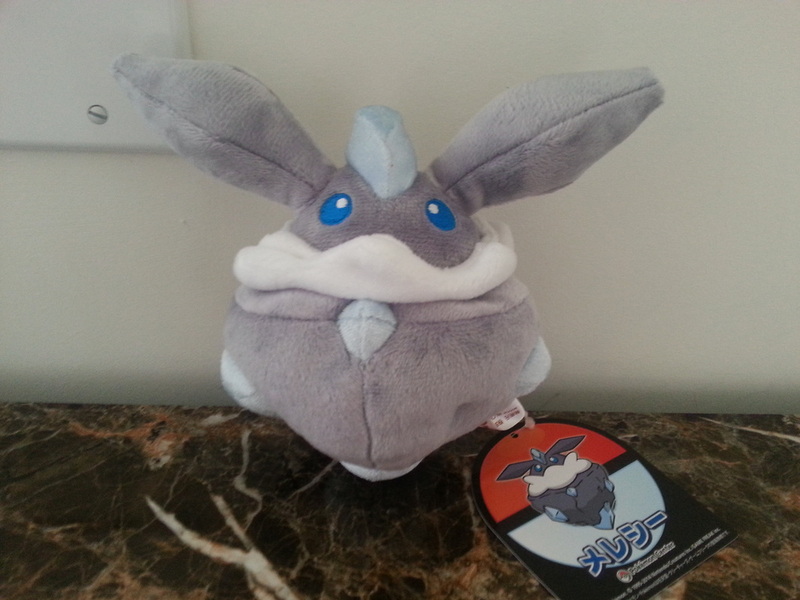 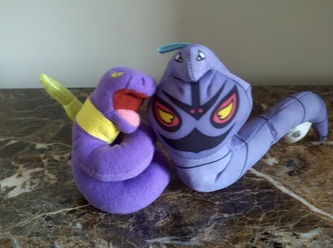 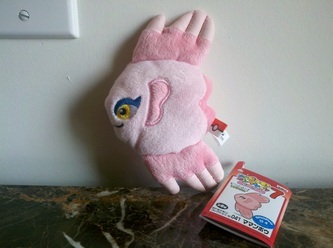 Check out the Pokemon Plush Project for a great resource for Pokemon Plush pics and info. 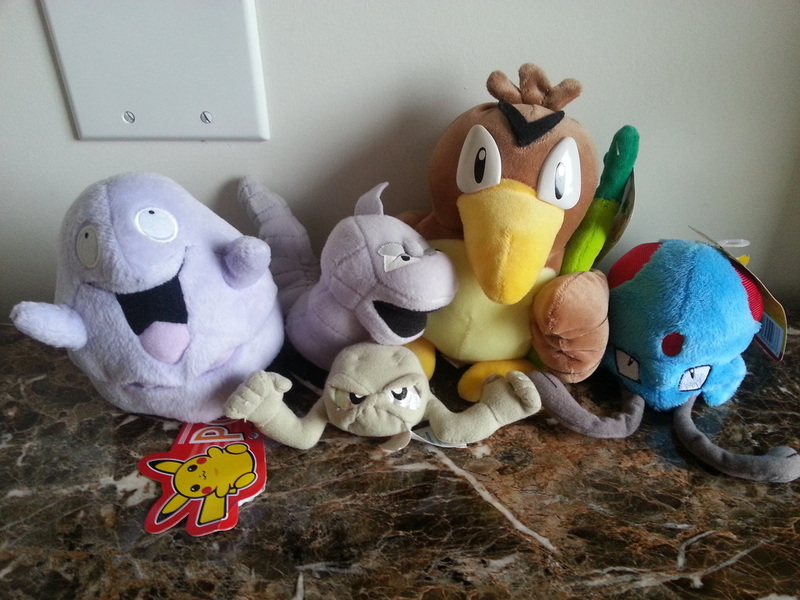 Farfetch'd, Tentacool, Grimer, Geodude, Onix. 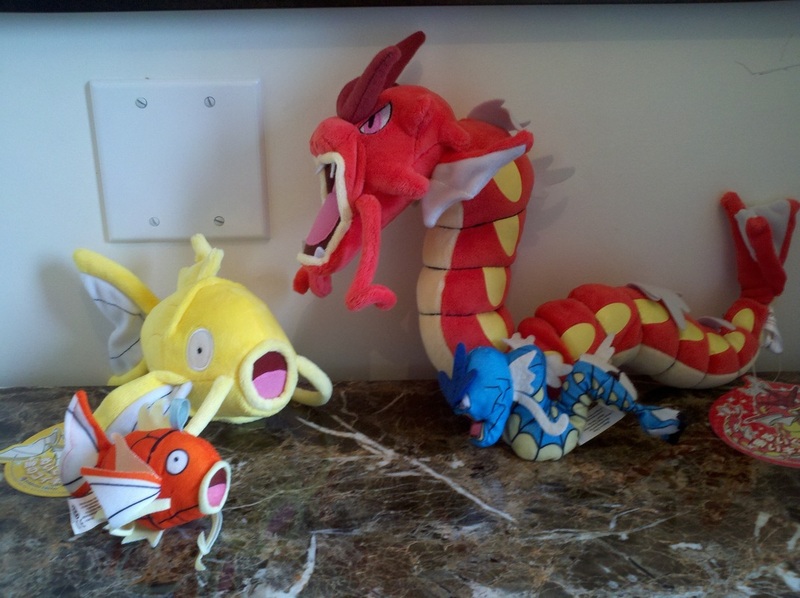 Magikarp, Shiny Magikarp, Gyarados, Shiny Gyarados. 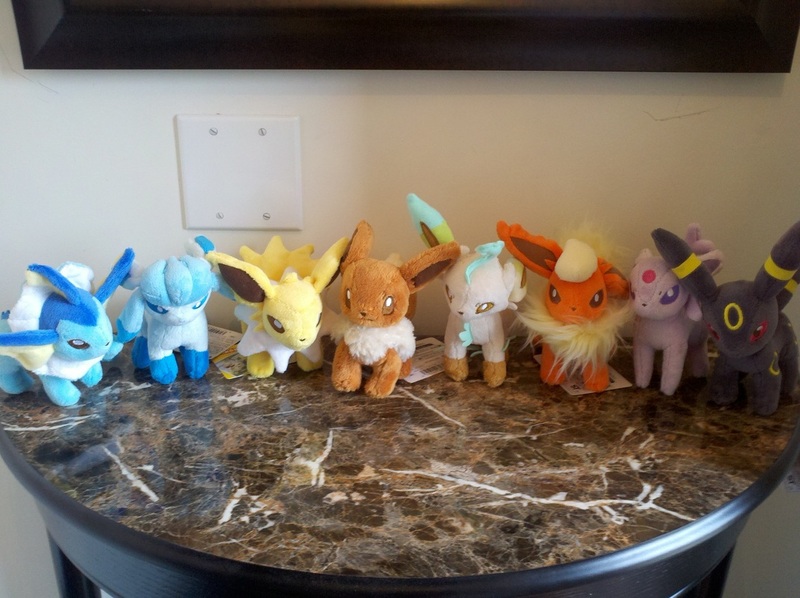 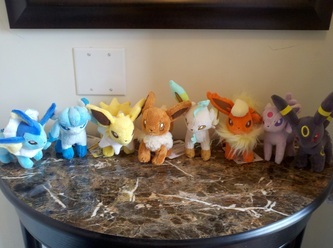 Vaporeon, Glaceon, Jolteon, Eevee, Leafeon, Flareon, Espeon, Umbreon. 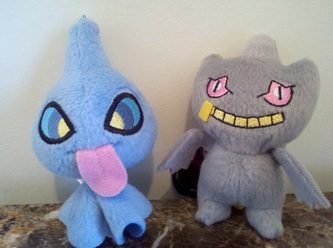 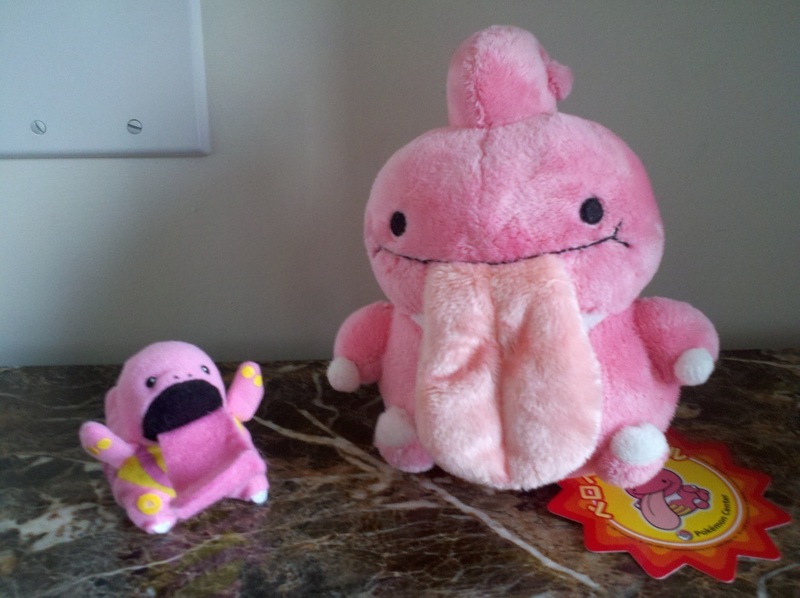 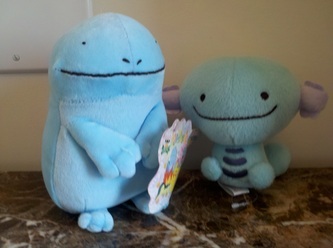 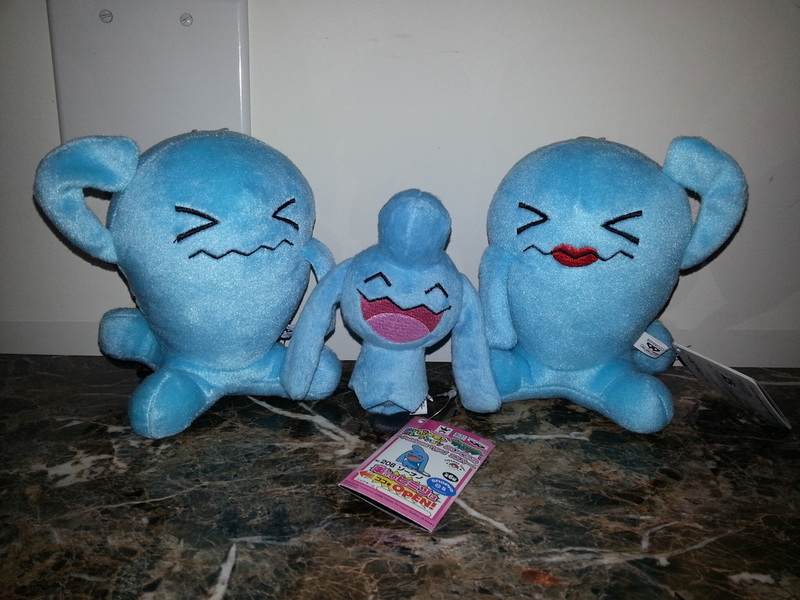 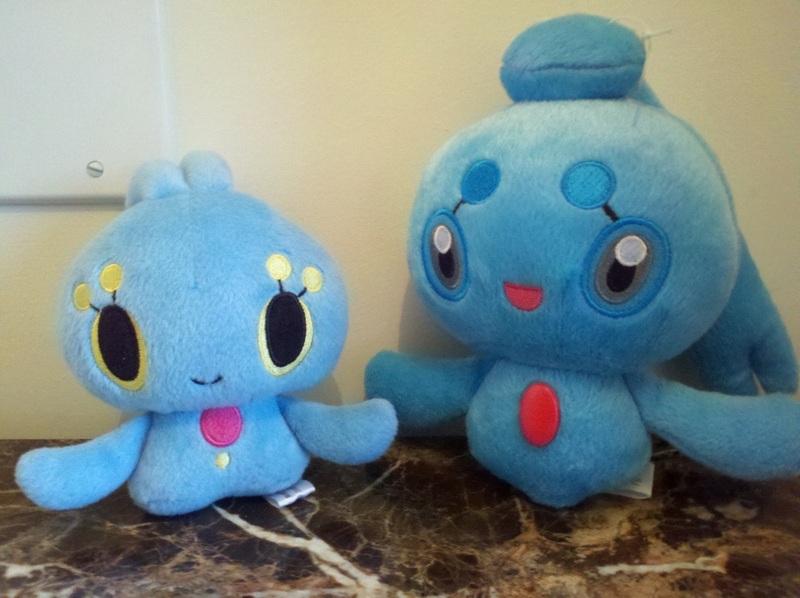 Wobbuffet (Male), Wynaut, Wobbuffet (Female). Suicune, Shiny Suicune, Raikou, Shiny Raikou, Entei, Shiny Entei. 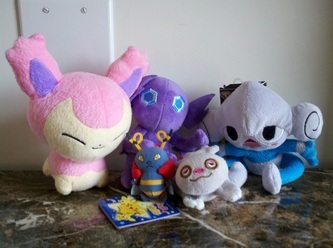 Skitty, Meditite, Slakoth, Sableye, Volbeat. 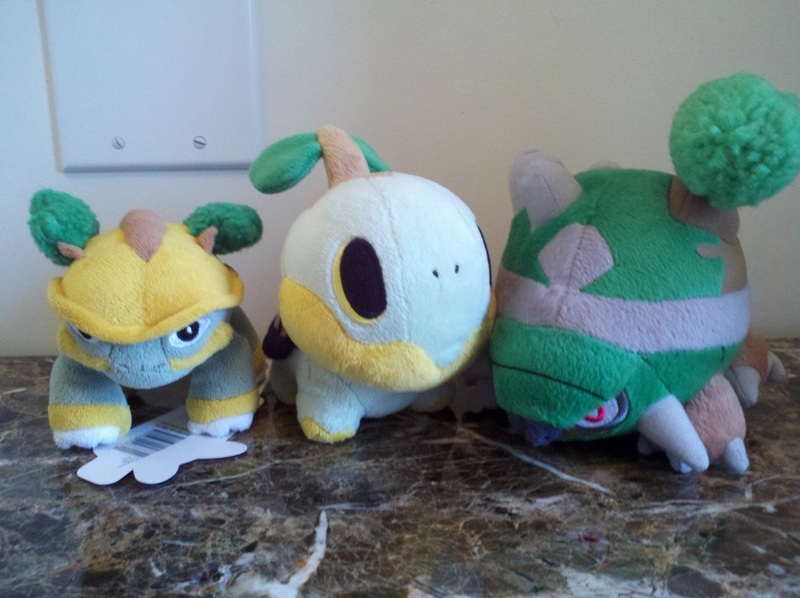 Tropius, Kecleon, Duskull, Feebas, Corphish. 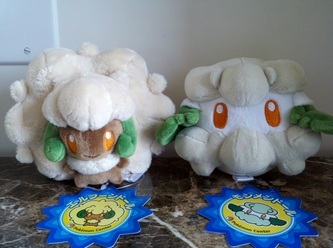 Castform, Castform Sun, Castform Rain. 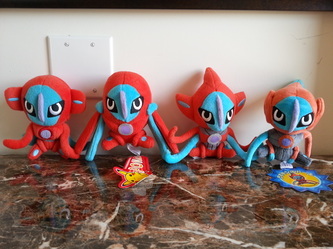 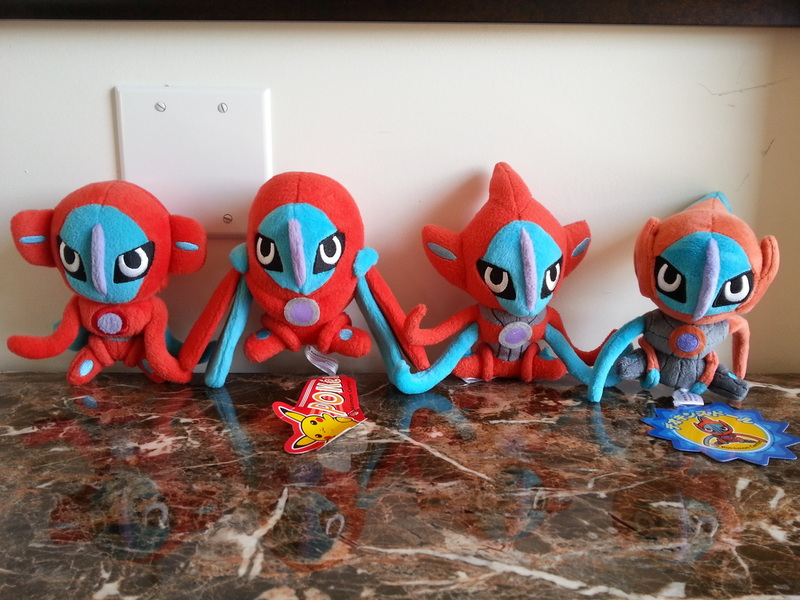 Deoxys, Deoxys Defense, Deoxys Attack, Deoxys Speed. 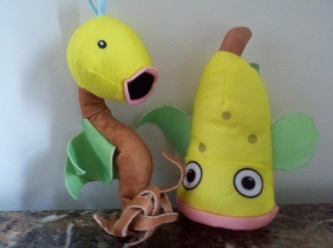 Burmy Sandy, Burmy Trash, Wormadam, Burmy Plant. 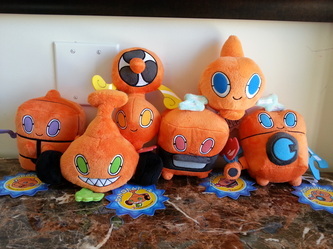 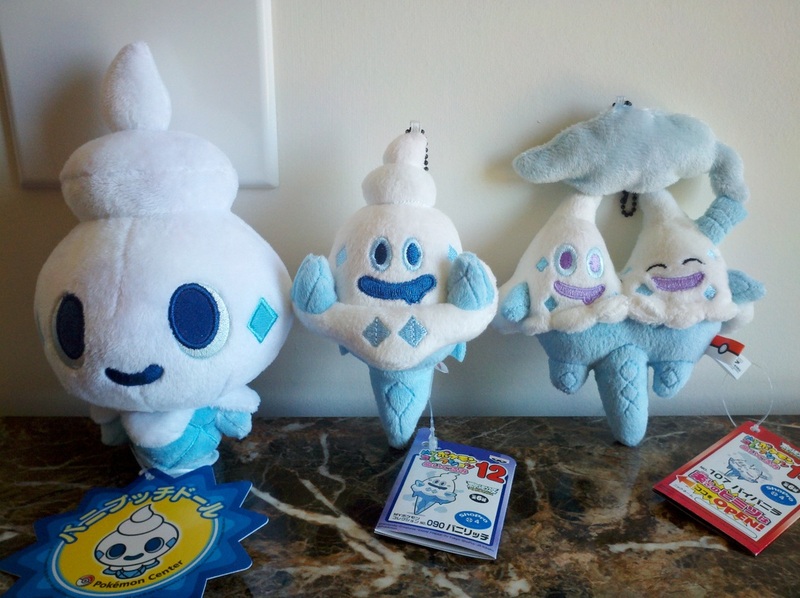 Frost Rotom, Mow Rotom, Fan Rotom, Heat Rotom, Rotom, Wash Rotom. 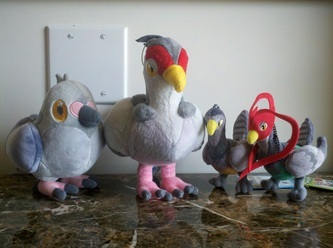 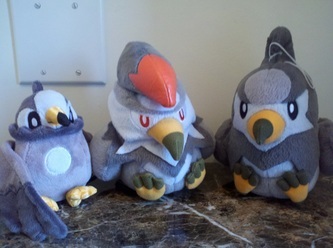 Pidove, Tranquill, Unfezant (female), Unfezant (male). 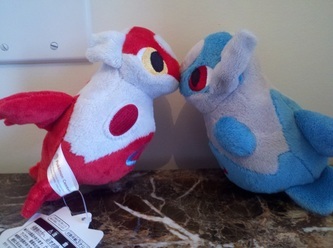 Blue stripe Basculin, Red stripe Basculin. Deerling (Autumn, Winter, Summer, Spring). 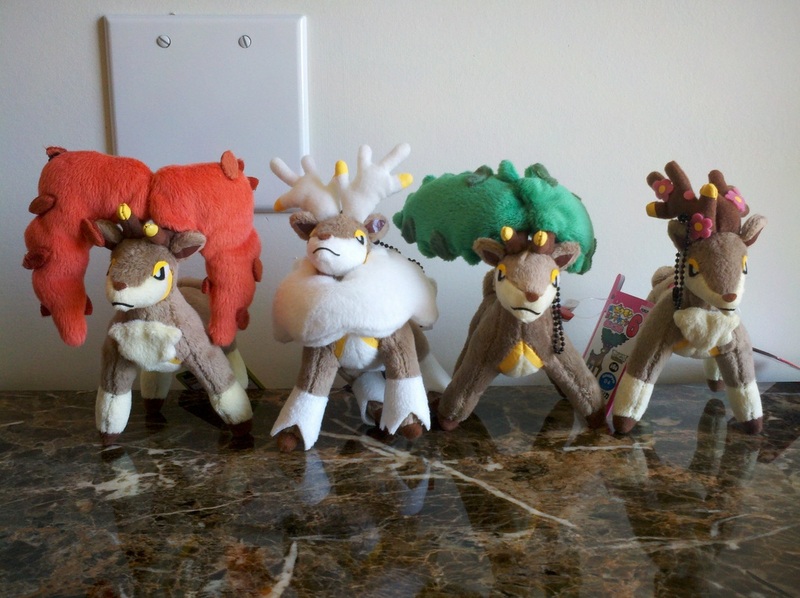 Sawsbuck (Autumn, Winter, Summer, Spring). 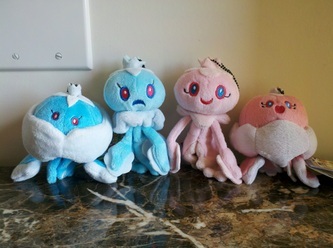 Jellicent (male), Frillish (male), Frillish (female), Jellicent (female). 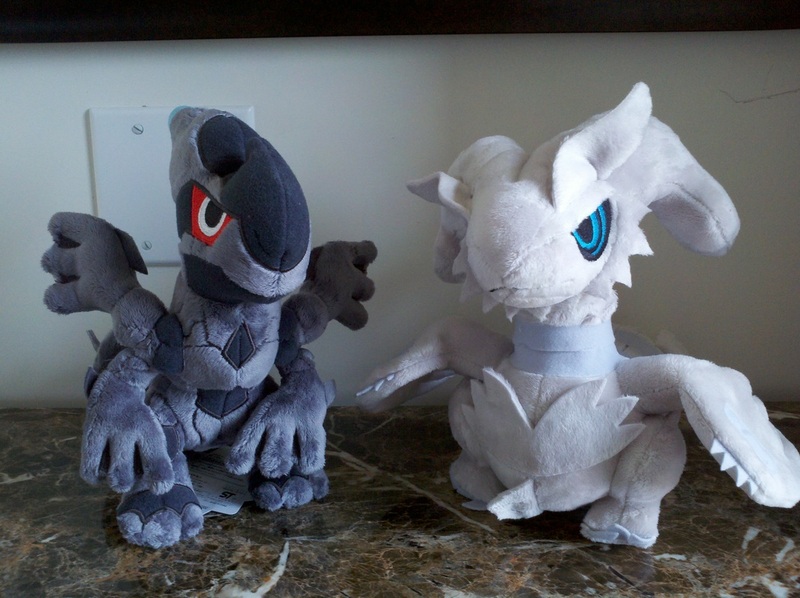 Black Kyurem, Kyurem, White Kyurem. Keldeo: (Resolute Forme, Ordinary Forme). 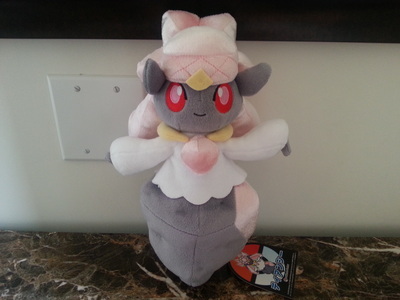 Meloetta: (Aria Forme, Pirouette Forme). 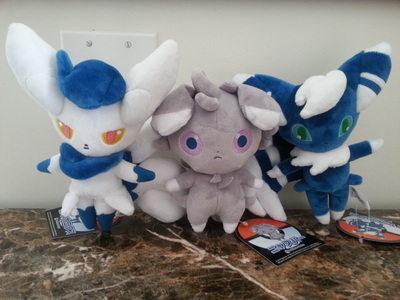 Meowstic (female), Espurr, Meowstic (male). 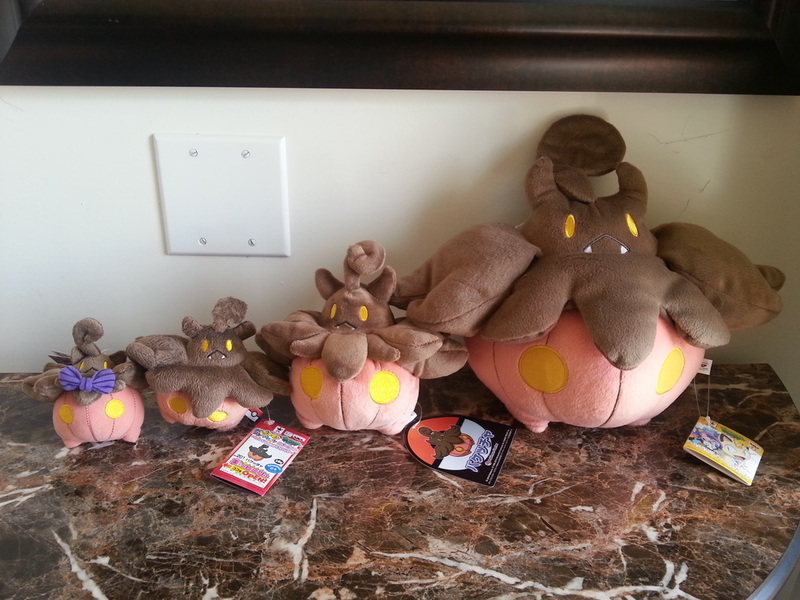 Pumpkaboo (small, average, large, super). 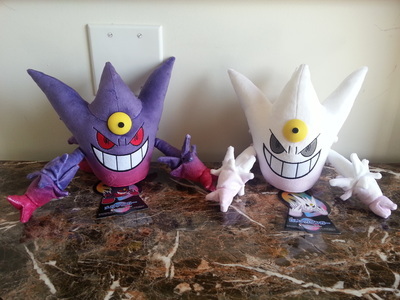 Mega Gengar, Shiny Mega Gengar. 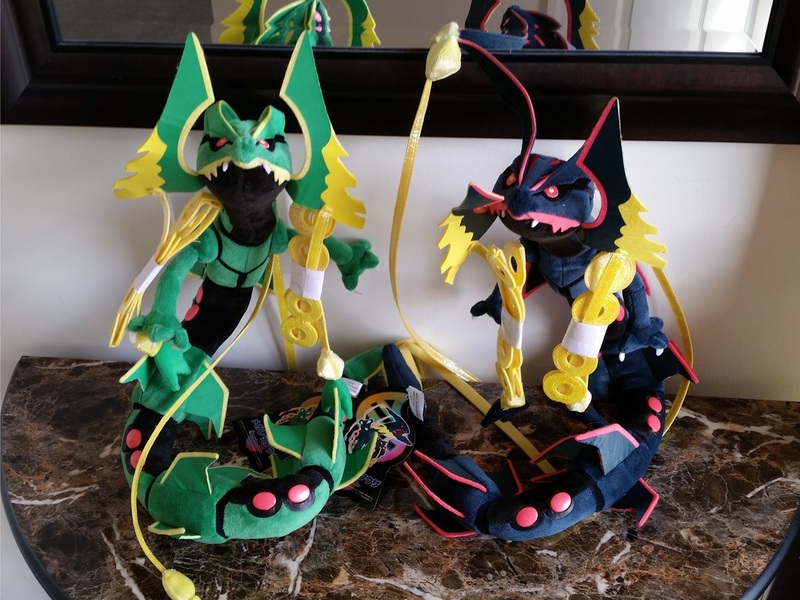 Mega Rayquaza, Shiny Mega Rayquaza.